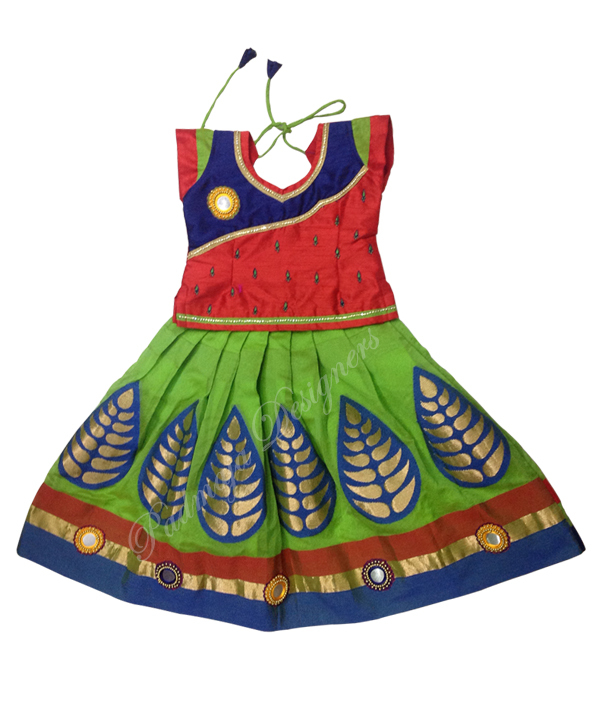 Crop top, it have five meters gear. 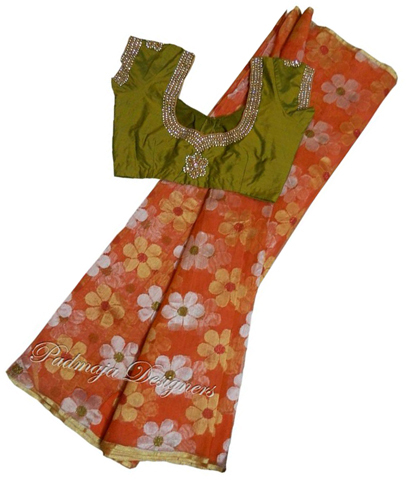 Raw silk blouse with simple work Langa floral material. 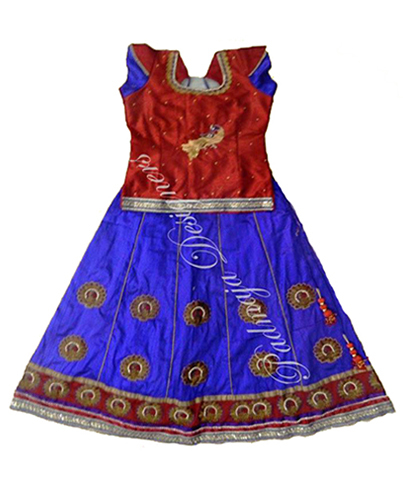 Raw silk material with thread mirror work. 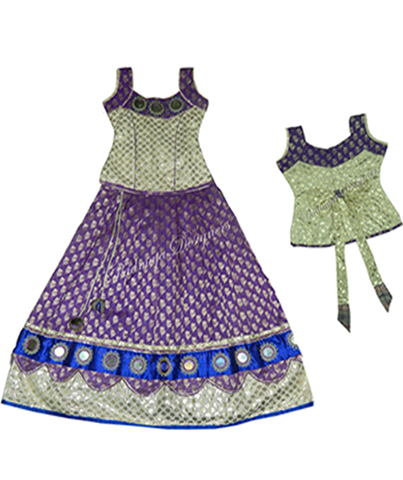 Langa Net heavy work material with raw silk three borders raw silk boat neck Blouse with mirror work. 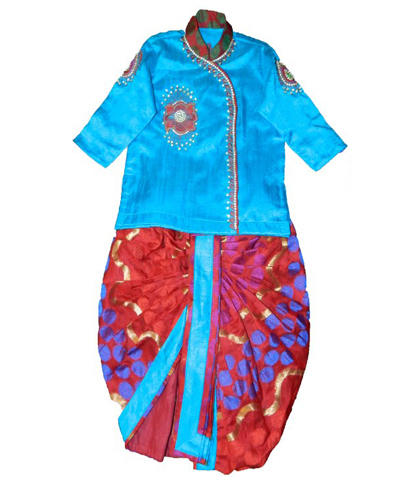 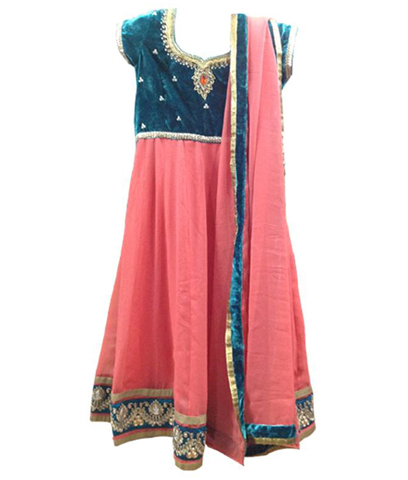 This Langa ikkath silk with kudhan border, Raw silk blouse with boat neck jewelry work. 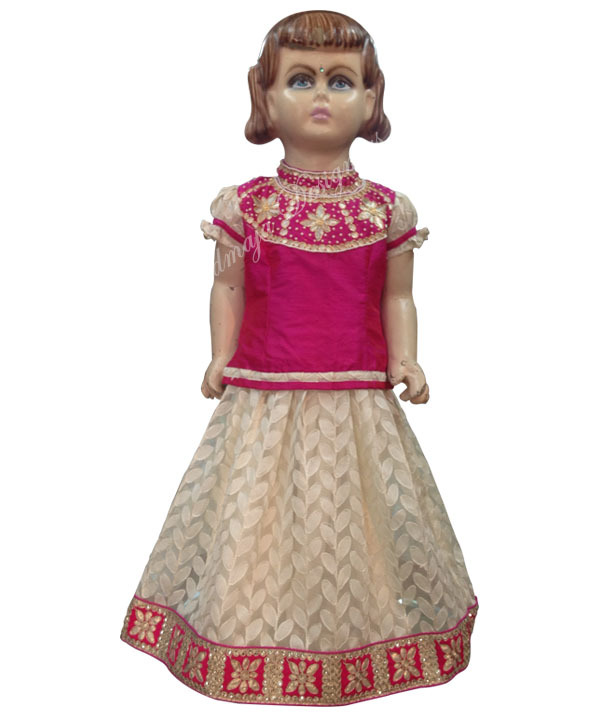 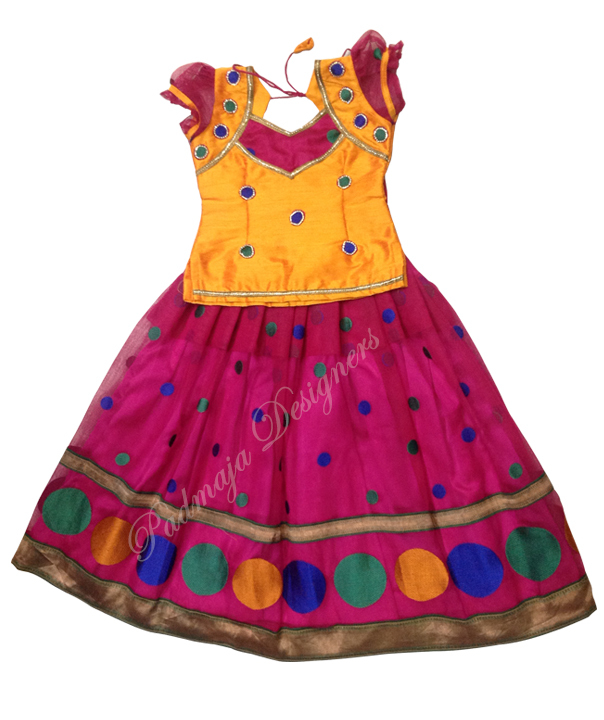 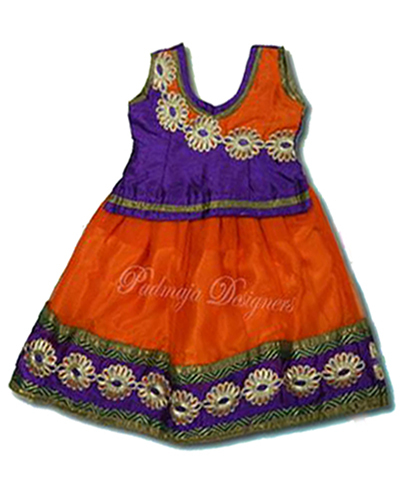 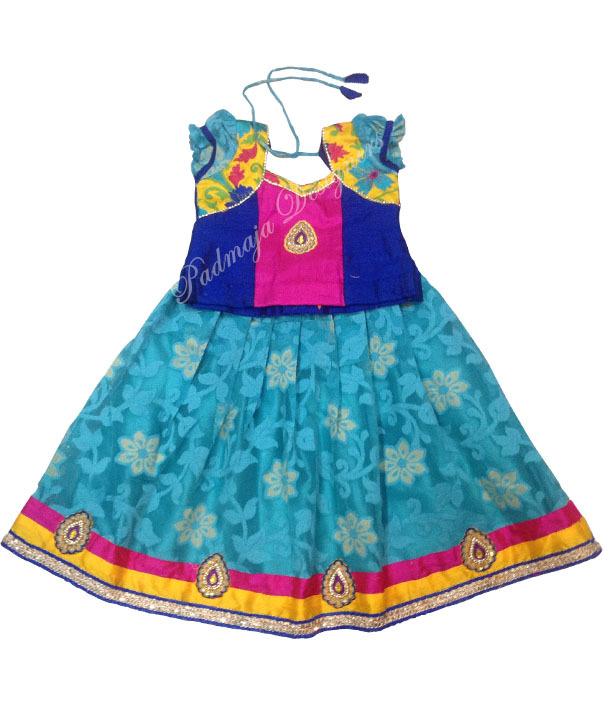 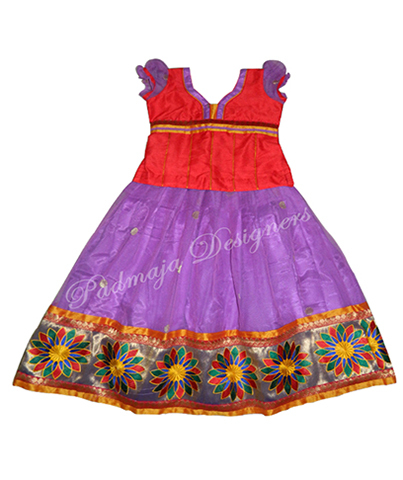 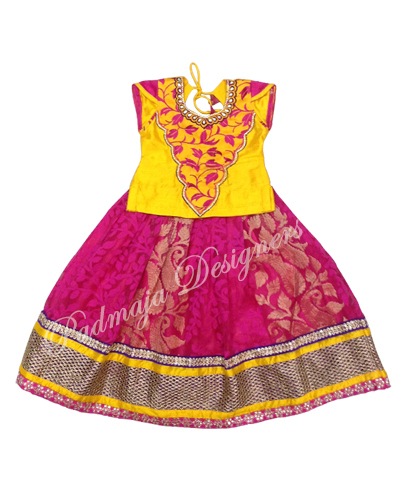 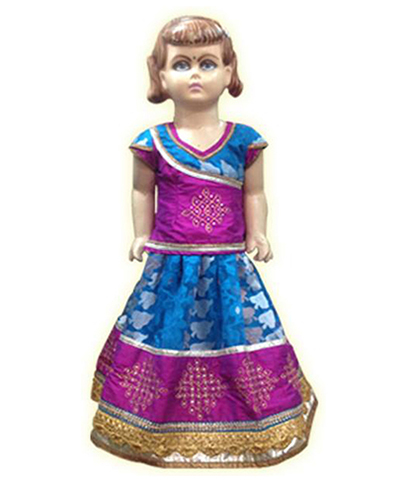 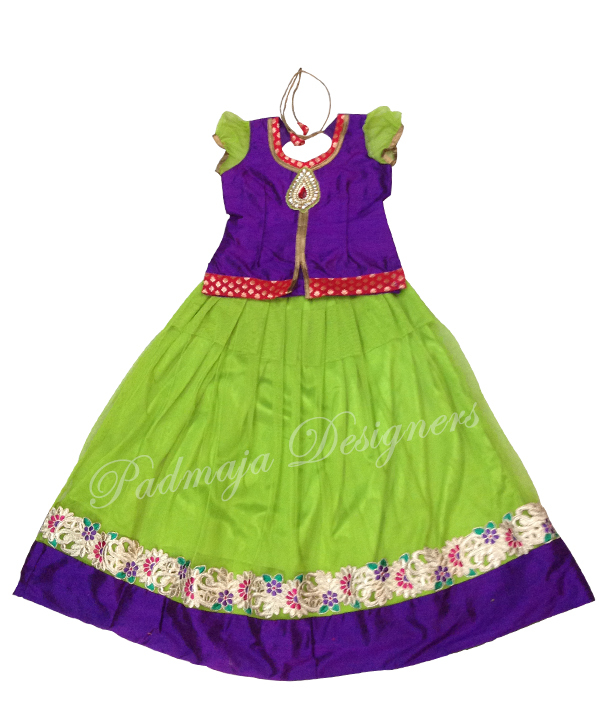 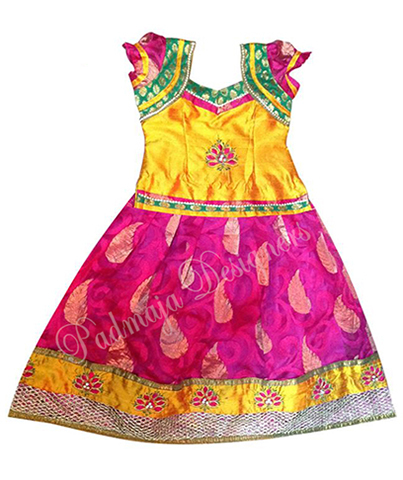 Raw silk langa with patch work and mirror work, Malti color Benaras borders, Kalmkaari blouse. 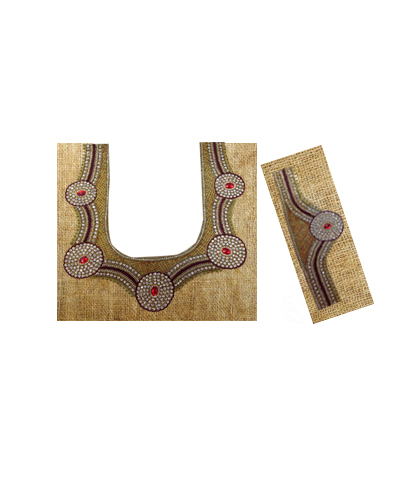 Raw silk material with jewelry work. 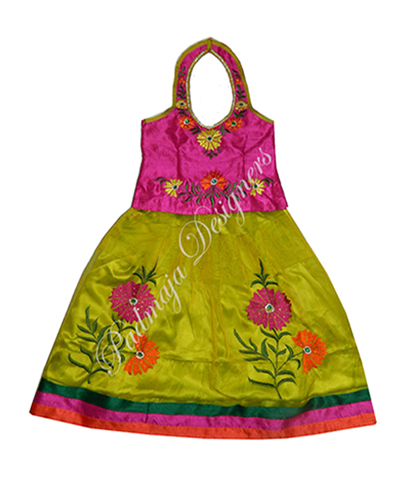 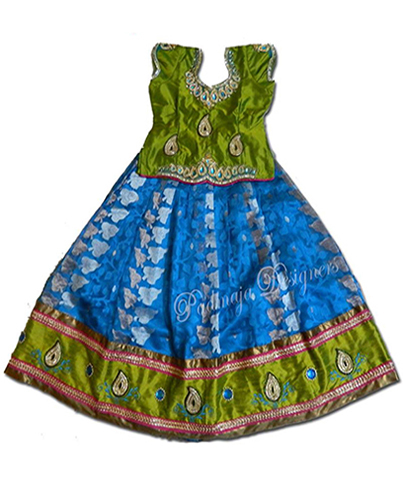 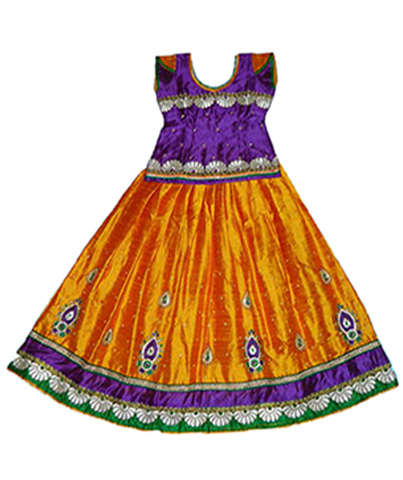 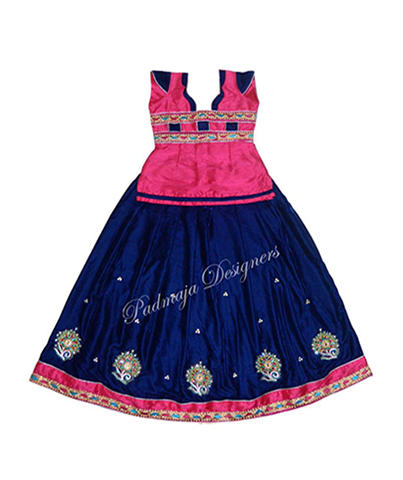 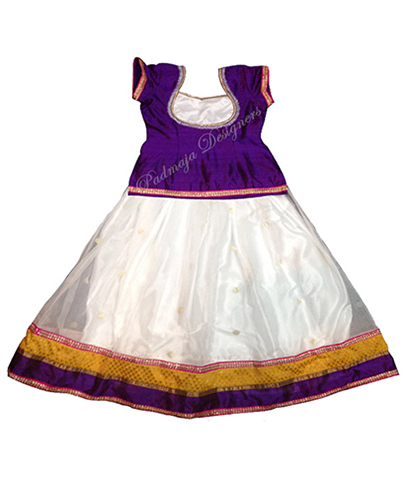 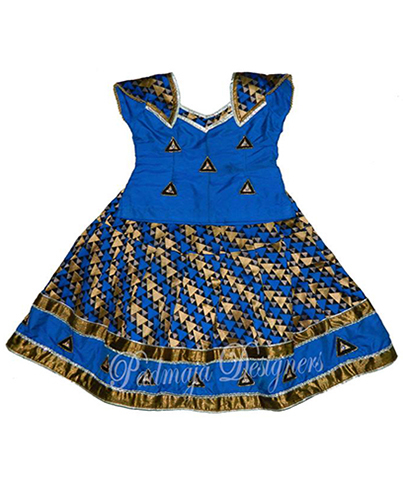 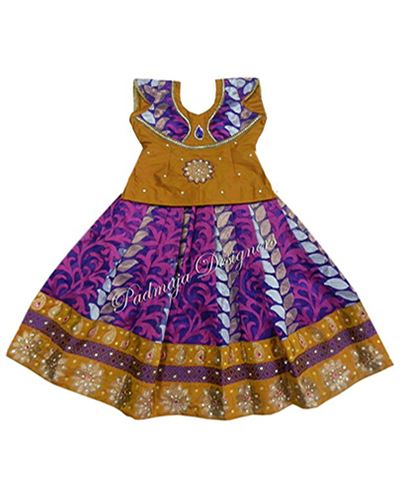 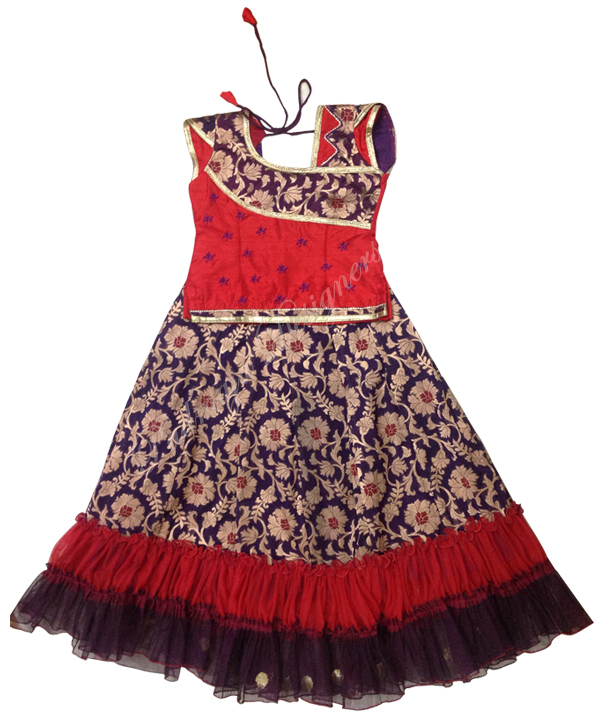 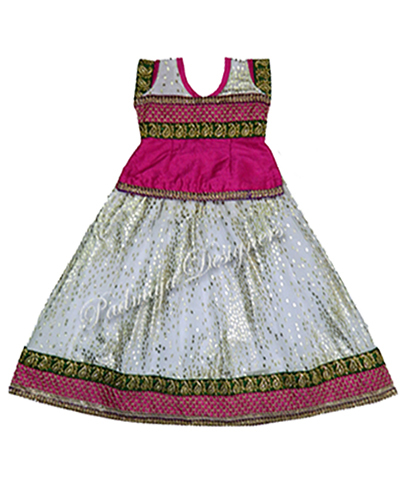 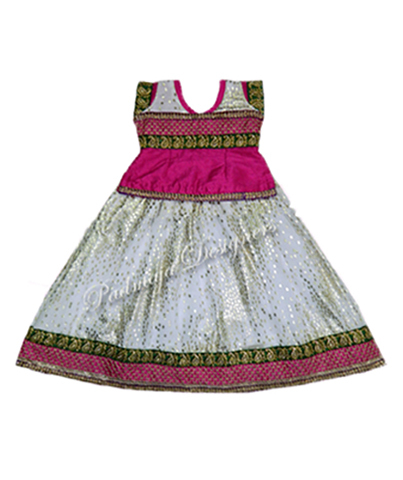 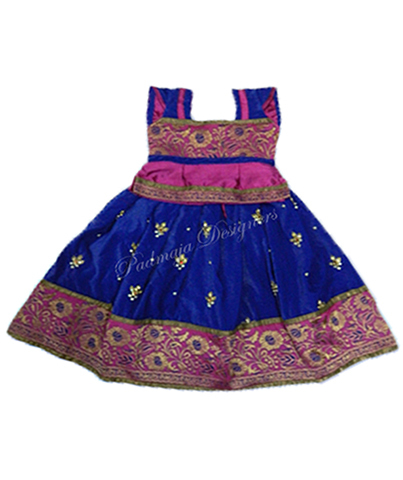 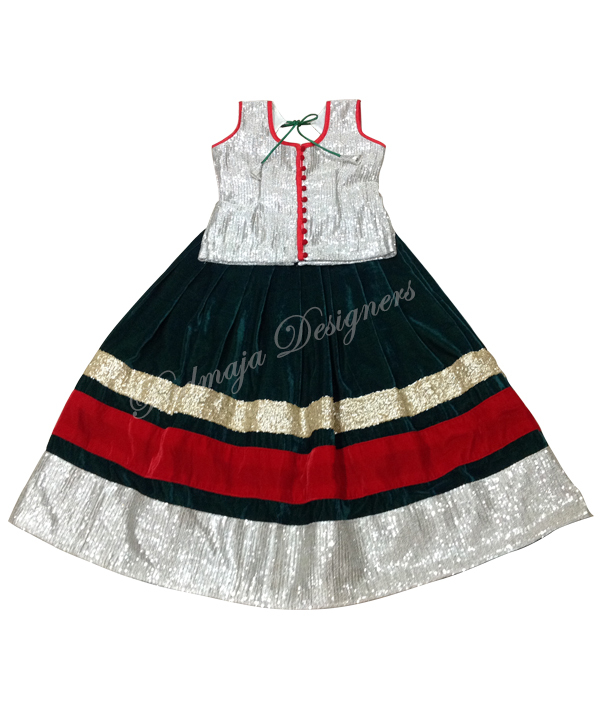 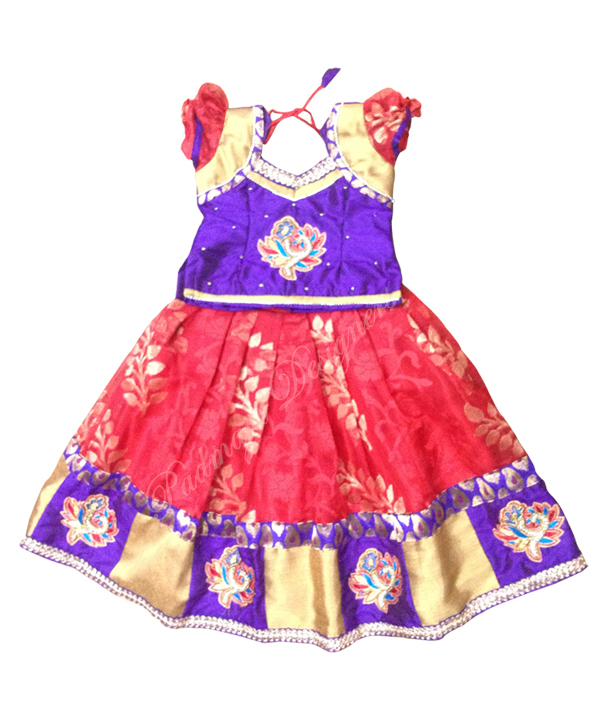 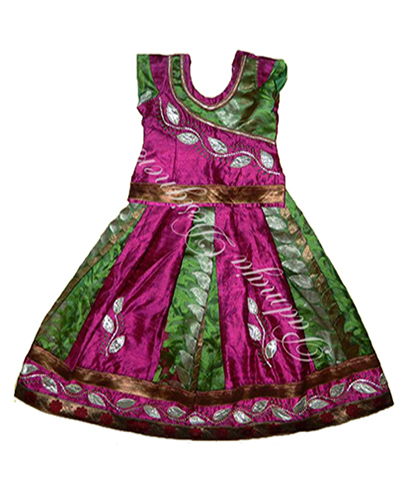 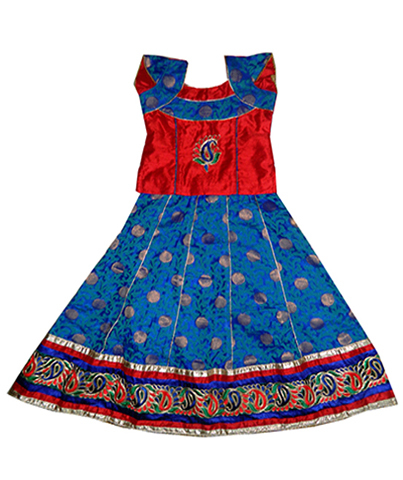 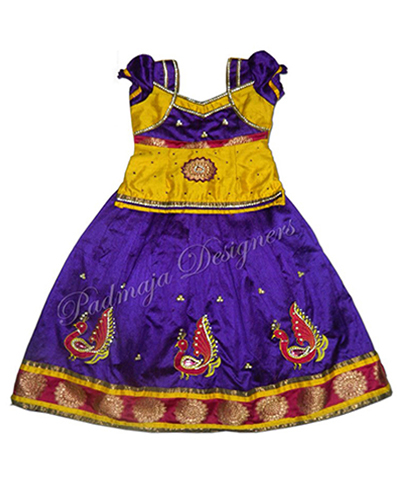 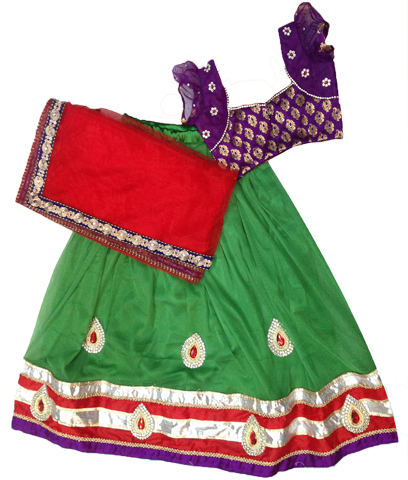 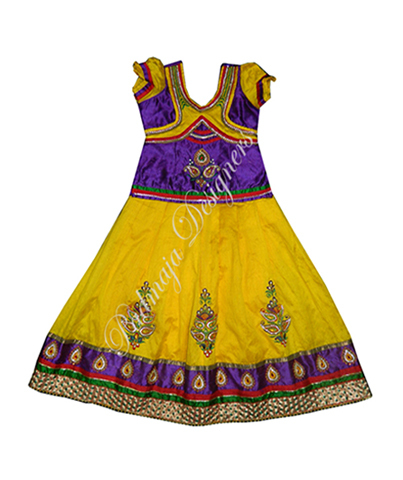 Ikkath silk material langa with raw silk kundhanwork border, raw silk with boat neck work. 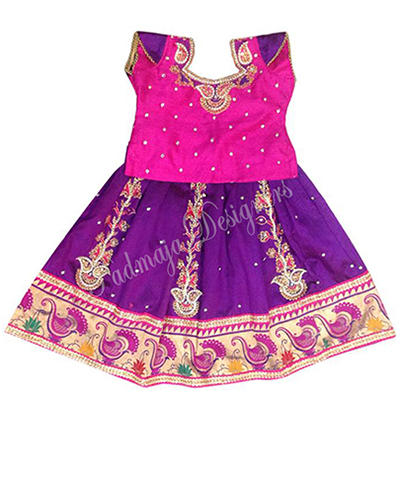 Ikkath silk langa blouse with blouse work. 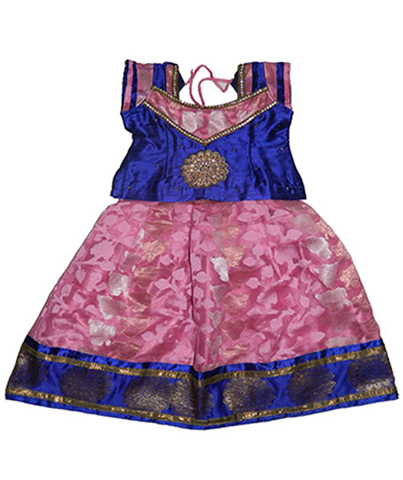 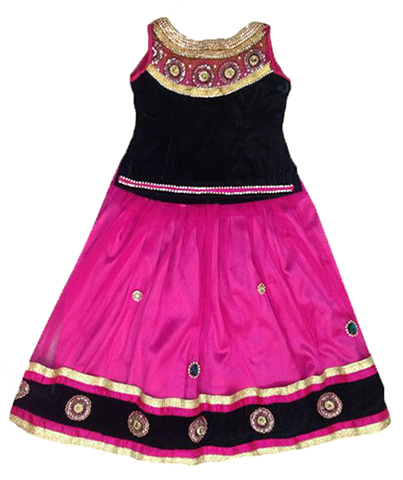 Pink embellished net,velvet body with mirror work. 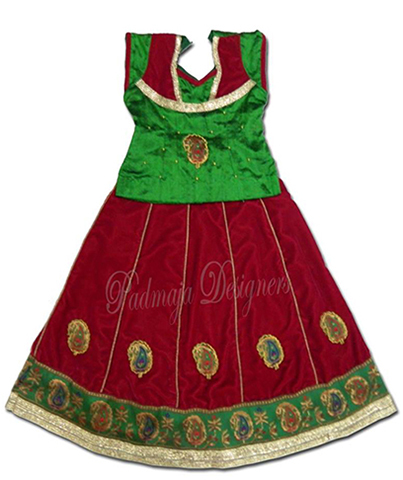 Net langa material with sequence, velvet kundhanwork borders, velvet material maharani Jewelry work collar neck blouse. 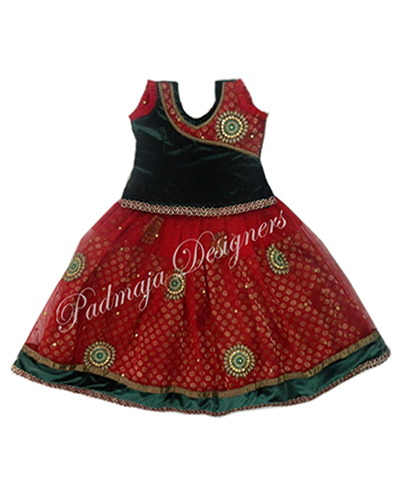 Velvet material Langa, sequence borders and sequence designer blouse. 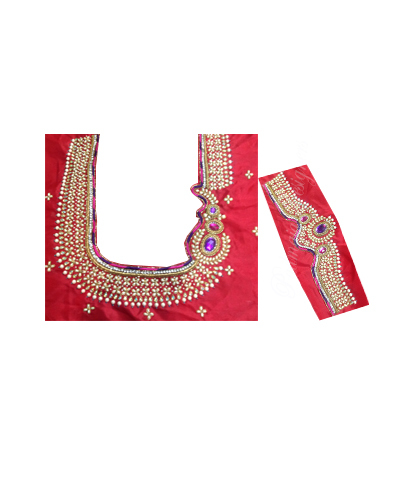 Raw silk material with Chandbali jewelry work. 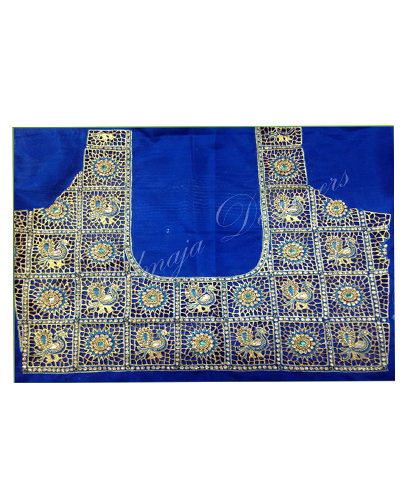 Net squnce material with cut work borders, raw silk material boat neck with work. 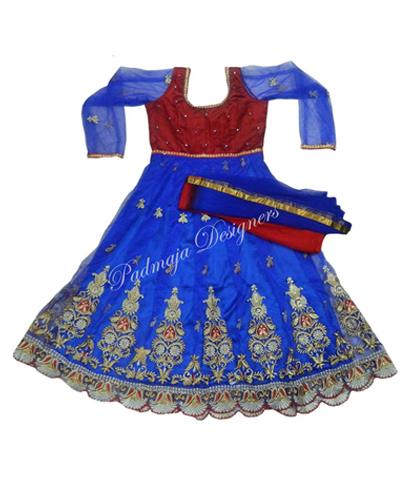 Raw silk material langablouse with boat neck work blouse. 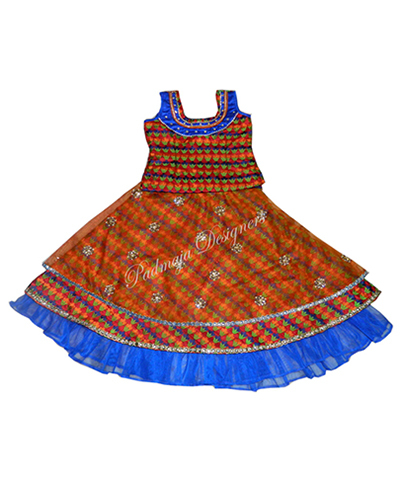 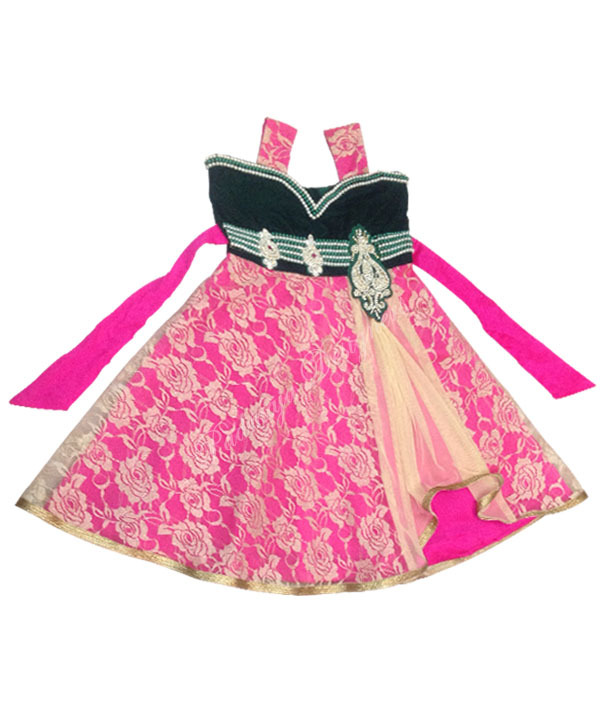 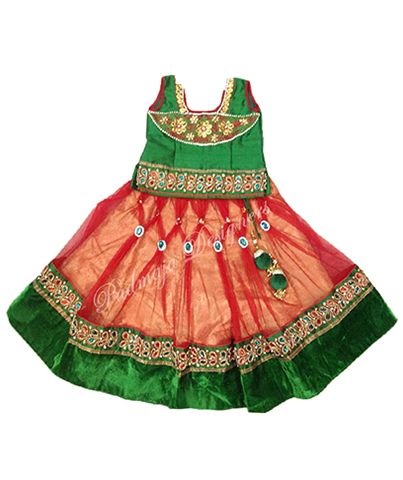 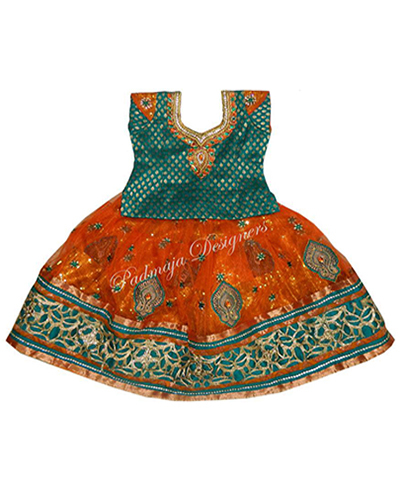 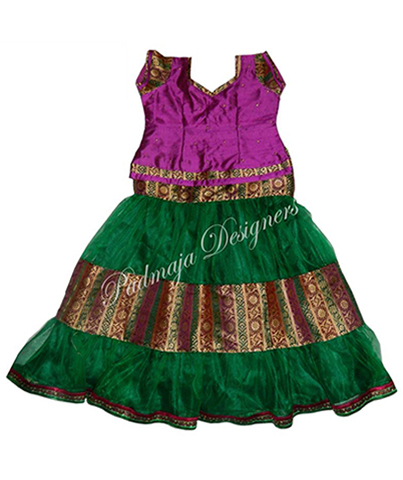 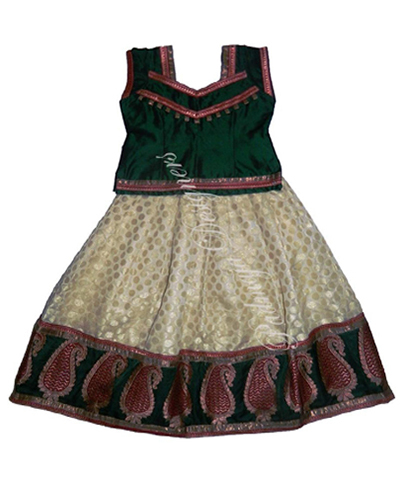 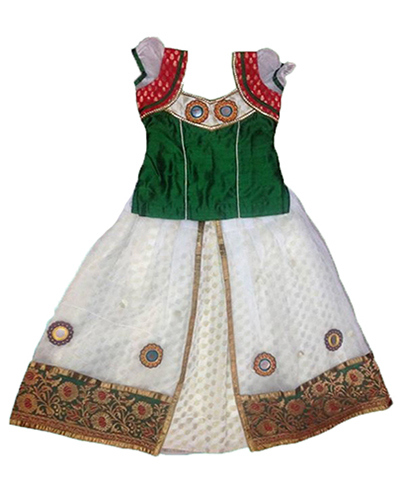 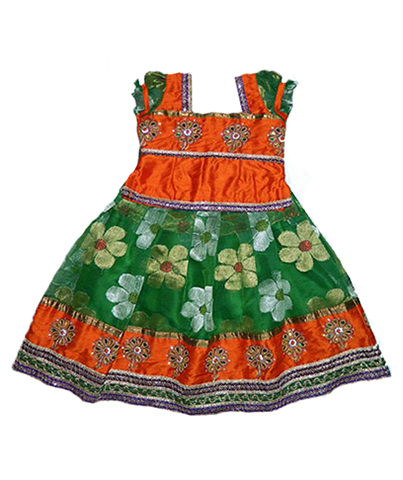 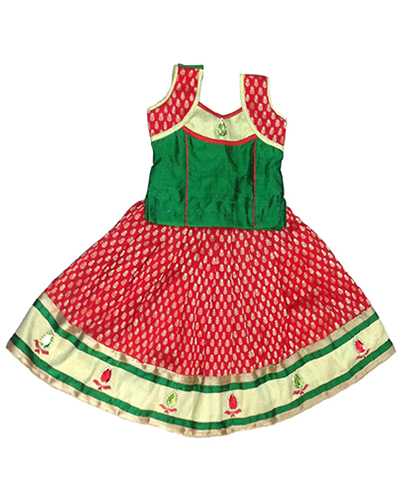 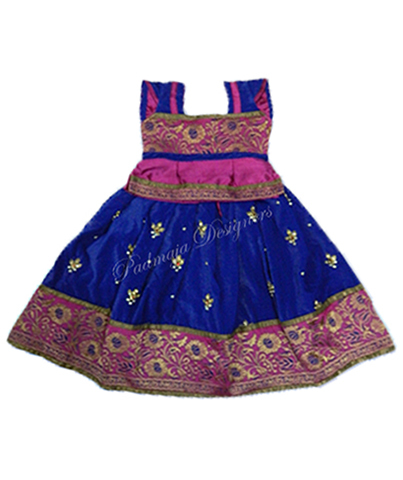 Benaras langa material with cut work borders, benaras material boat neck designer blouse. 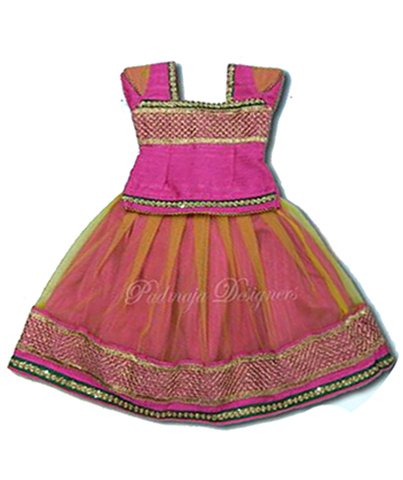 Langablouse, raw silk material with work. Langa blouse, Gold butties net, broked lining cloth, Ikkathu blouse with work. 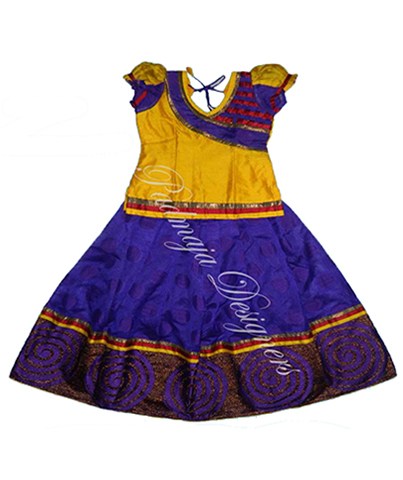 Broked langa, Ikkathu blouse with work. 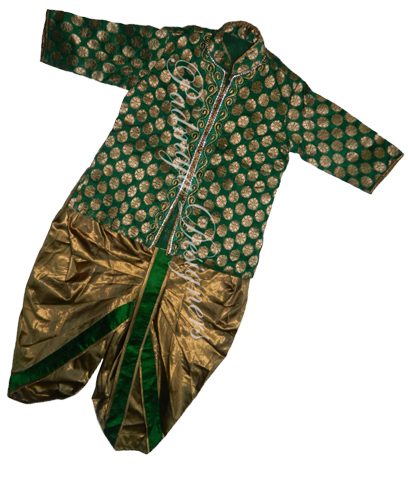 printed net with gold less, Raw silk with mirror work. 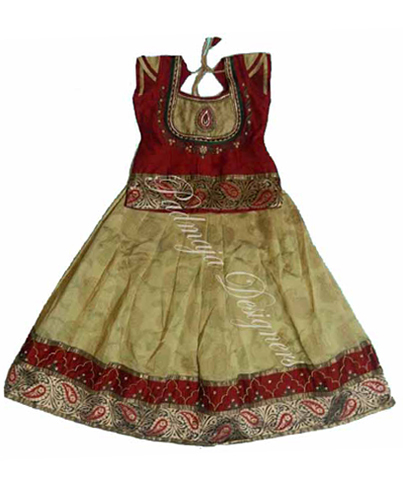 Langablouse, Raw silk langa blouse with work. 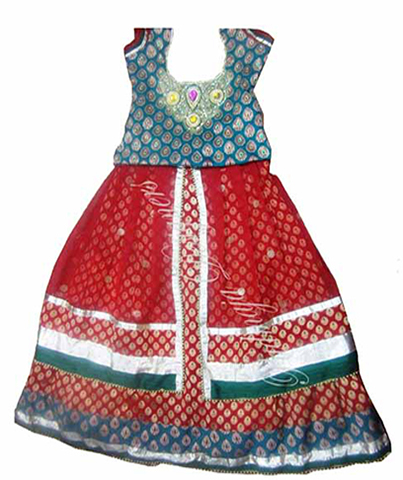 Raw silk material with kundha work. 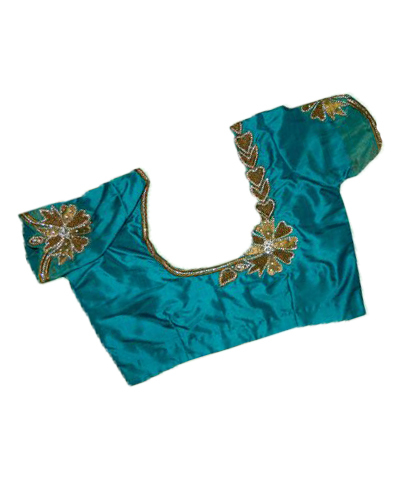 Gujeri net work material, with raw silk blouse. 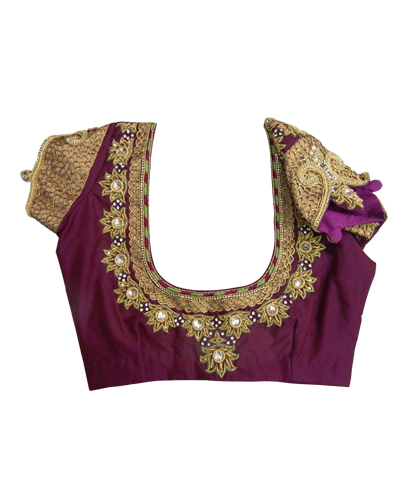 Brooked langa, raw silk blouse with kundhan work. 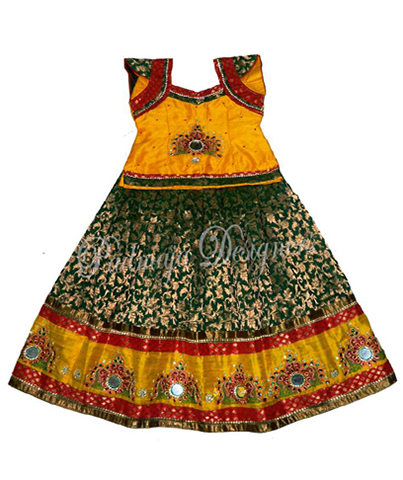 Raw silk material langa, banaras brocade blouse, benaras borders with jewelry work. 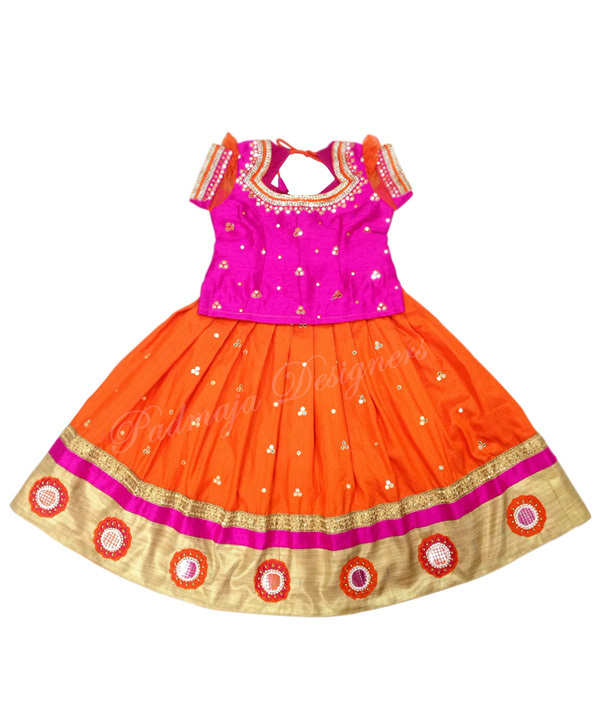 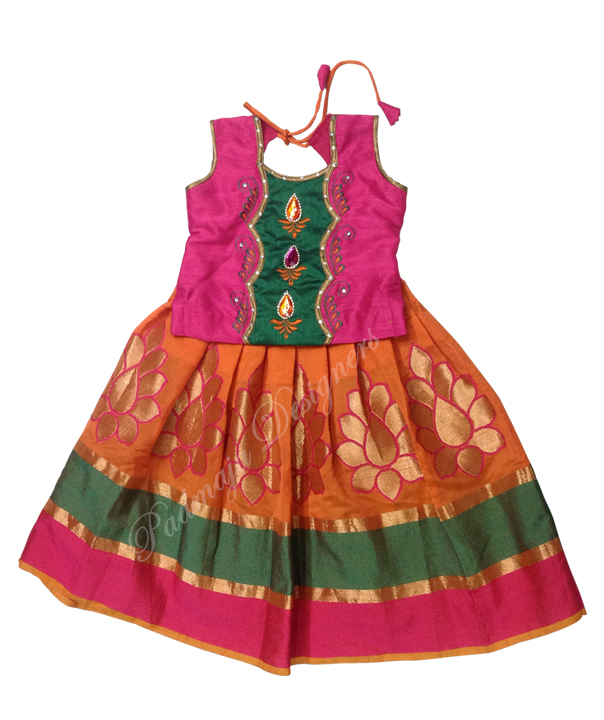 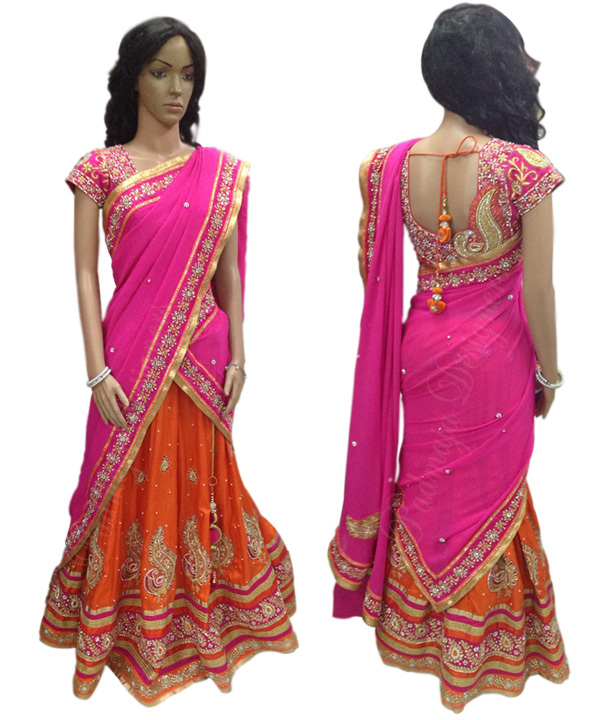 Orange & pink raw silk langa blouse with heavy work borders and pink georgette ONI with work borders. 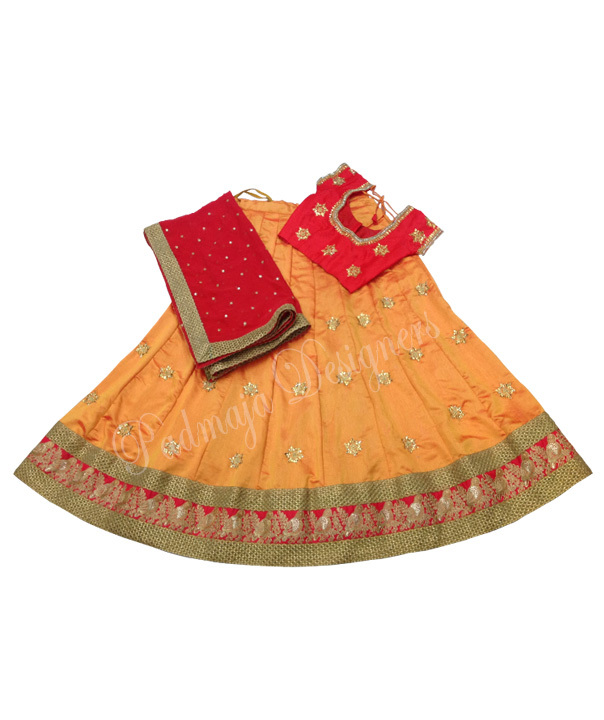 gujiree material langa with cutwork borders ,rawsilk blouse with maching cutwork to langa design ,pure georgette� half Saree with kundhan work ,borders. 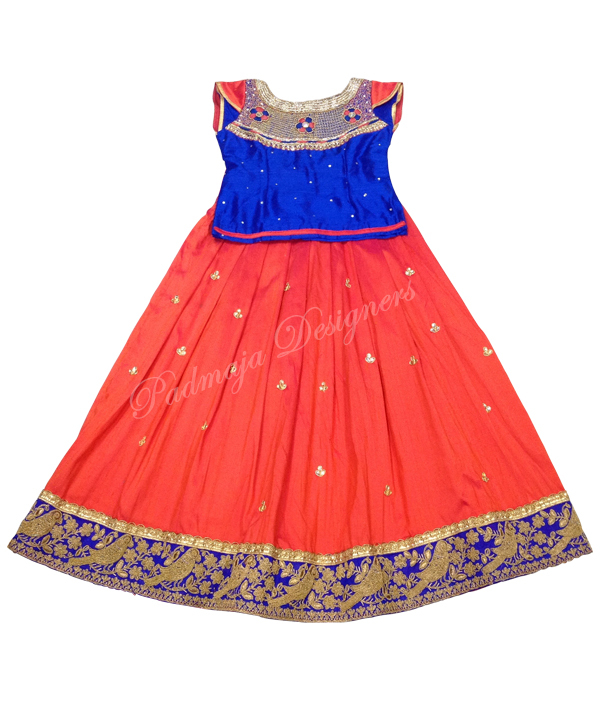 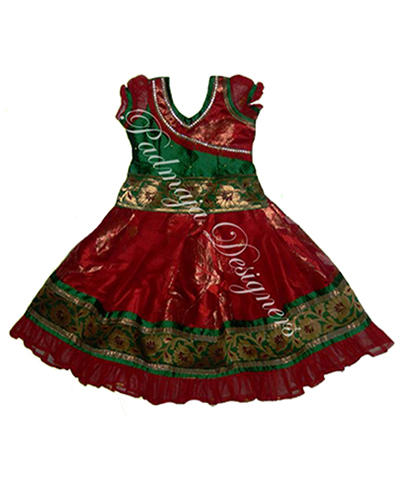 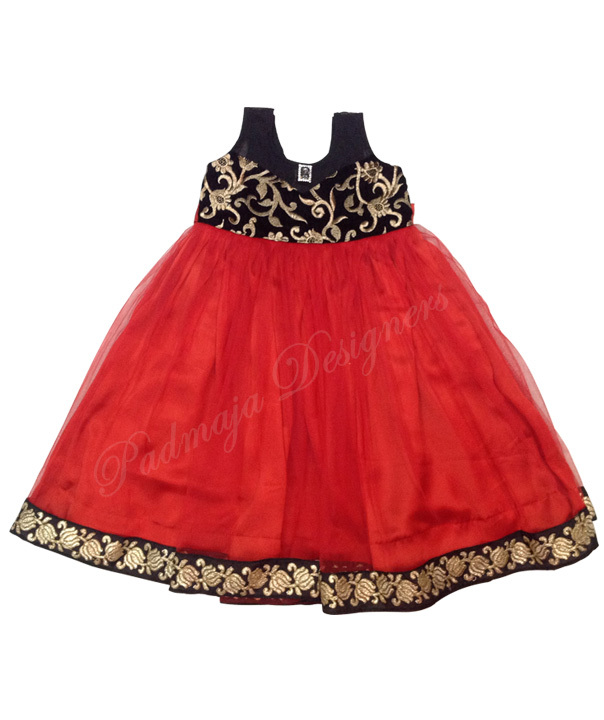 Red Raw silk with kudhan jewelry work ,bottom Georgette with work material. 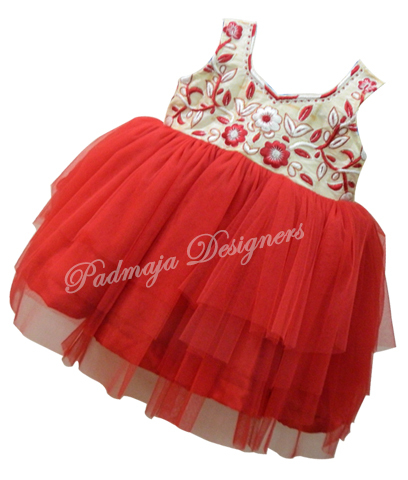 Five meters gear, three Layers. 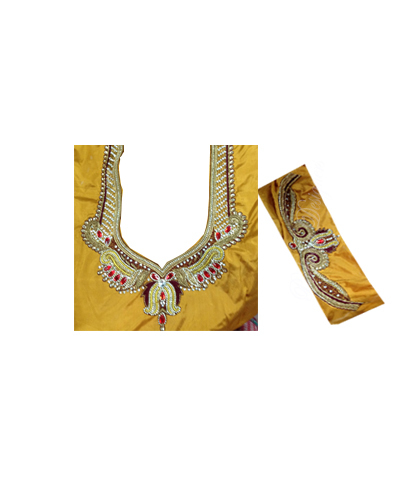 netted fabric with gold butte,raw silk yoke with simple work. 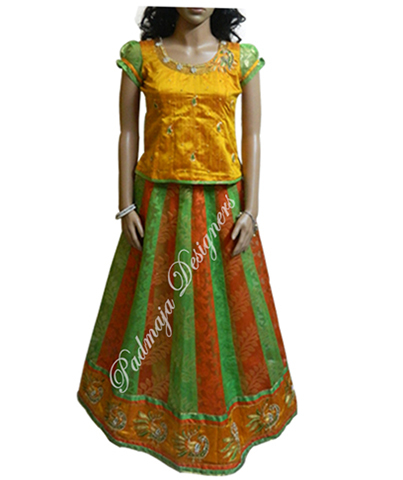 Langa blouse net and Raw silk materials,with jewelry work blouse and heavy cut work. 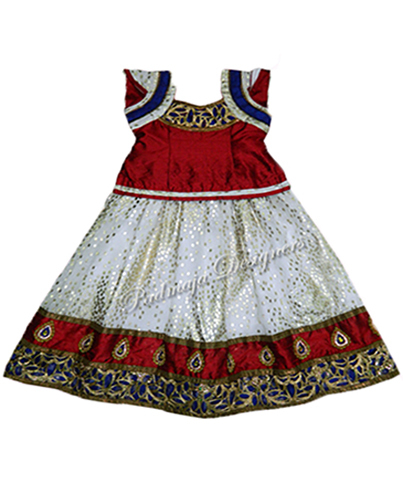 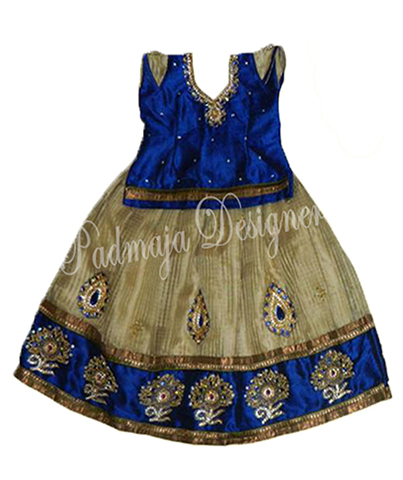 Raw silk langan with pyithani border raw silk blouse with maharani kudhan work. 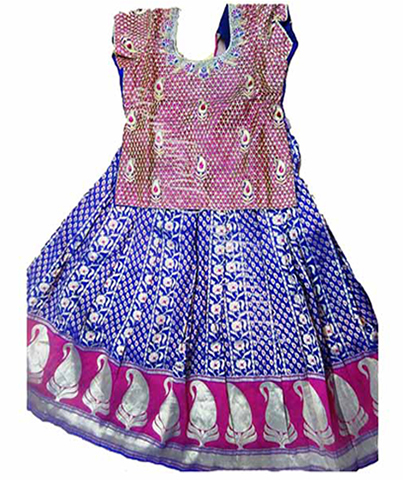 Material heavy gujeri net material , blouse rawsilk material with mirror work boot neck. 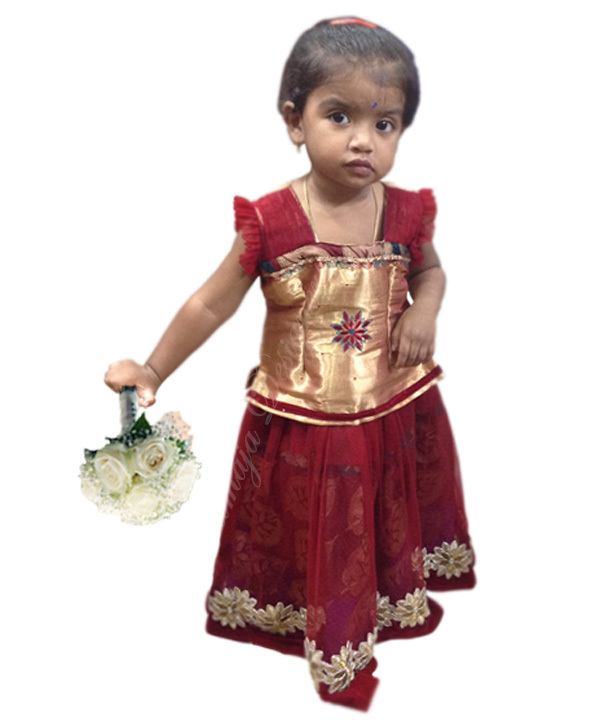 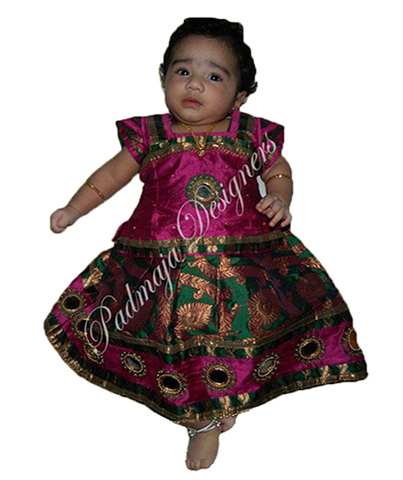 pattu langa with maroon raw silk blouse. 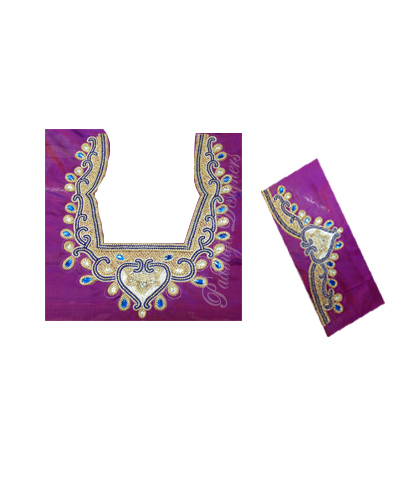 Raw silk material with peacock�kundhan jewelry work. 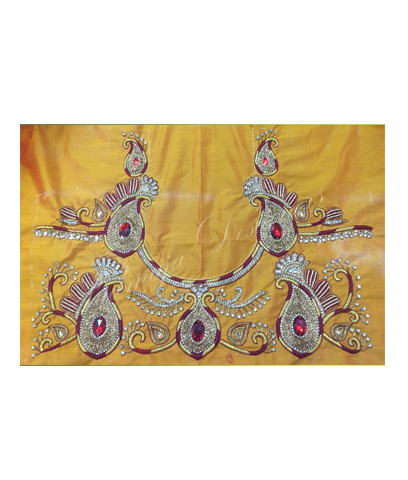 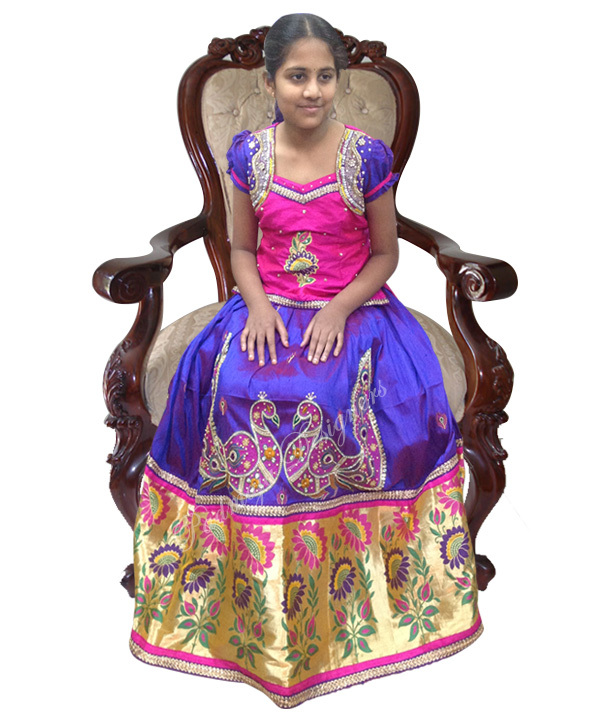 Velvet material and big kundhan work, cut work border and banares gold color blouse. 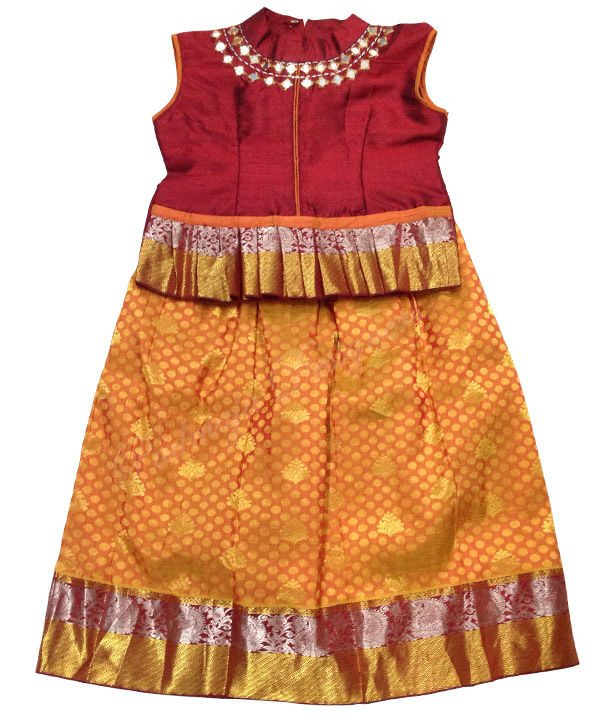 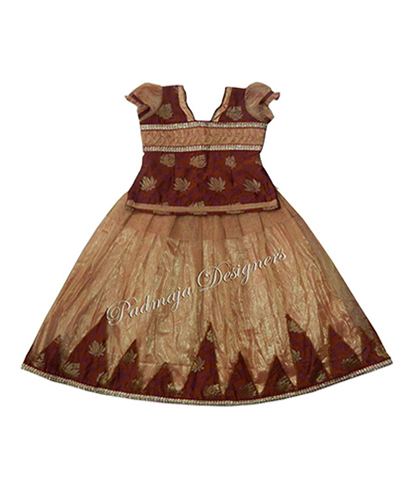 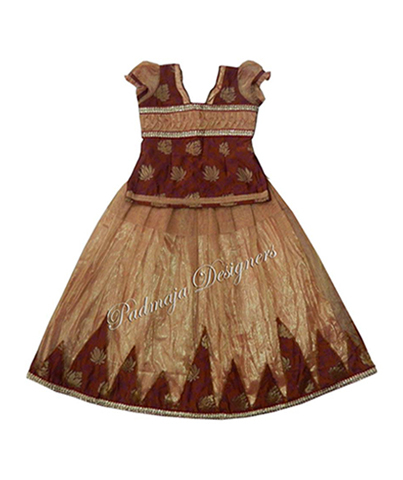 Reddish maroon netted langa with brocade lining and golden kanchi tissue designer blouse. 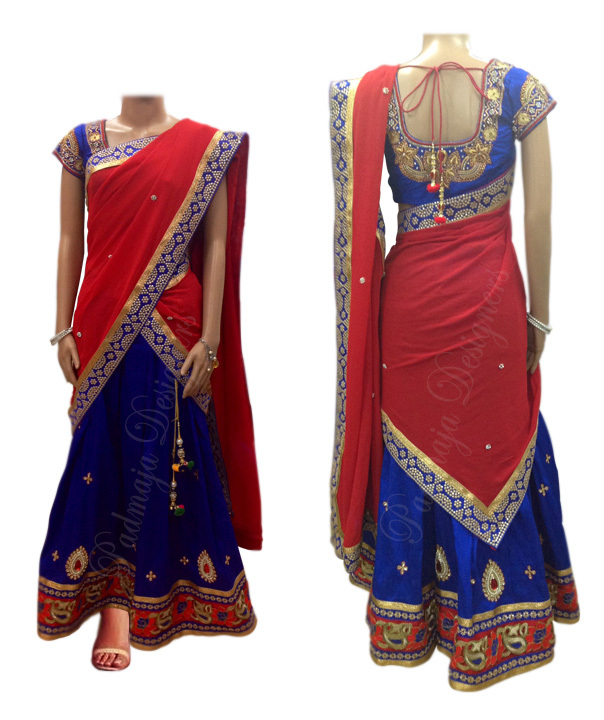 Red and Blue Raw silk langa with heavy stone work. 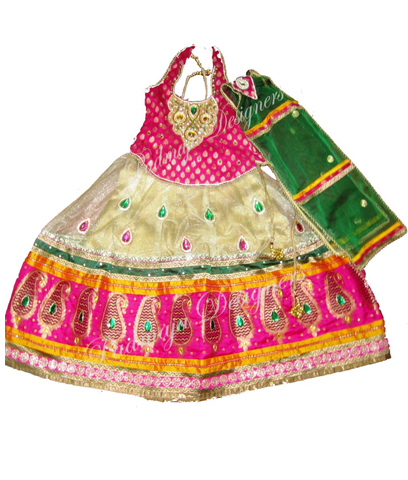 Net benaras langa with rawsilk border , raw silk blouse with mirror work. 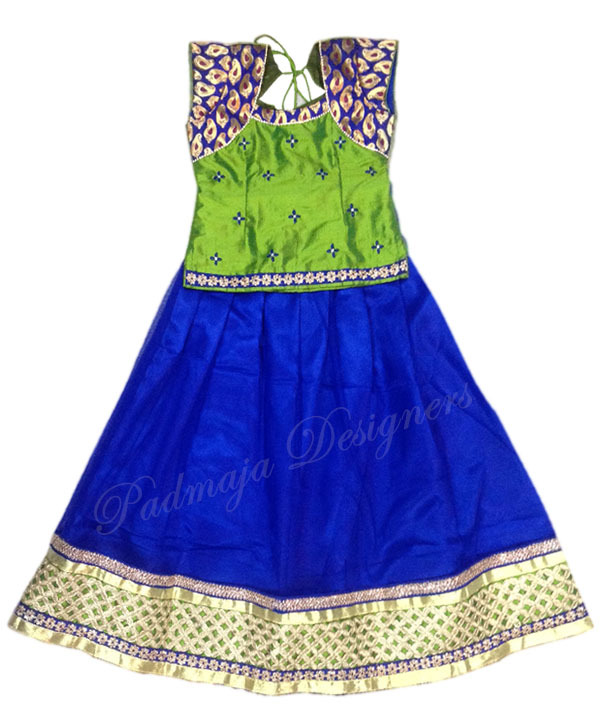 Soft net and thread with sequence work border, raw silk work design blouse. 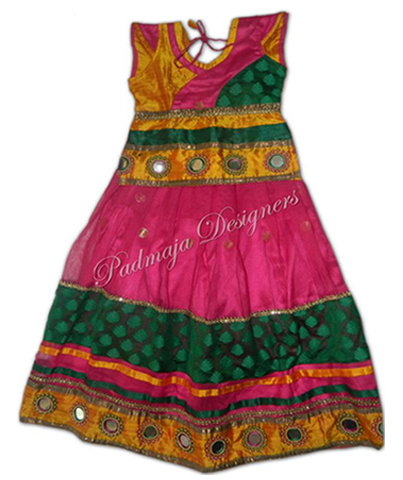 Raw silk Langa blouse with mirror work. 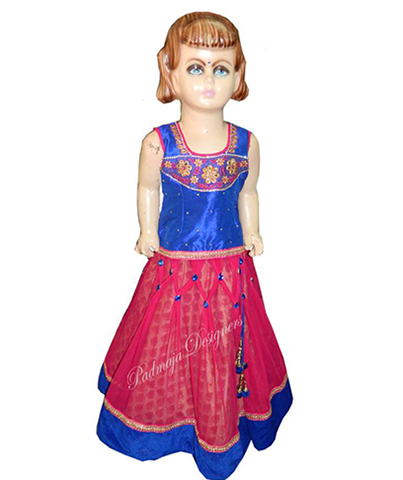 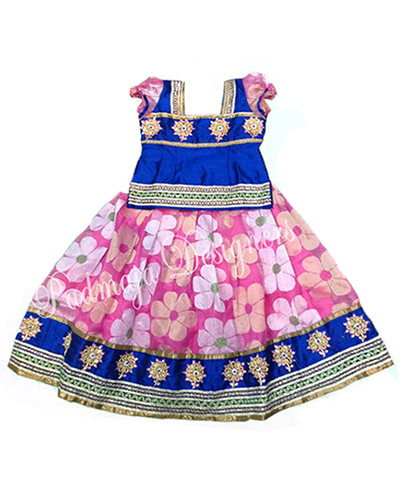 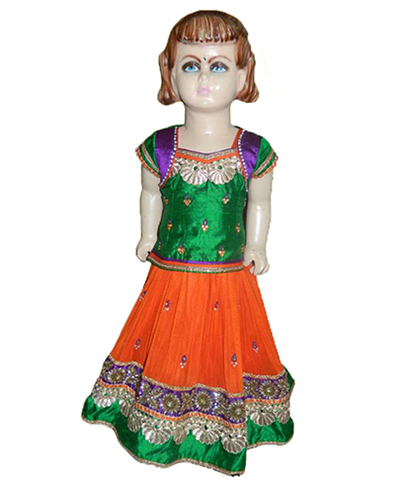 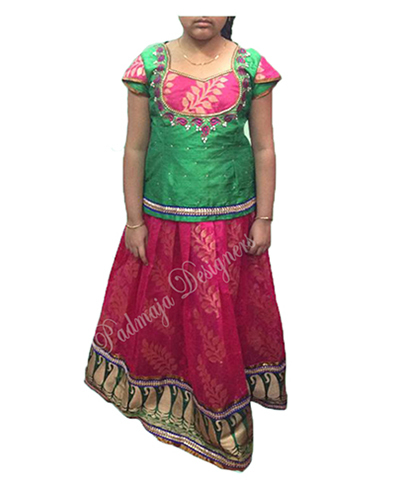 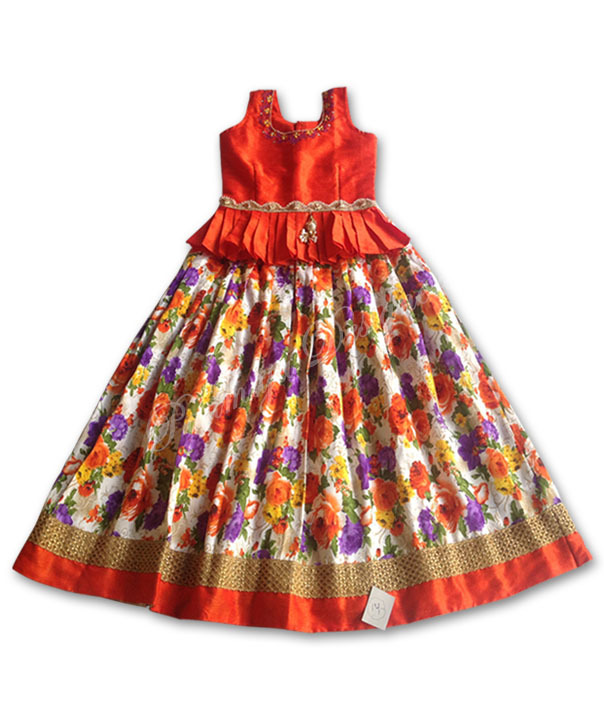 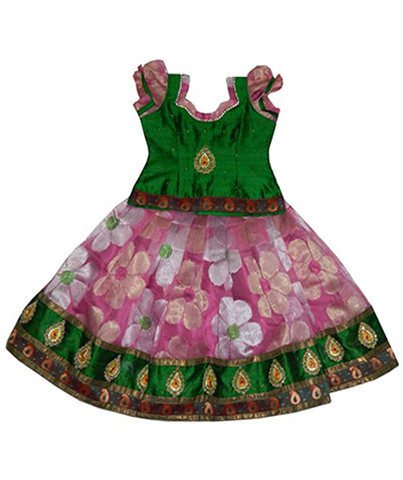 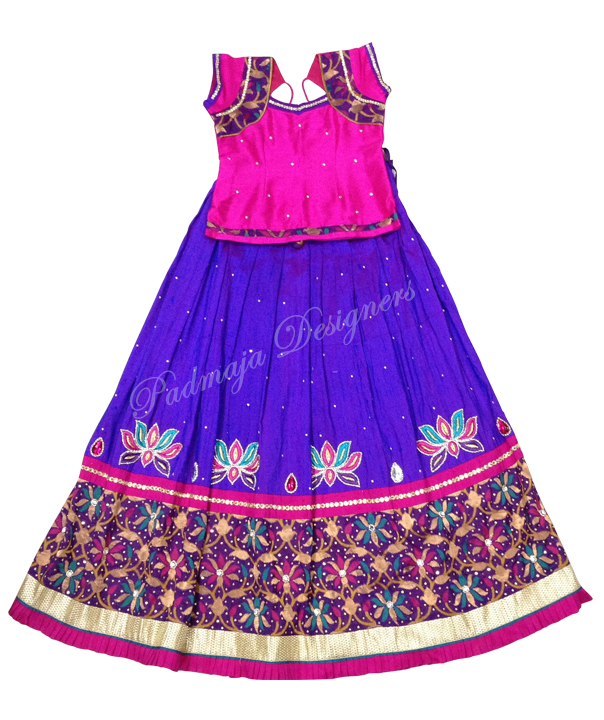 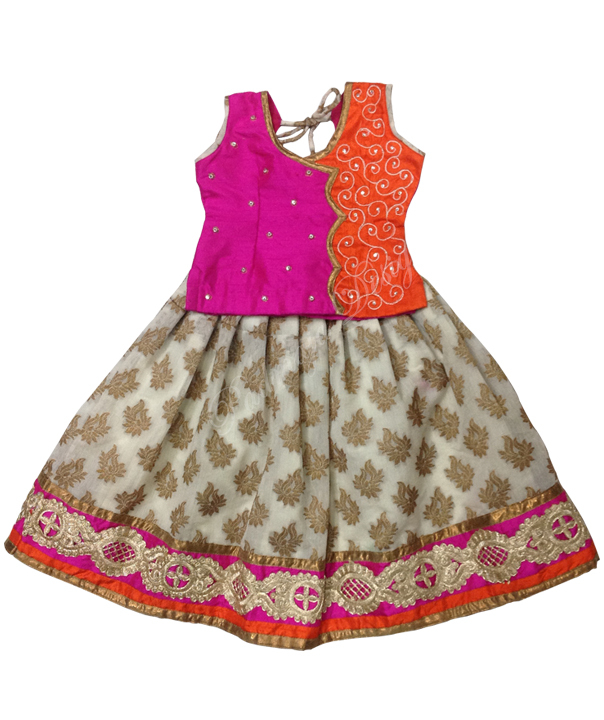 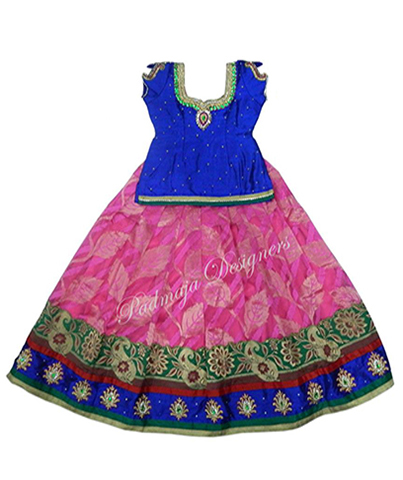 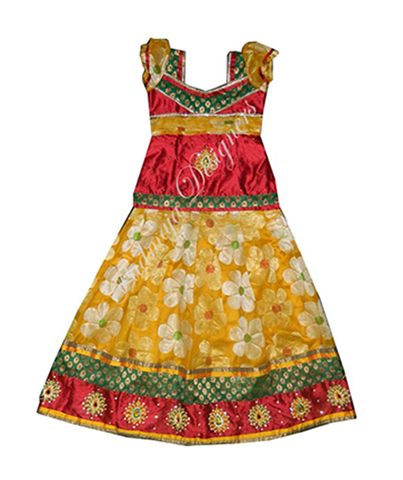 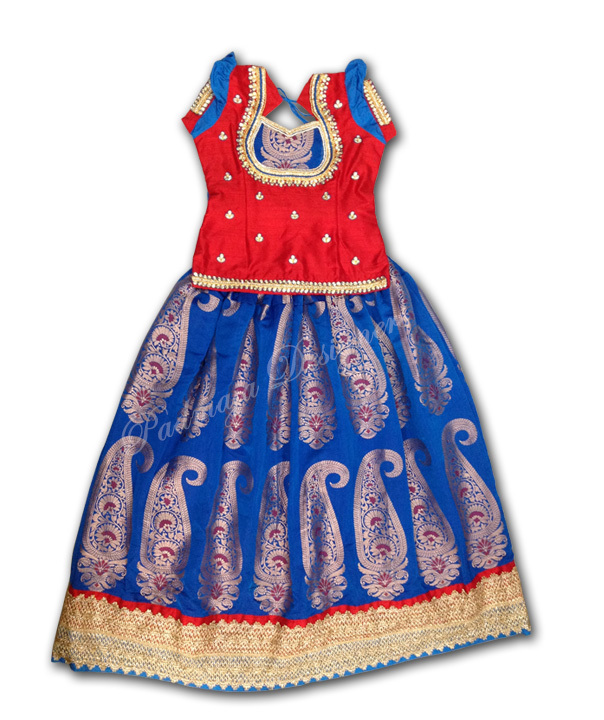 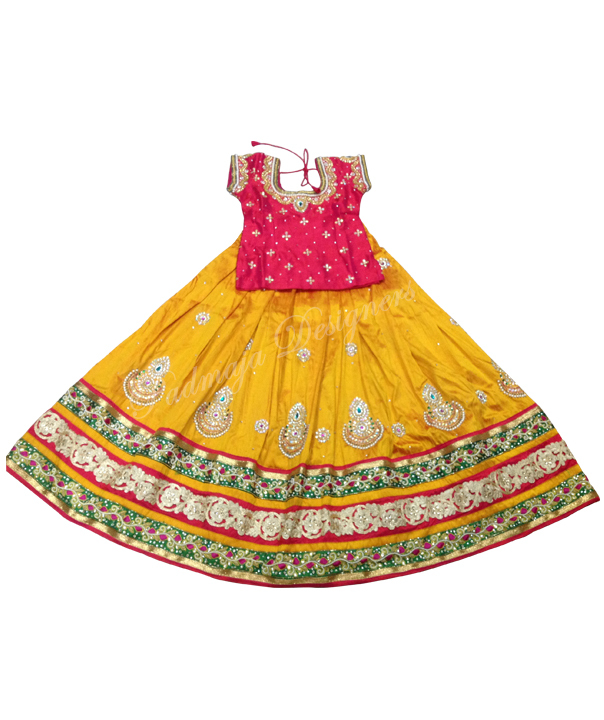 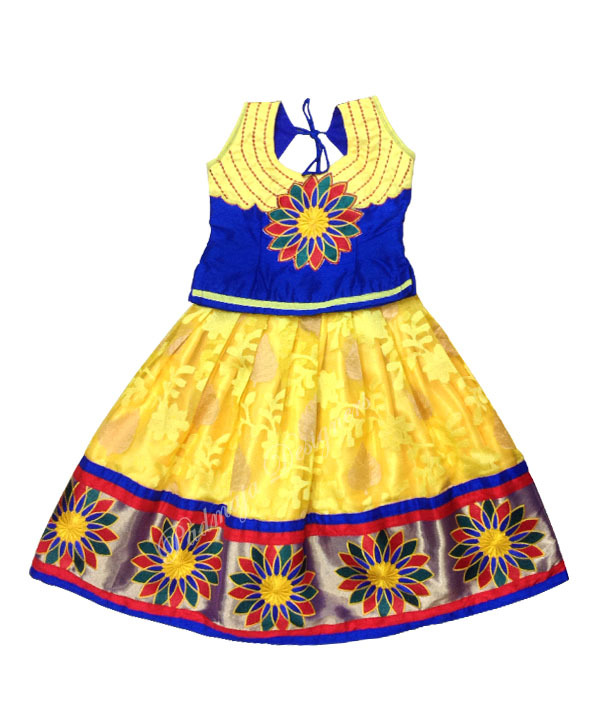 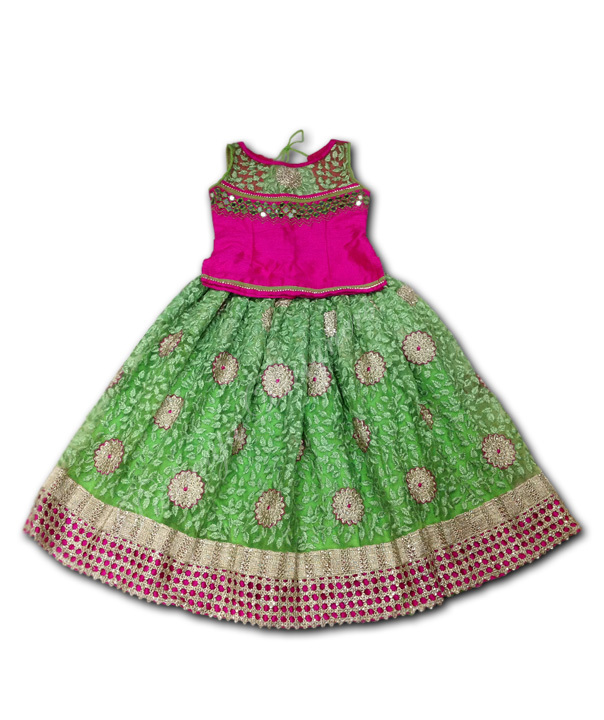 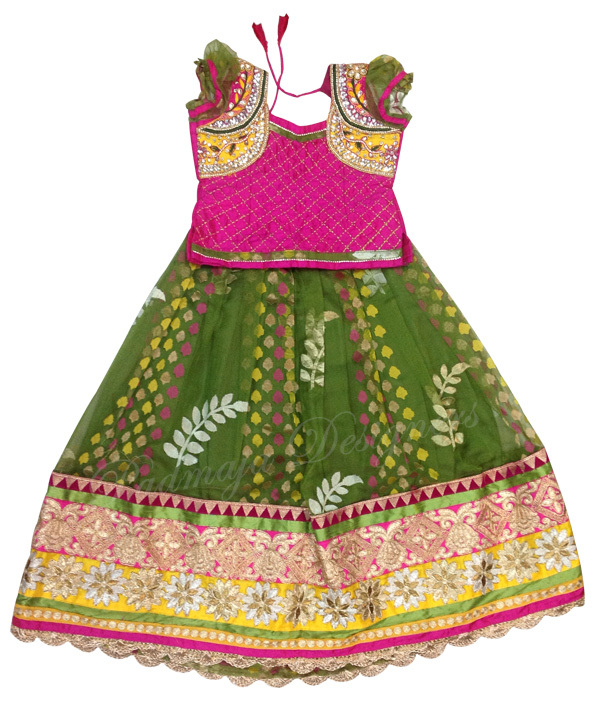 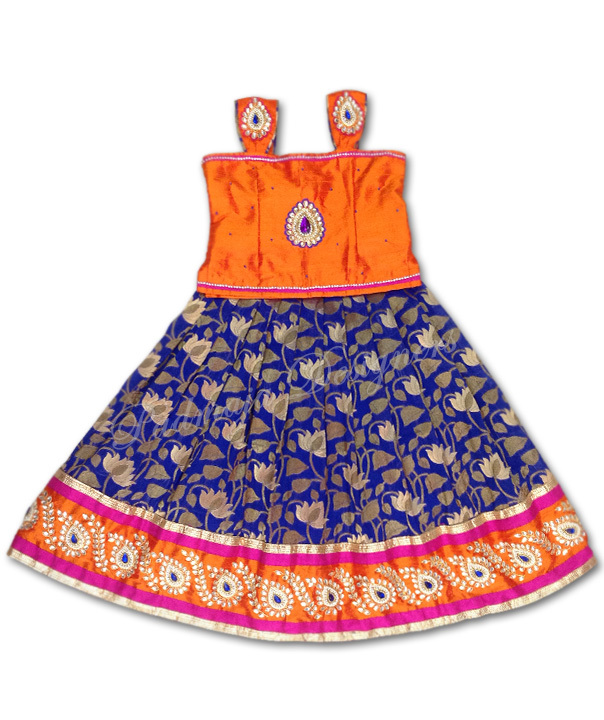 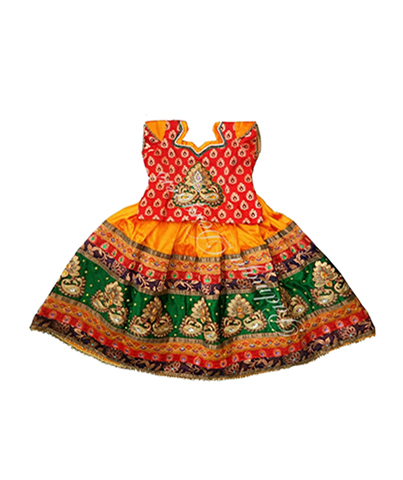 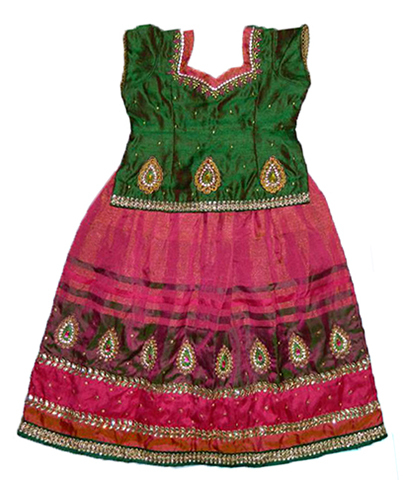 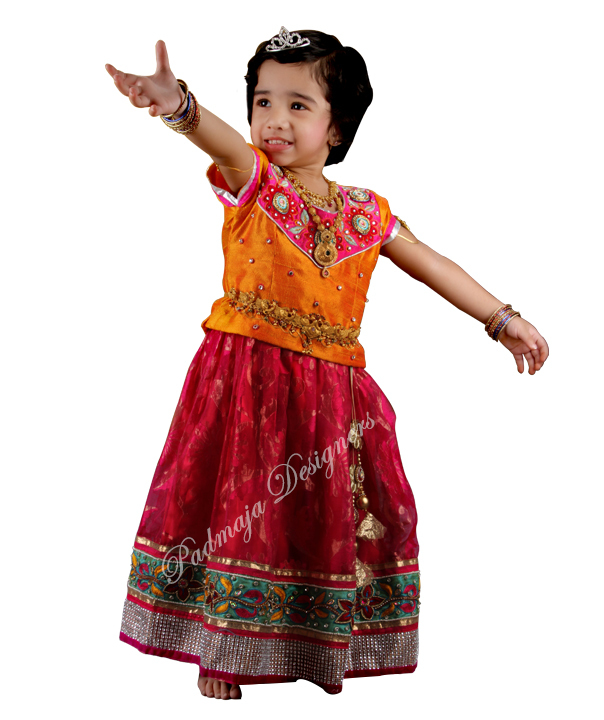 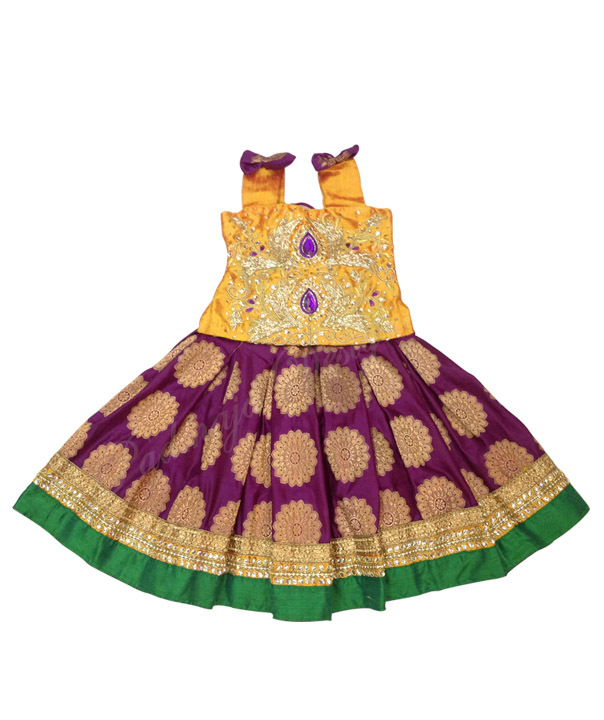 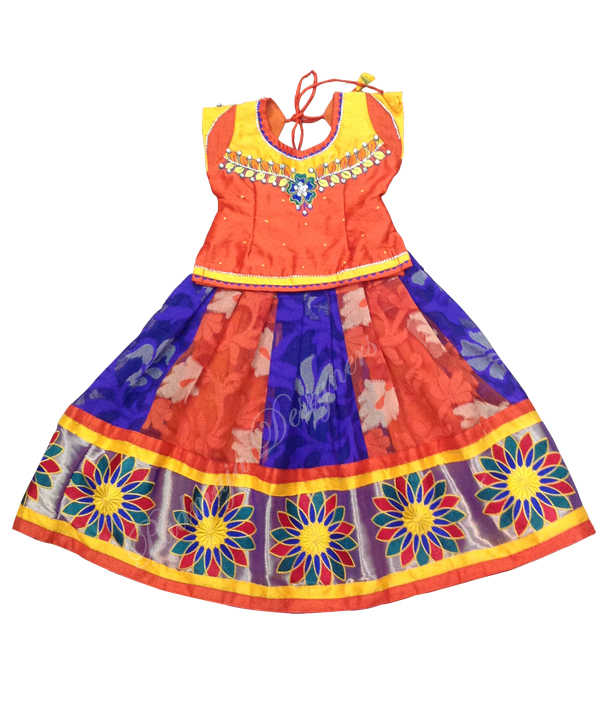 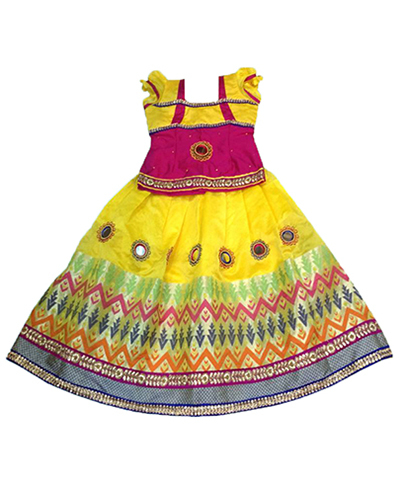 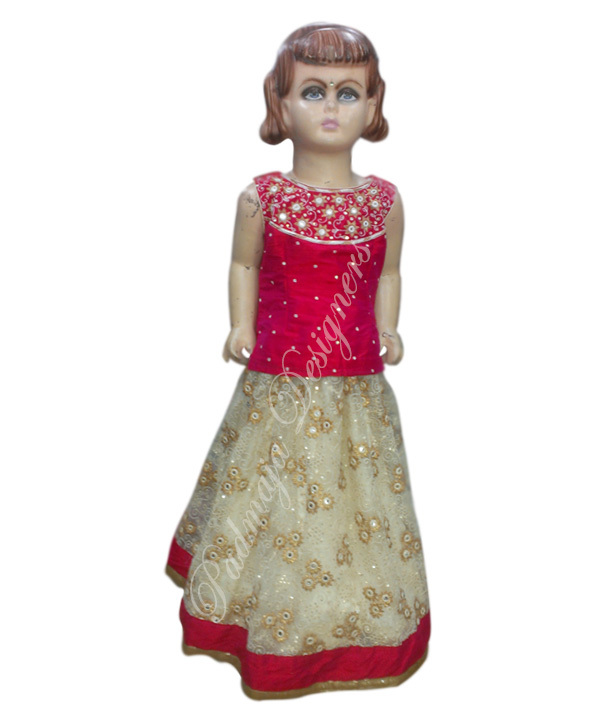 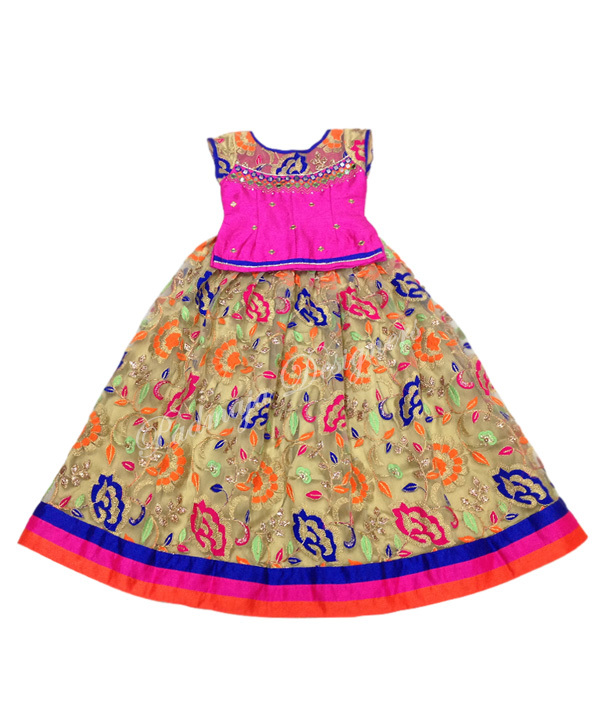 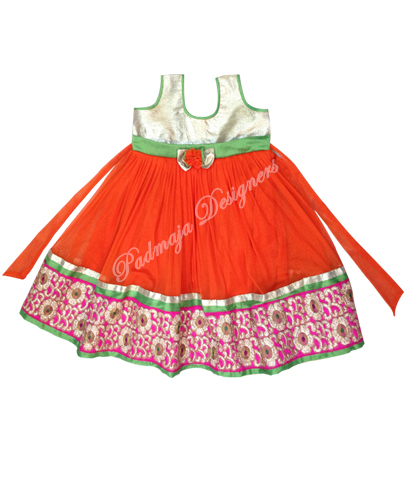 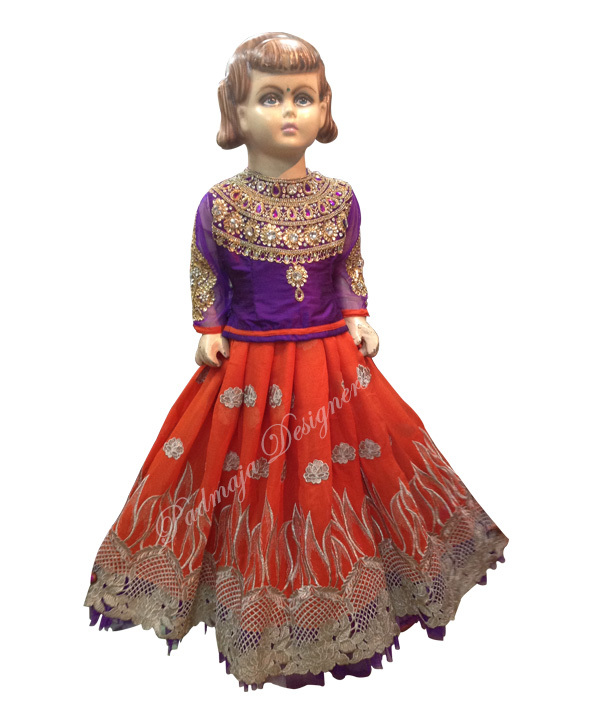 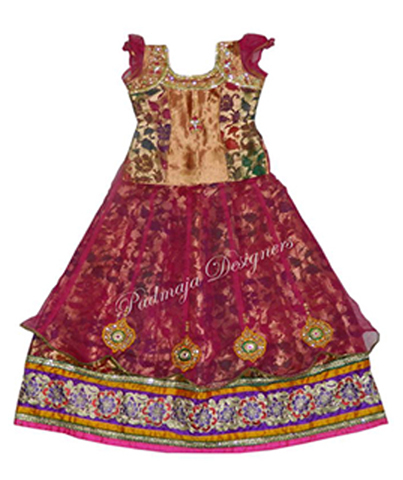 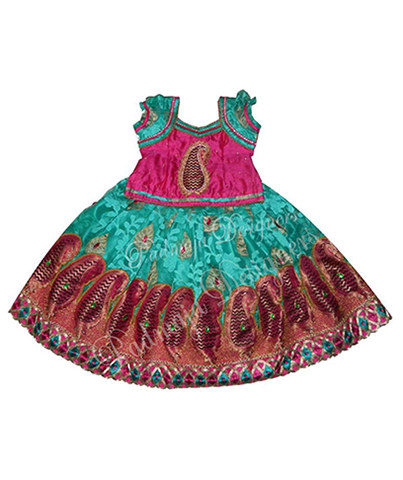 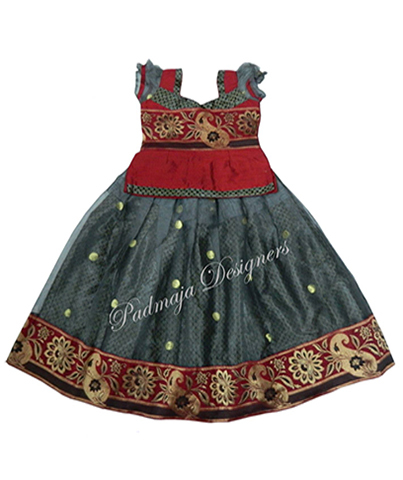 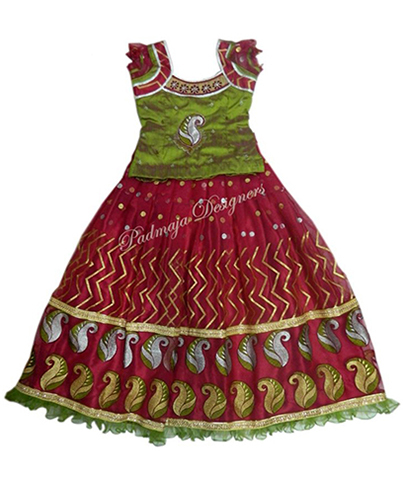 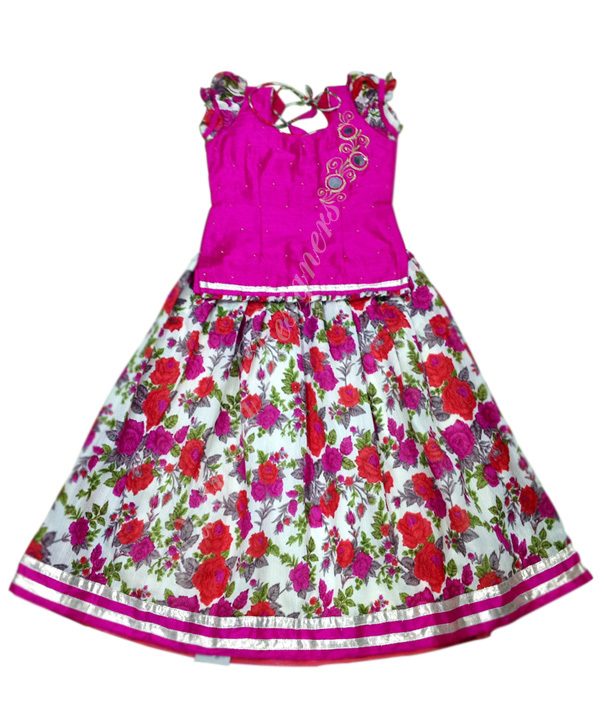 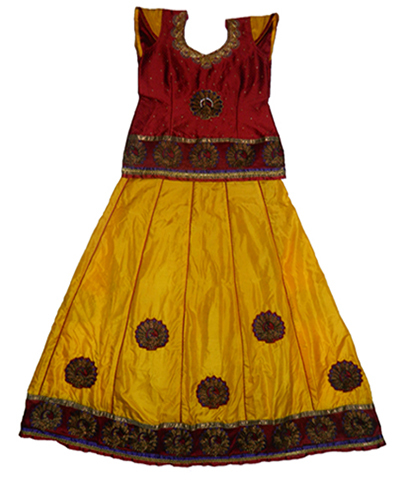 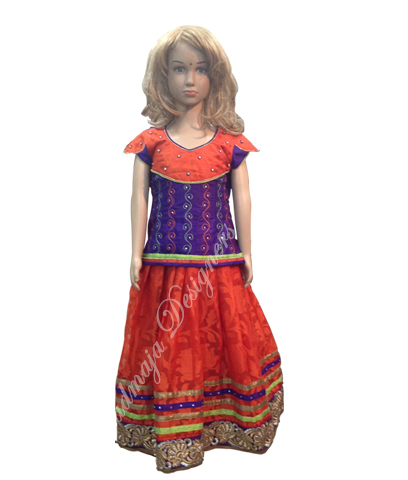 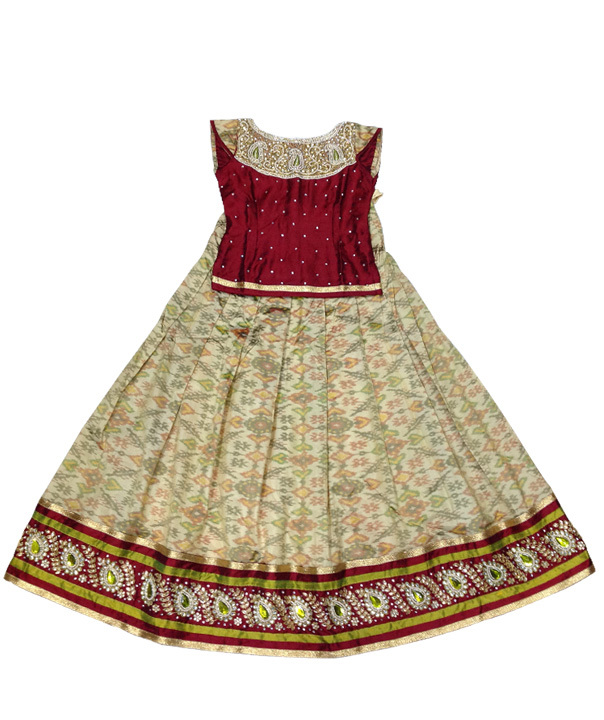 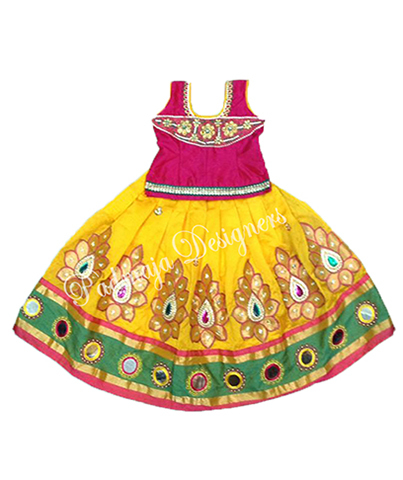 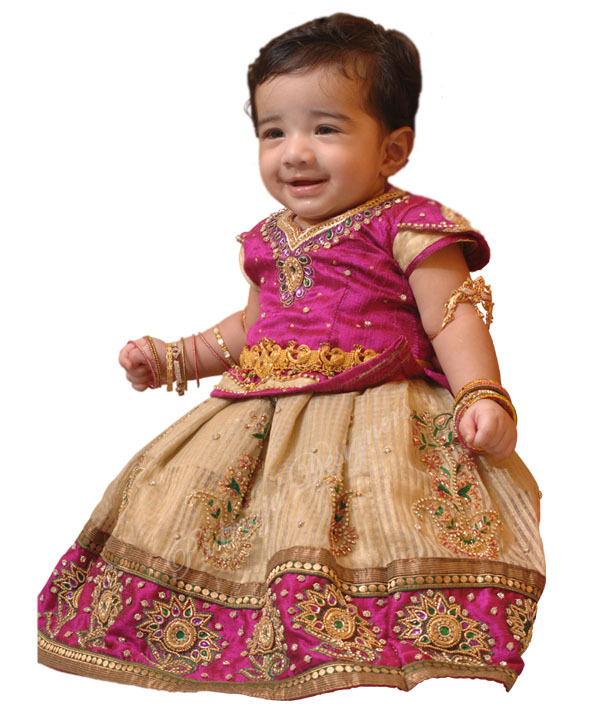 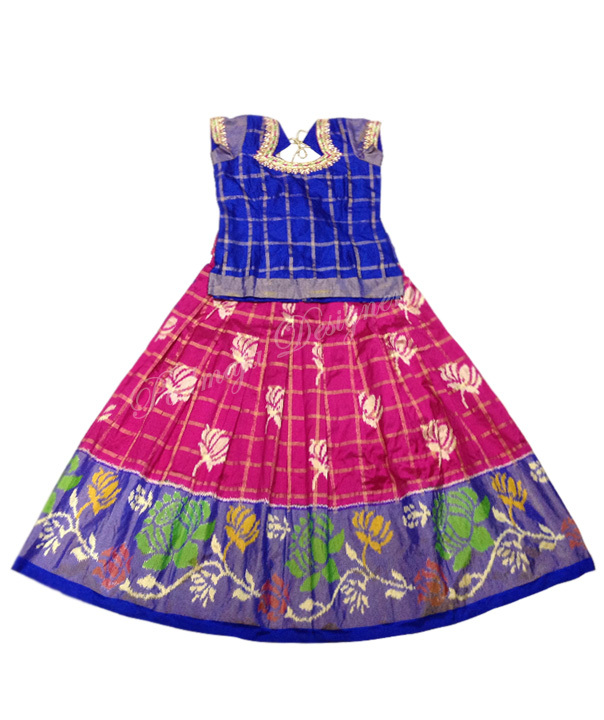 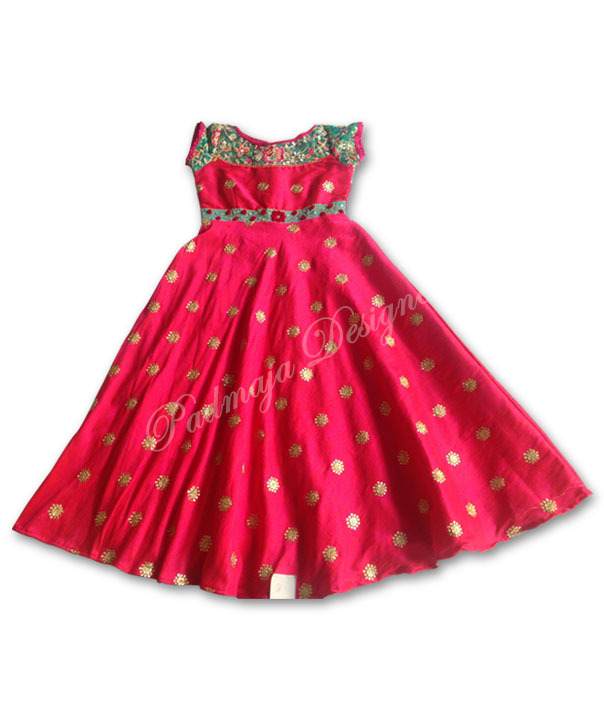 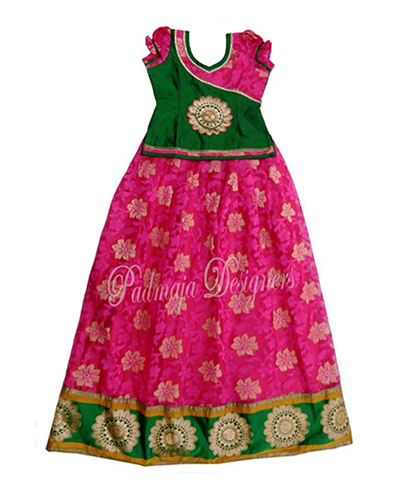 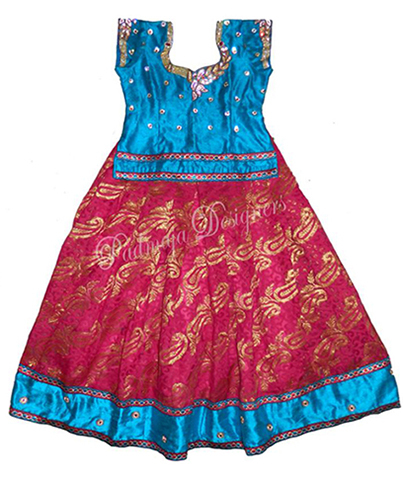 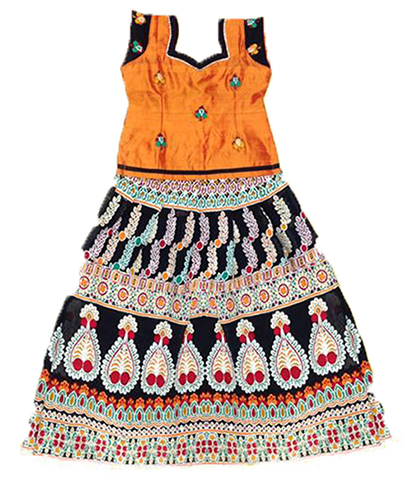 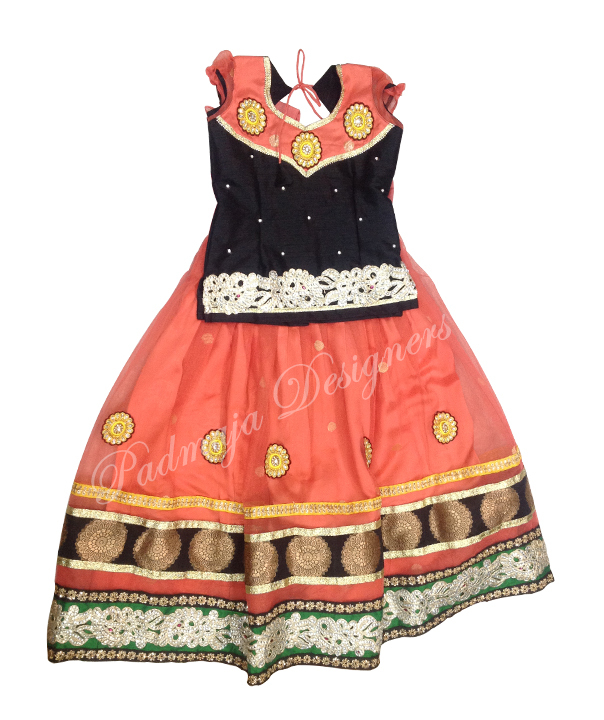 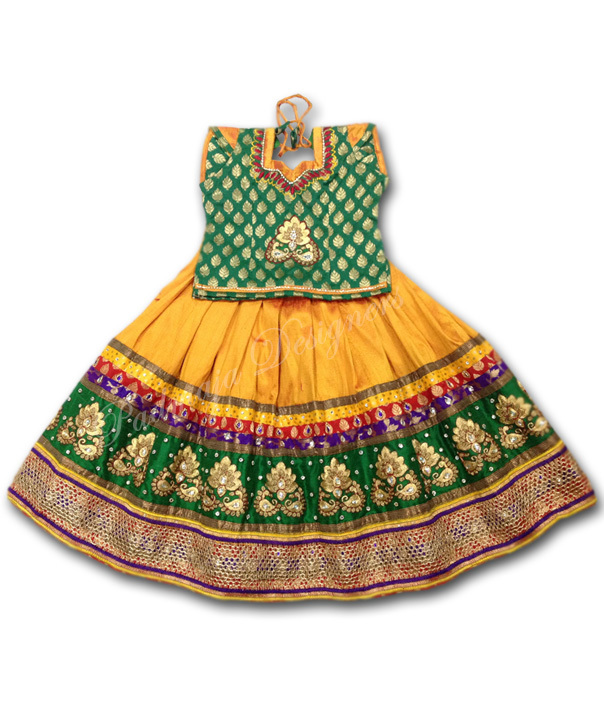 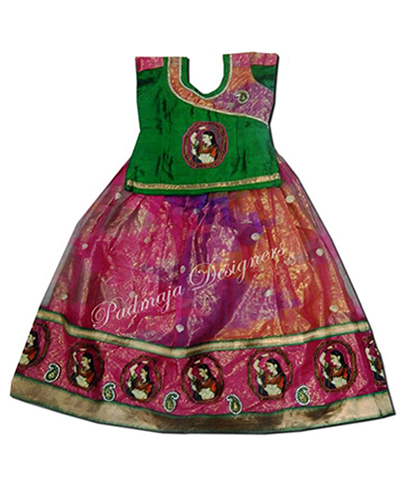 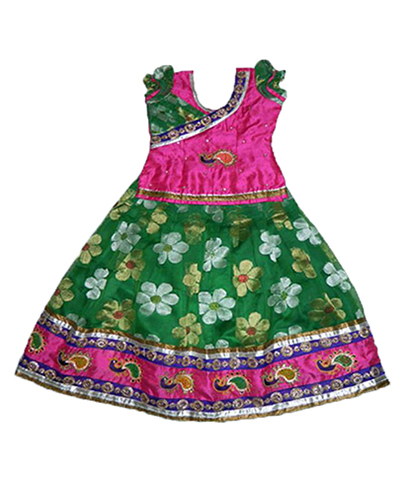 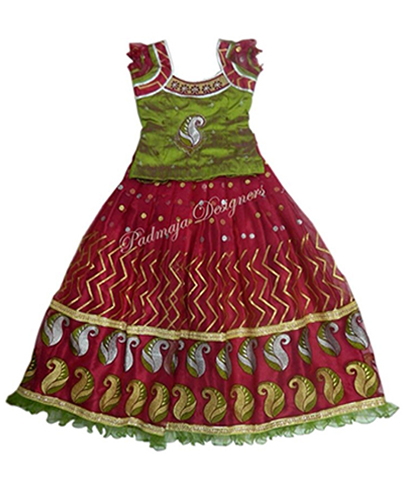 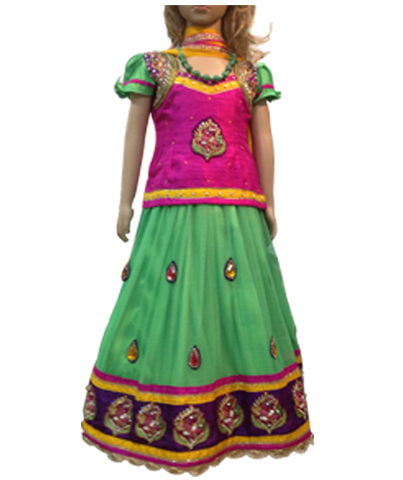 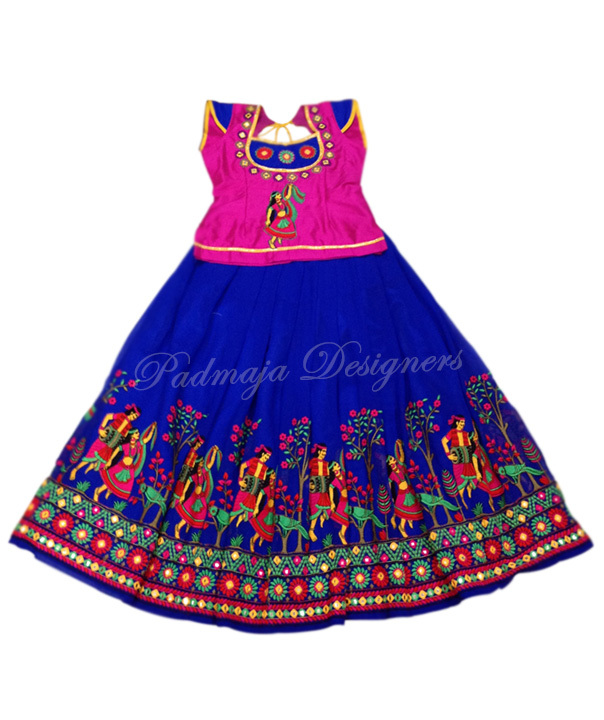 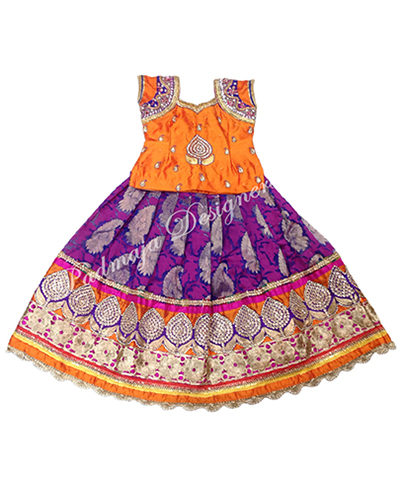 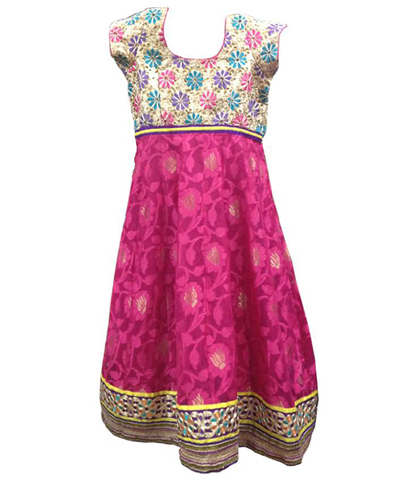 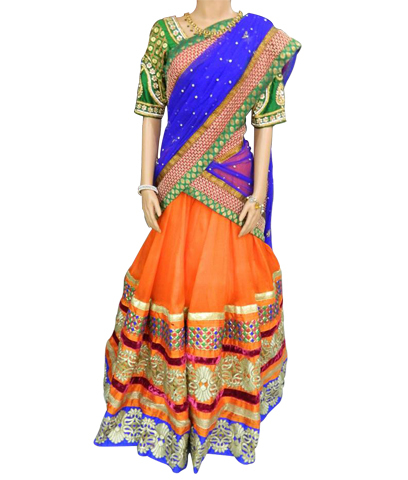 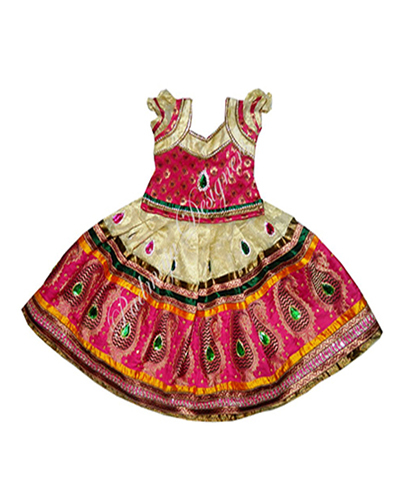 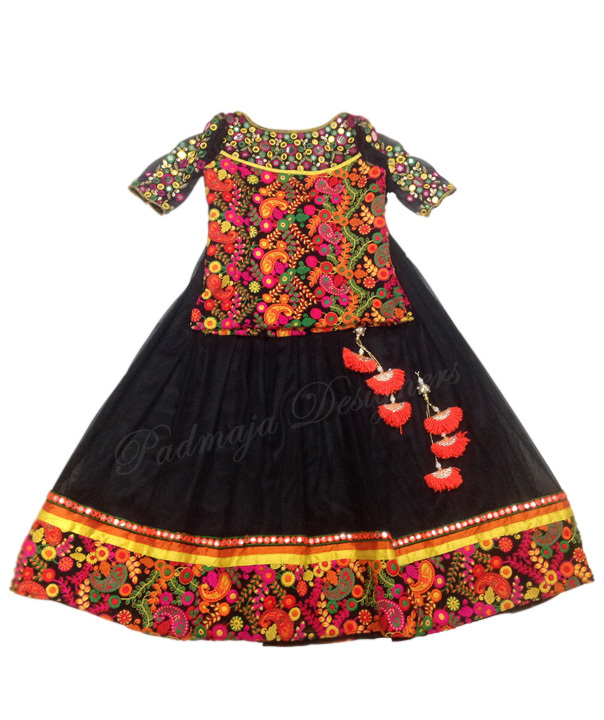 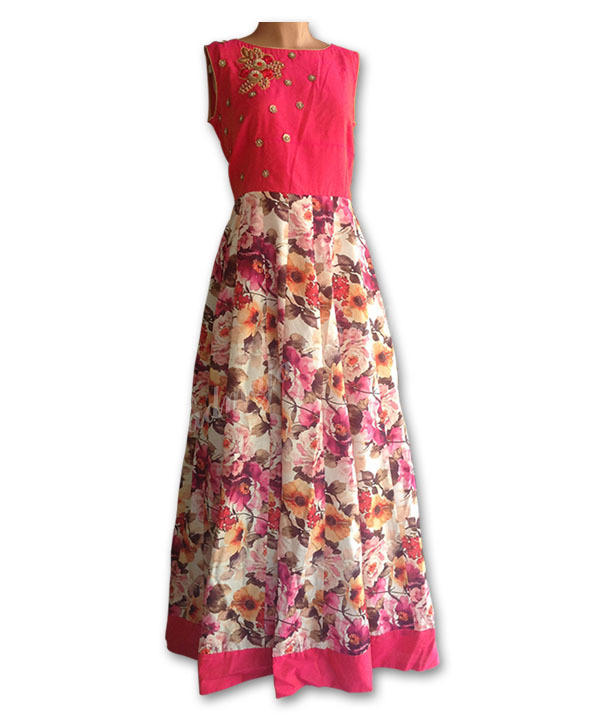 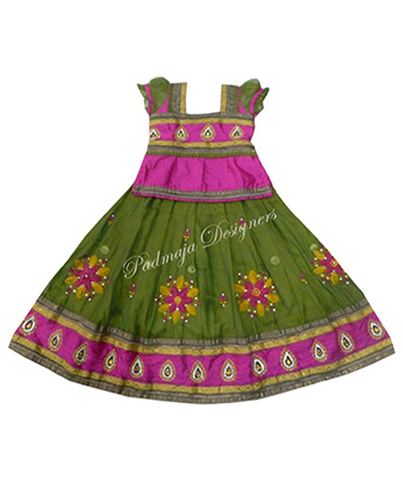 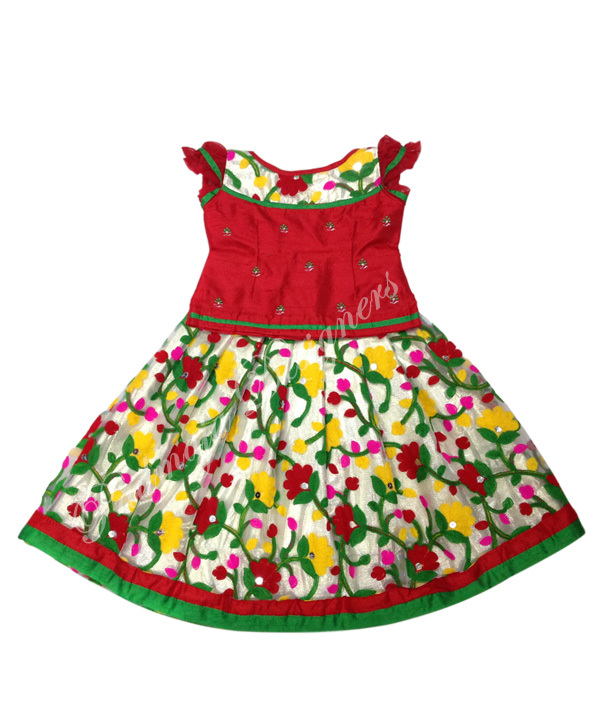 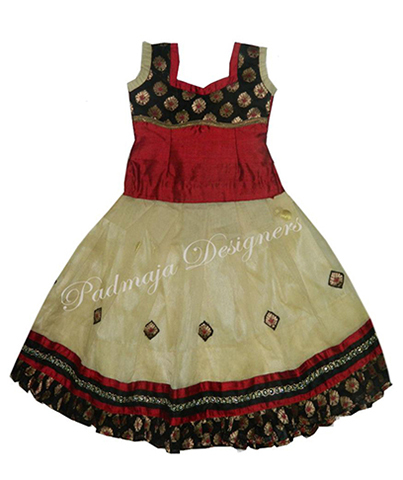 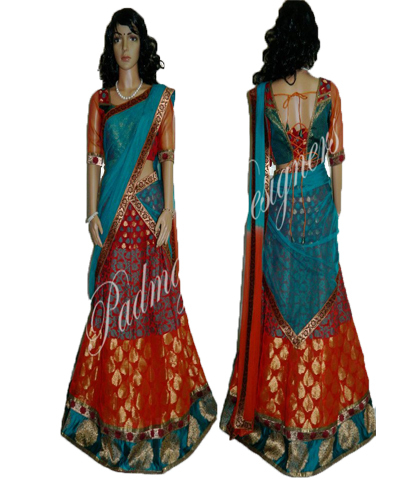 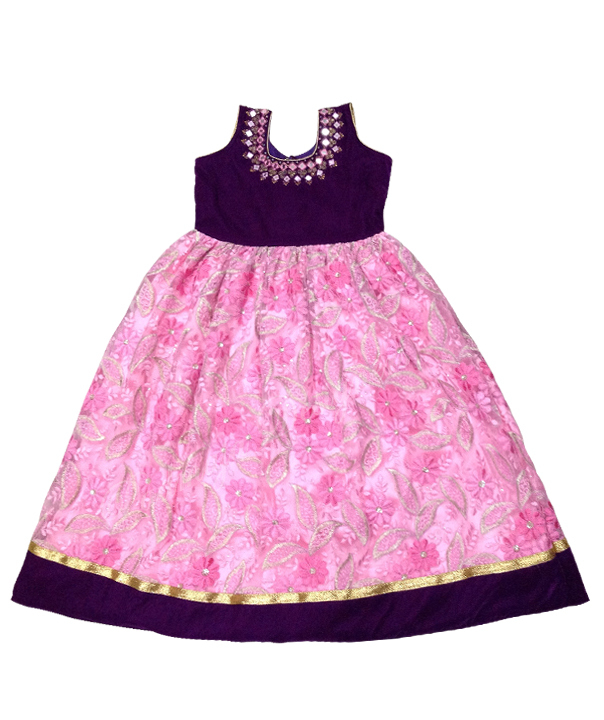 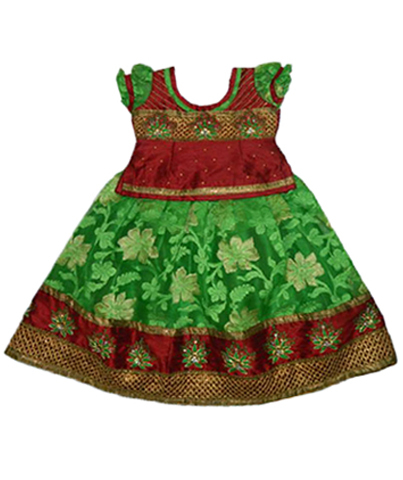 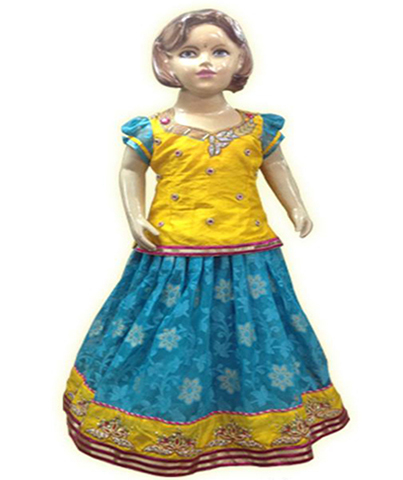 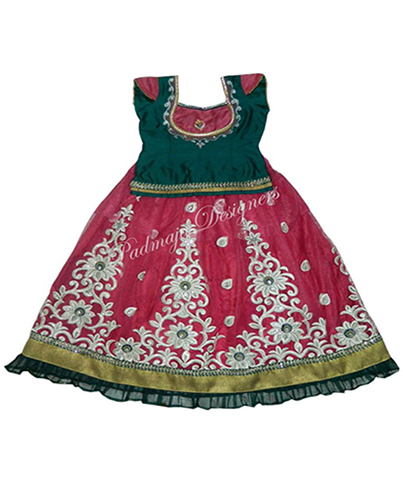 floral printed lehenga with sequence border and raw silk blouse with thread embroidery. 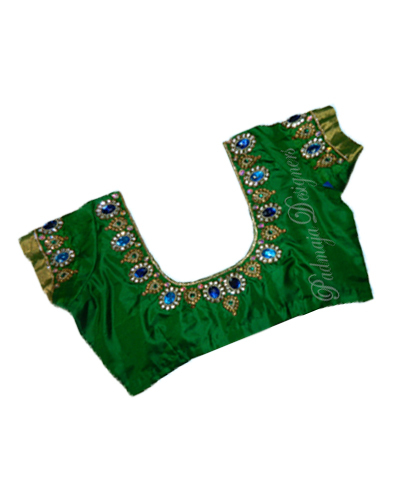 Georgette net and raw silk collar blouse with mirrior work. 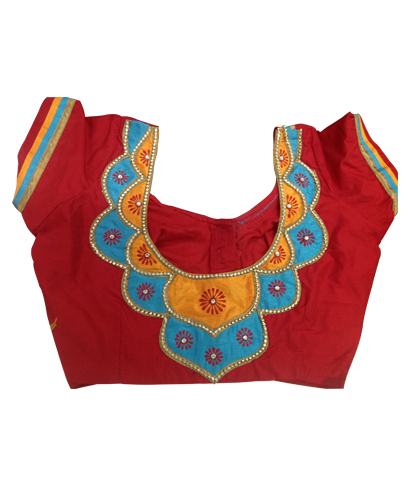 Heavy work georgette, raw silk boat neck work blouse. 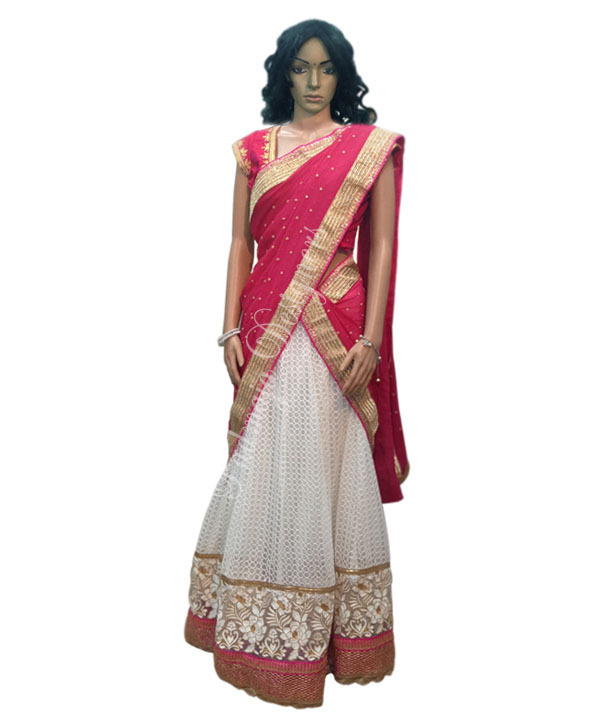 Soft net with thread and sequence work Border, raw silk gard hoshi work blouse. 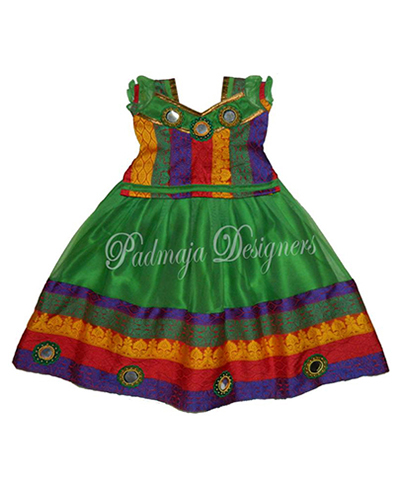 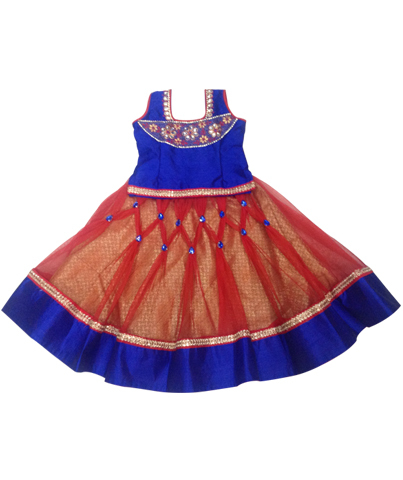 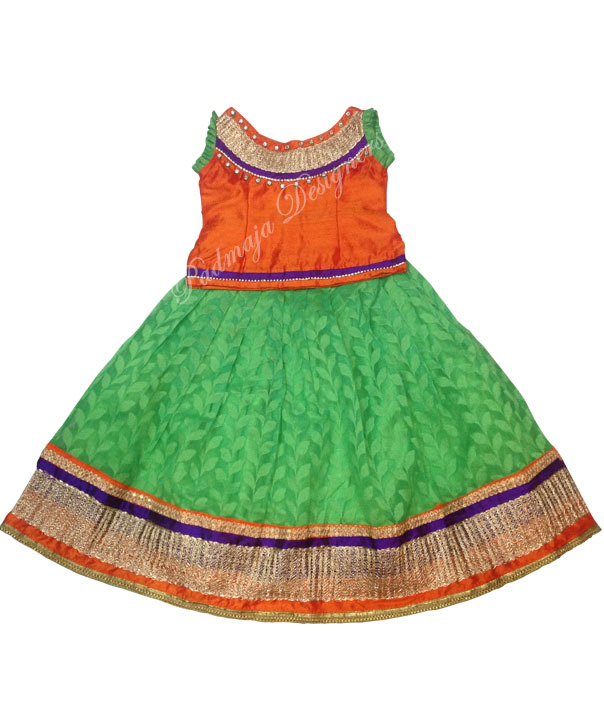 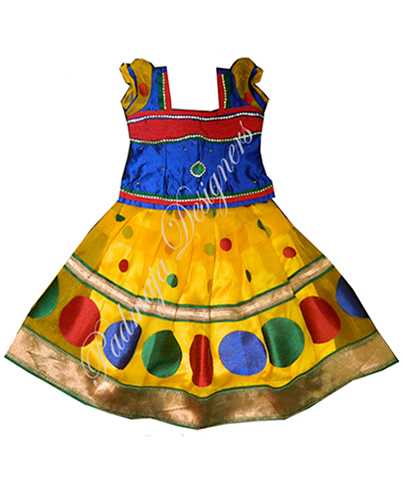 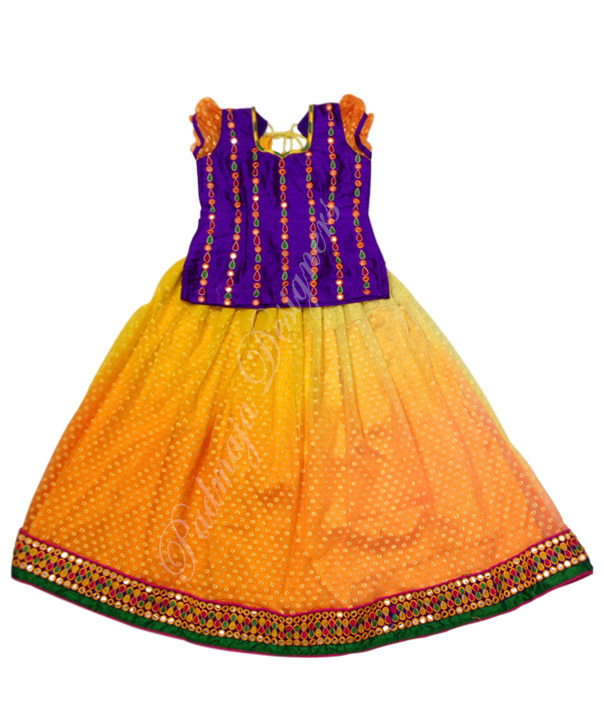 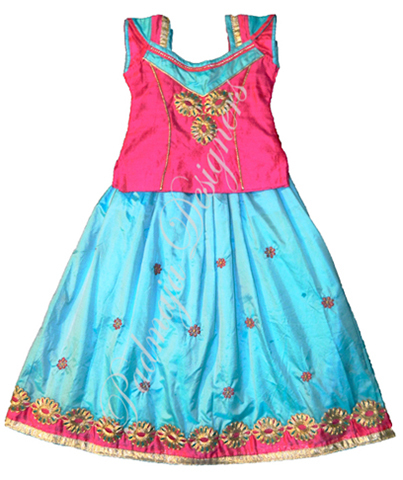 Multi color� net and raw silk body with mirror work. 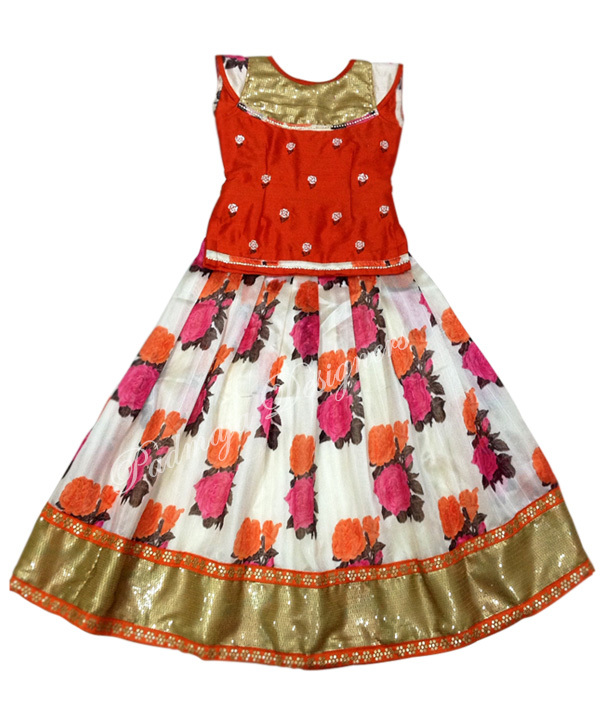 Georgette printed and raw silk blouse with cute simple mirror work. 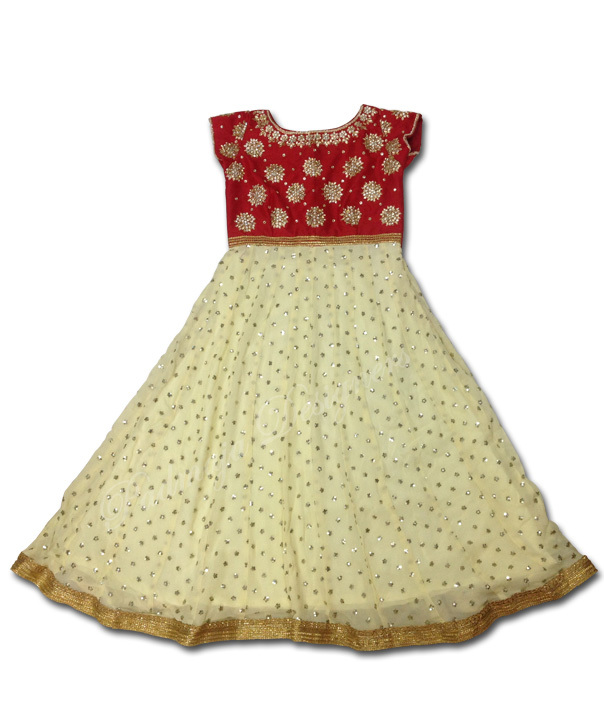 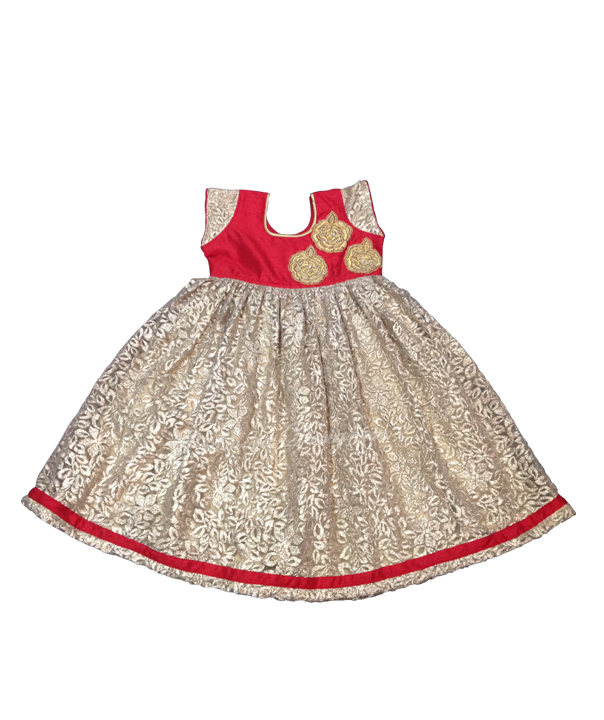 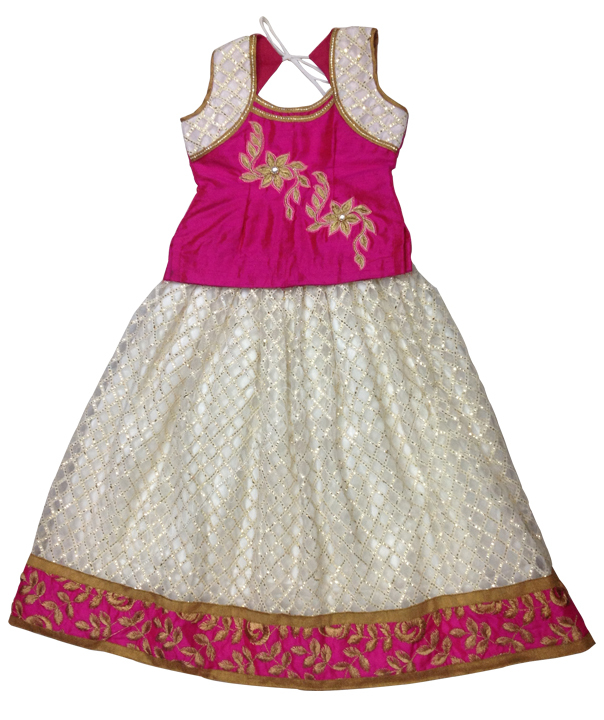 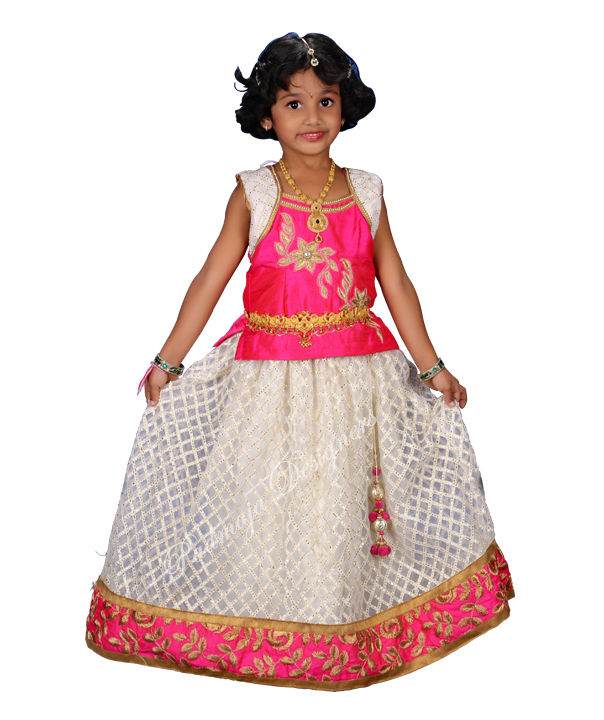 soft net with gold borders� and raw silk blouse with kundan work. 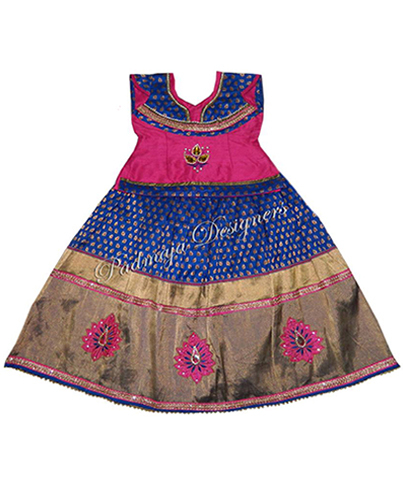 Heavy gold,mirror work net material ,raw silk boot neck work blouse. 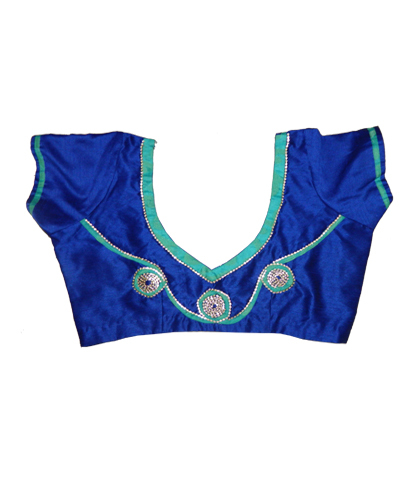 Jarjat gujeri work material ,simple design ,work raw silk blouse. 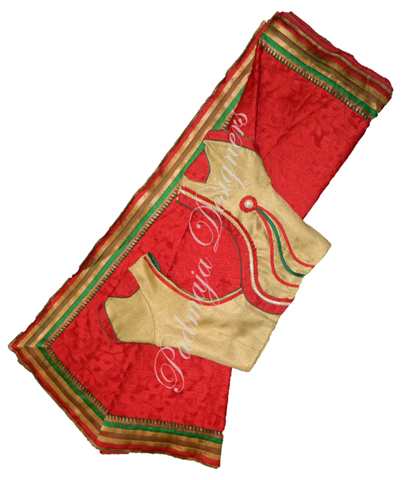 Glass net and velvet material ,with raw silk Border. 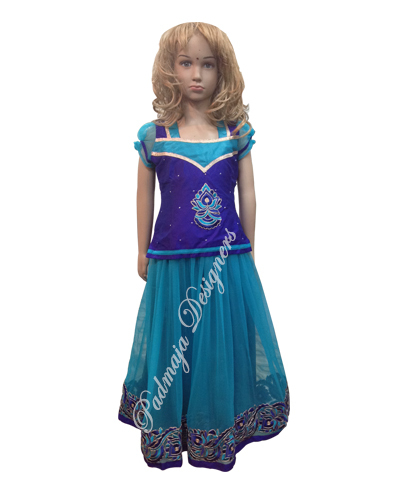 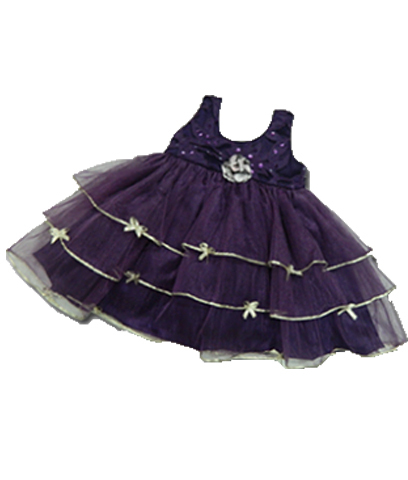 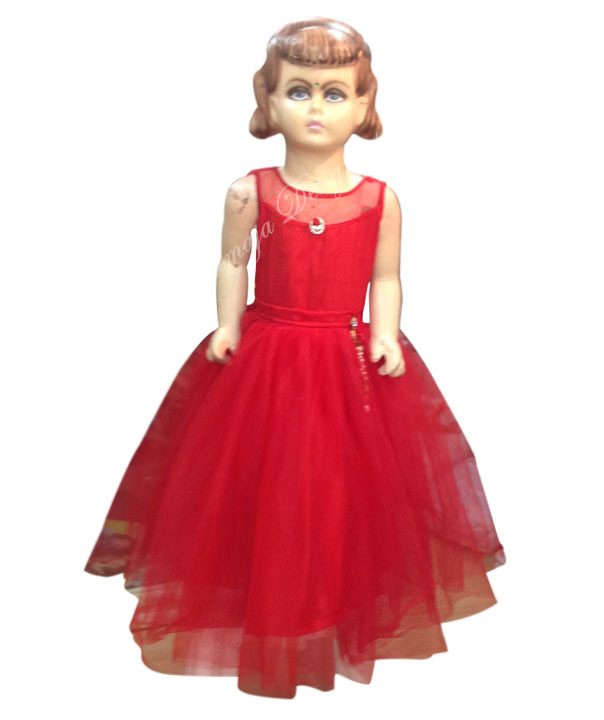 Long frock velvet material, long frock over cut model, have jewelry work. 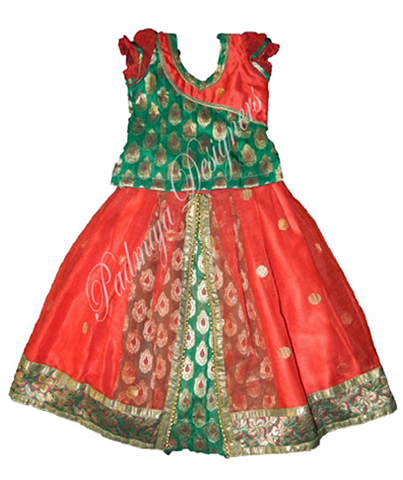 Net and rawsilk with maharani work. 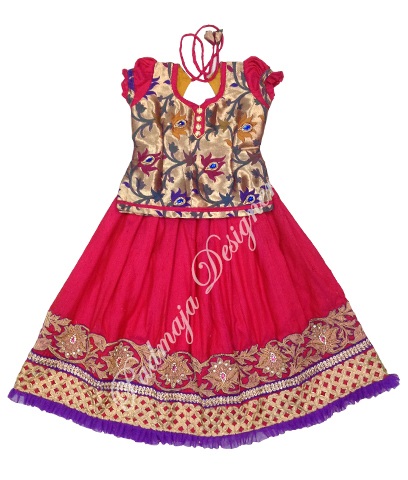 Langa blouse material is net and rawsilk, jewelry work blouse. 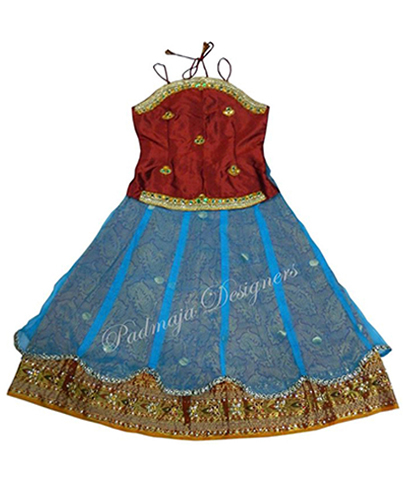 Soft net velvet blouse, maharani work. 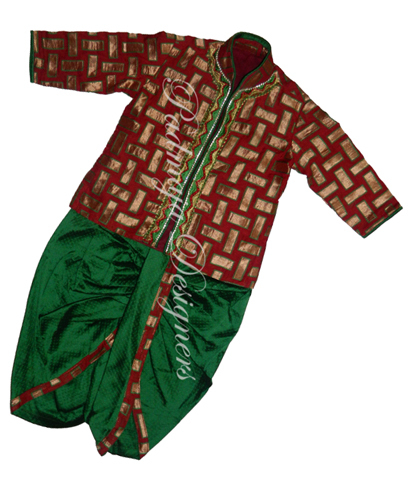 Have banares material raw silk blouse with coundan border cundan work. 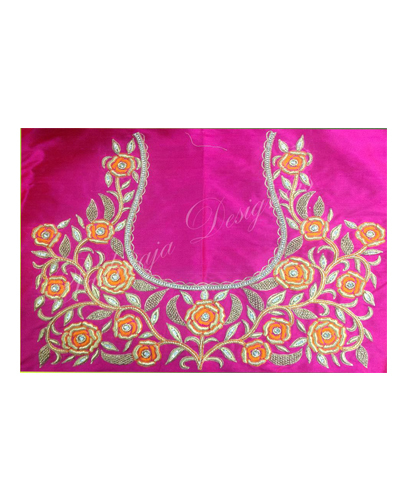 Raw silk material, cut work border with work. 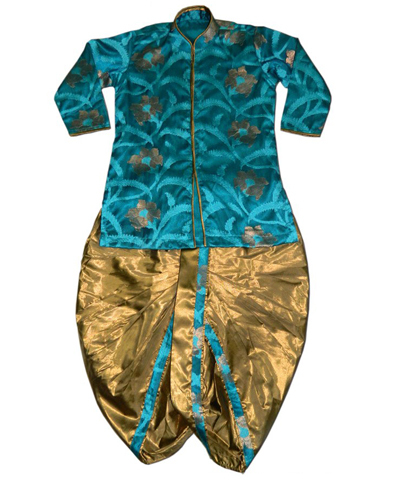 Banares net, rae silk body. 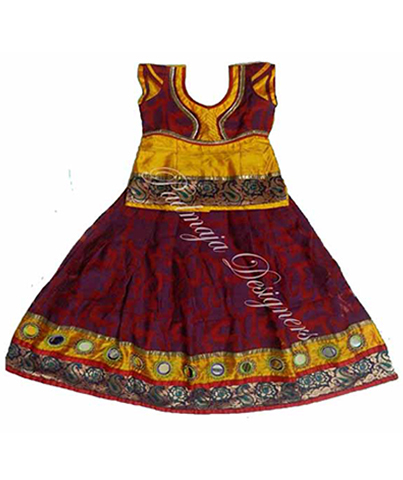 Long frock print velvet & soft net. 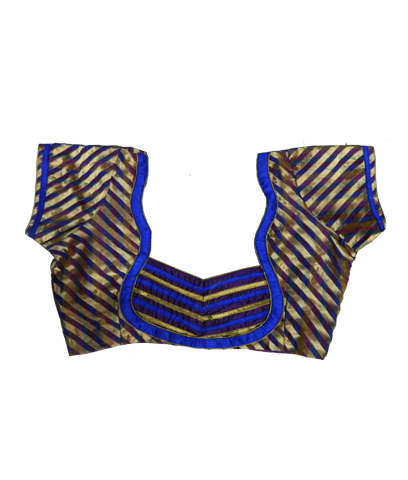 Soft net blouse, soft net velvet body with work. 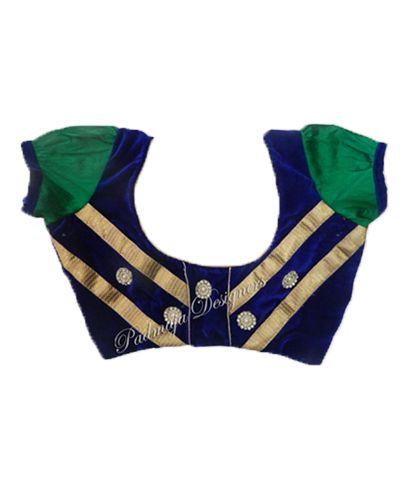 Soft net velvet blouse, gold border cundan work. 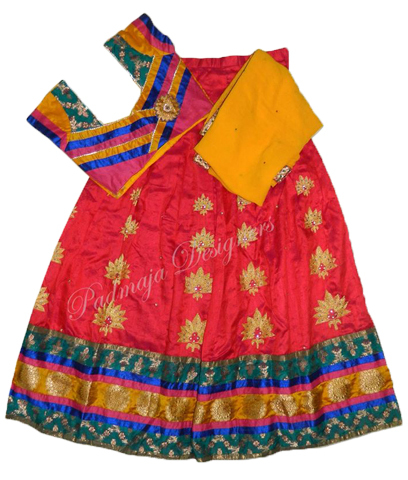 Pink net langha with cutwork borders and rawsilk blouse with work and jarjet voni with work..
Yellow net langha red rawsilk blouse with work net voni with work. 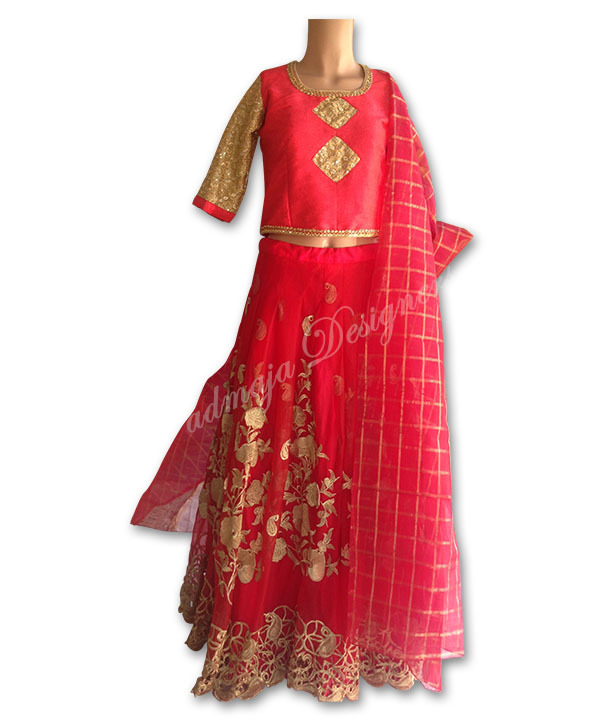 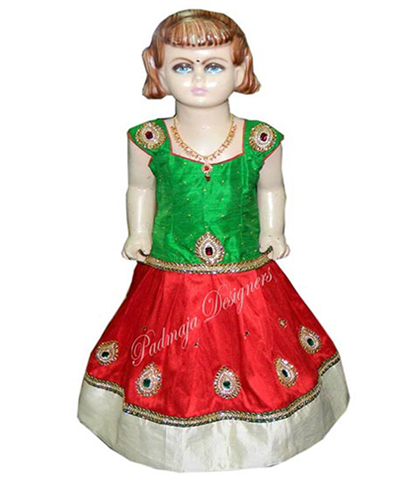 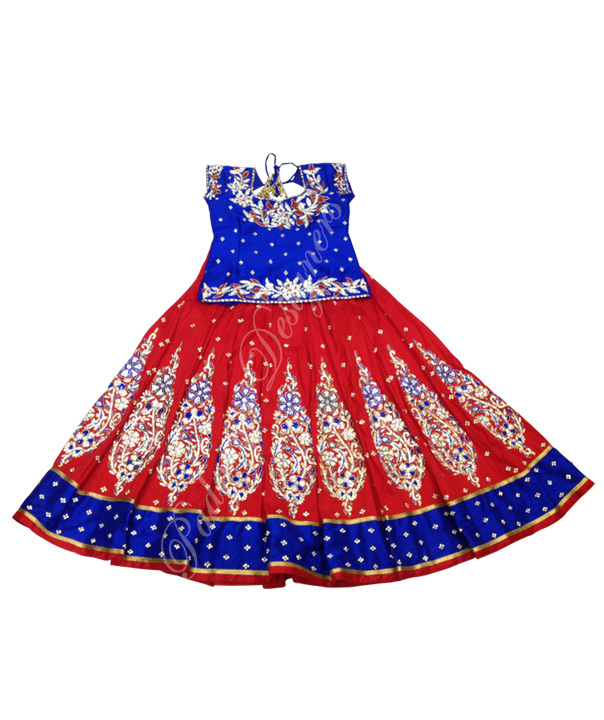 Red langha net cloth with work rawsilk blouse with heavy work net voni with chemki work�With bright borders. 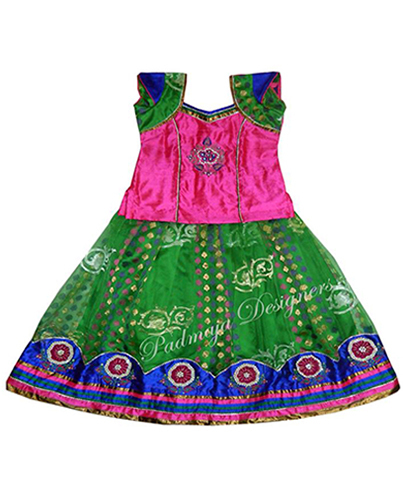 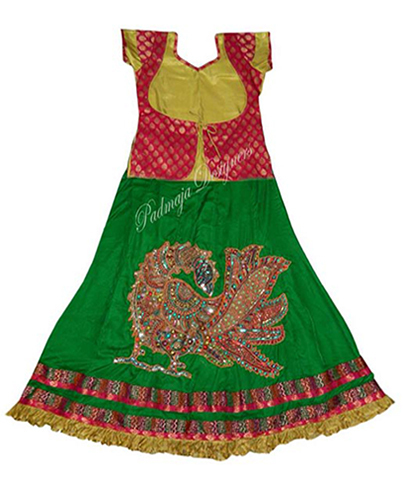 Pattu langa blouse metireal and jewallary work. 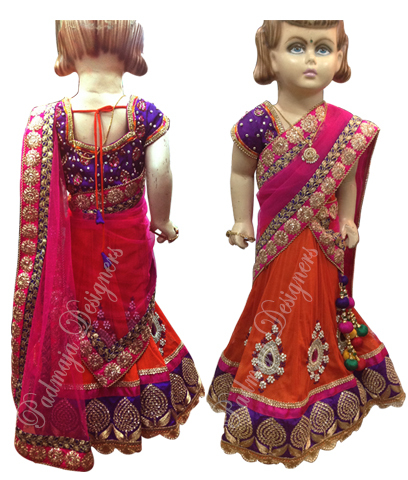 Orange rawsilk with peacock work and red rawsilk blouse with boat neck work and kundan work And ready lases. 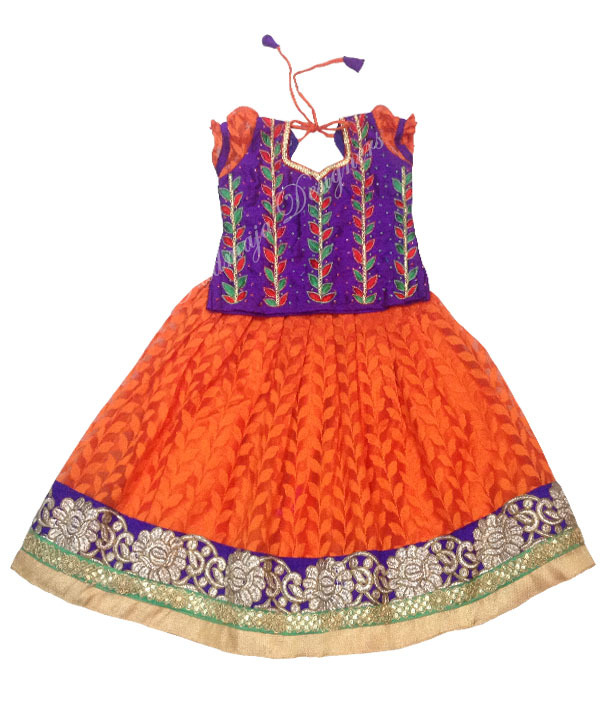 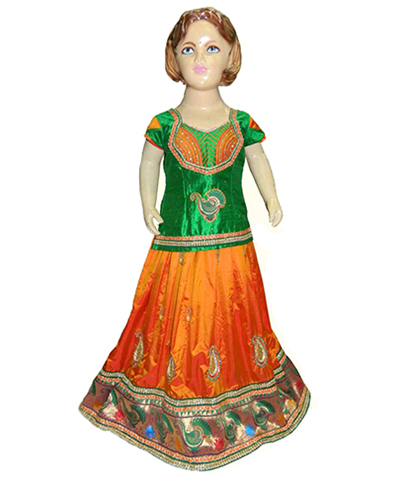 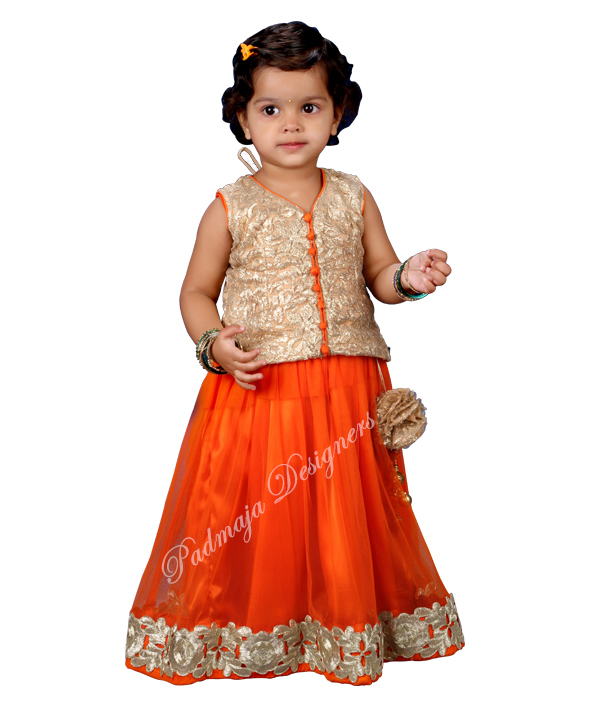 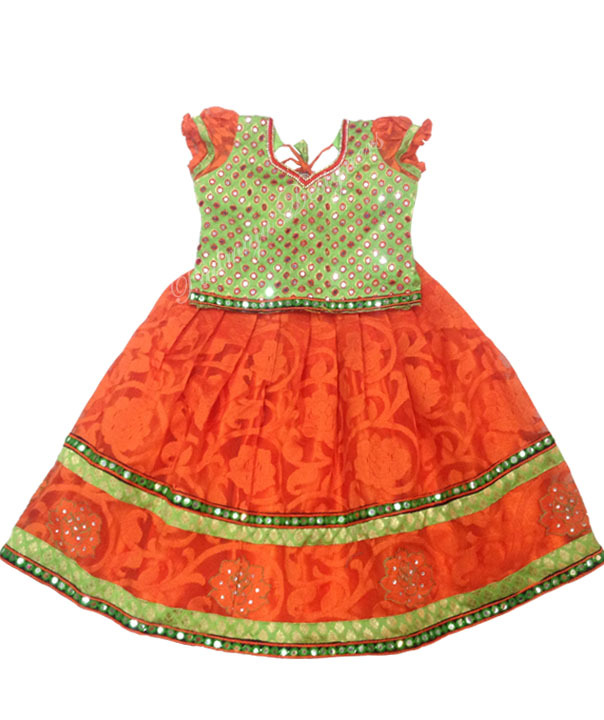 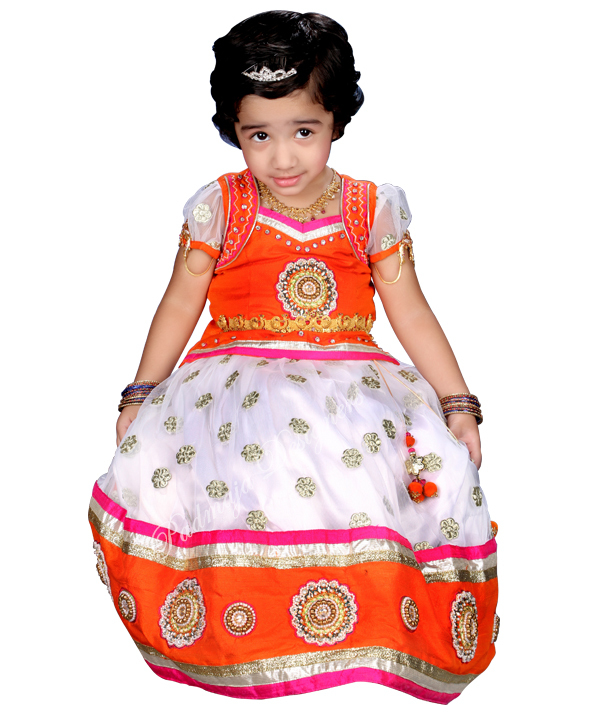 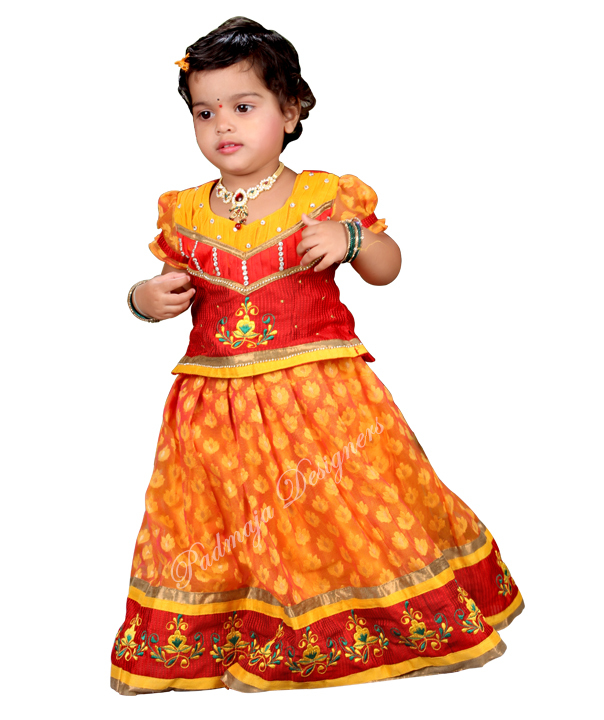 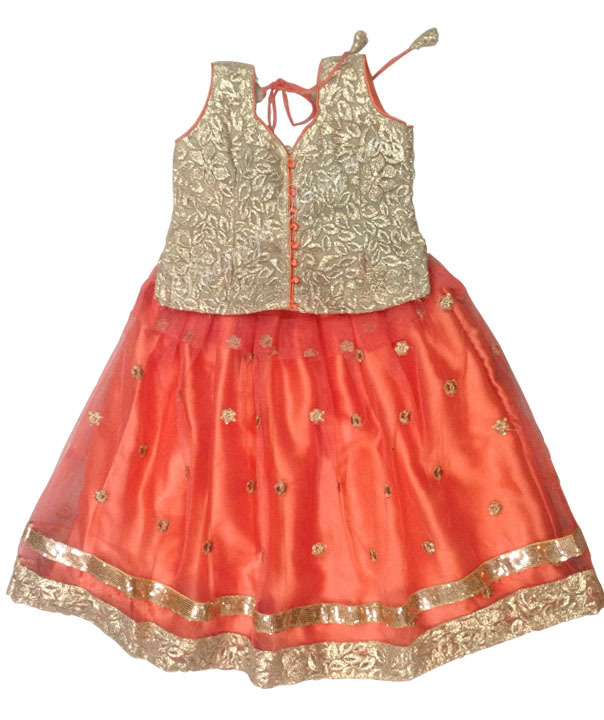 Design orange net and vylete colour velvet blouse with maharani work and kundan work border and ready lases. 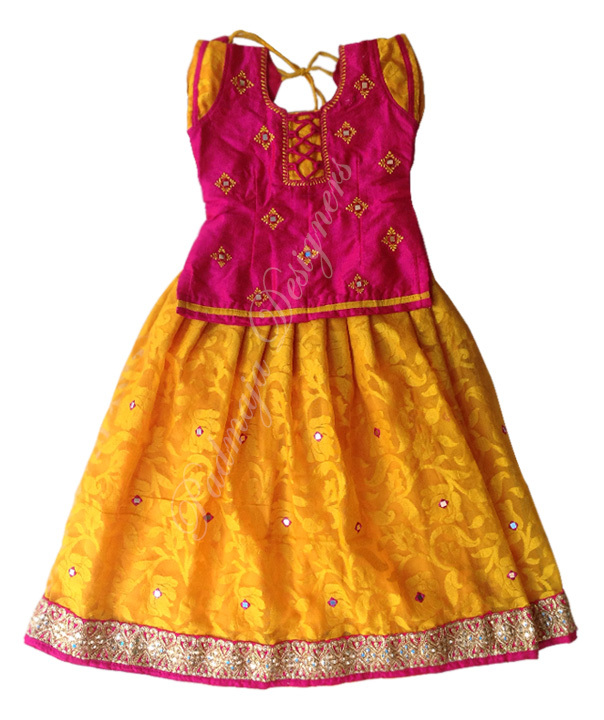 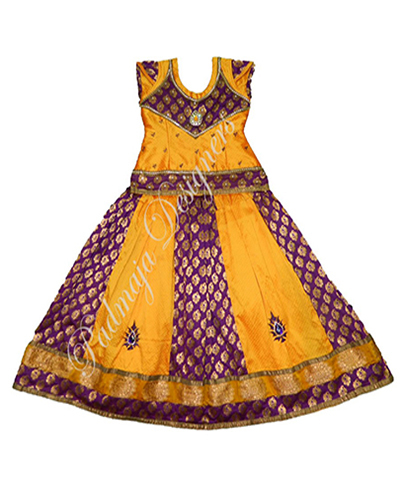 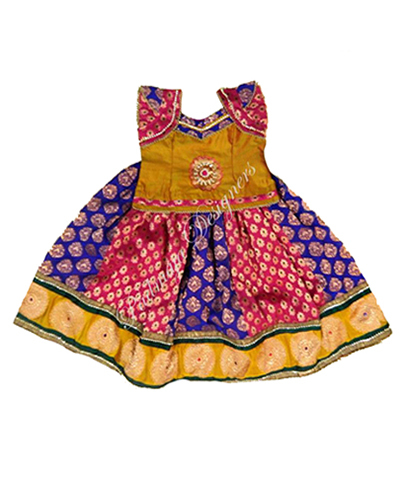 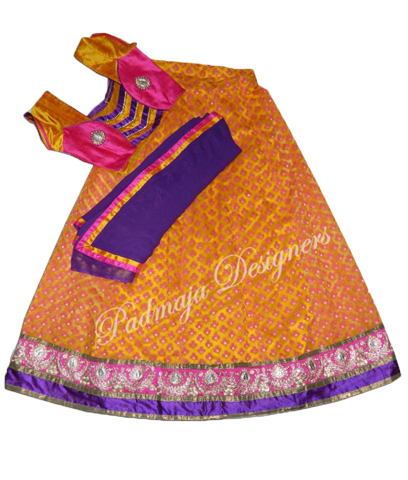 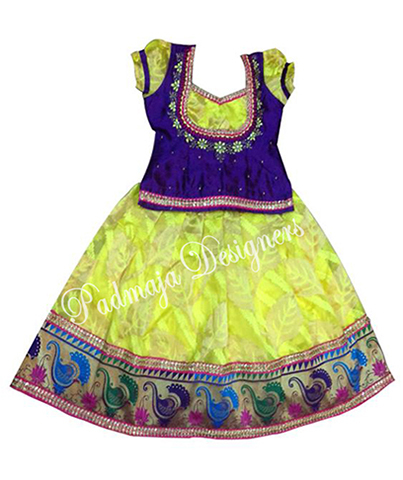 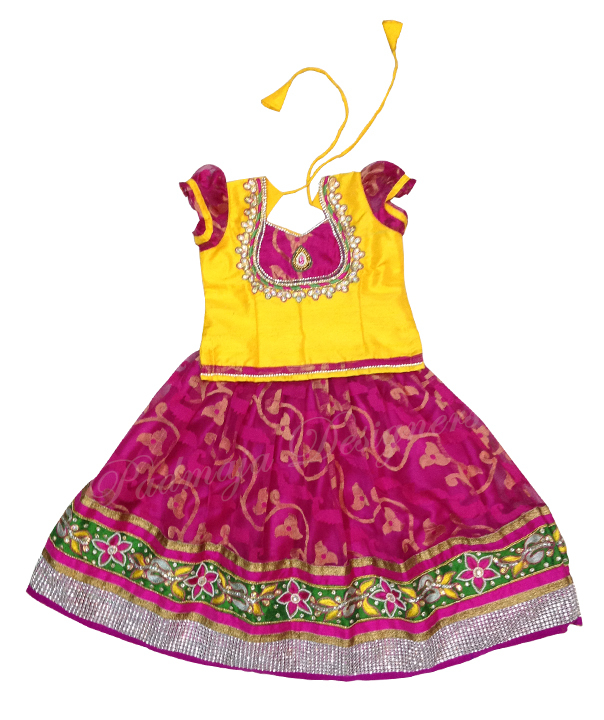 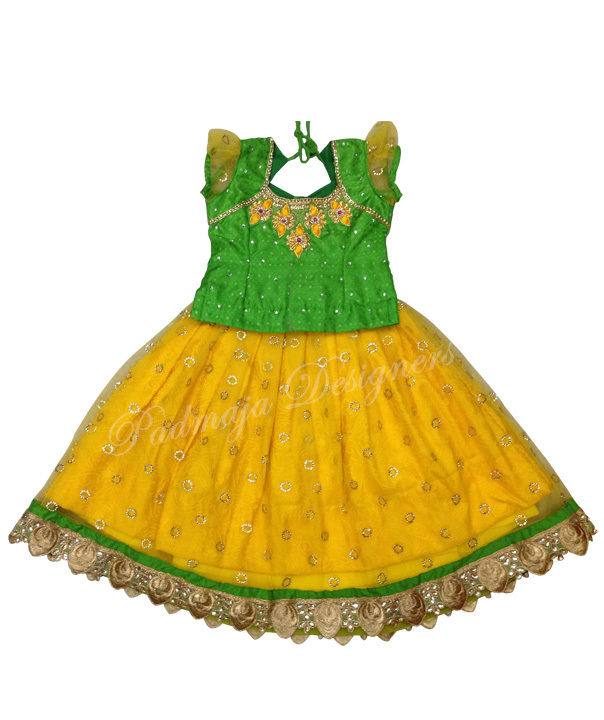 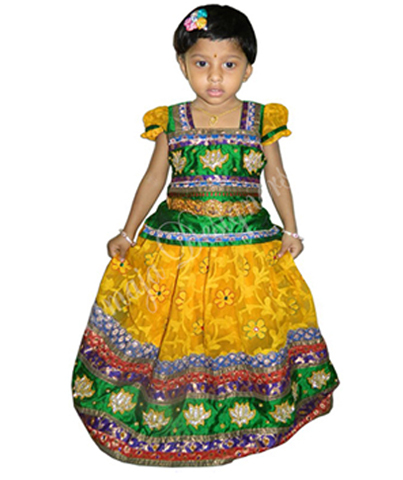 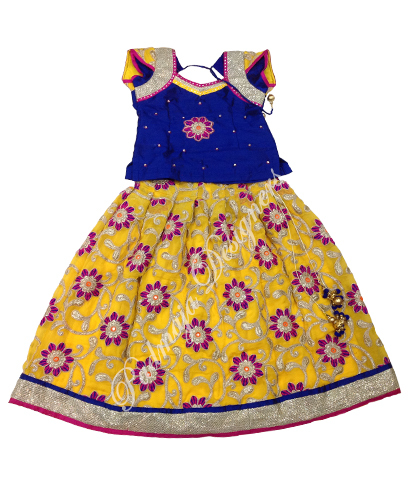 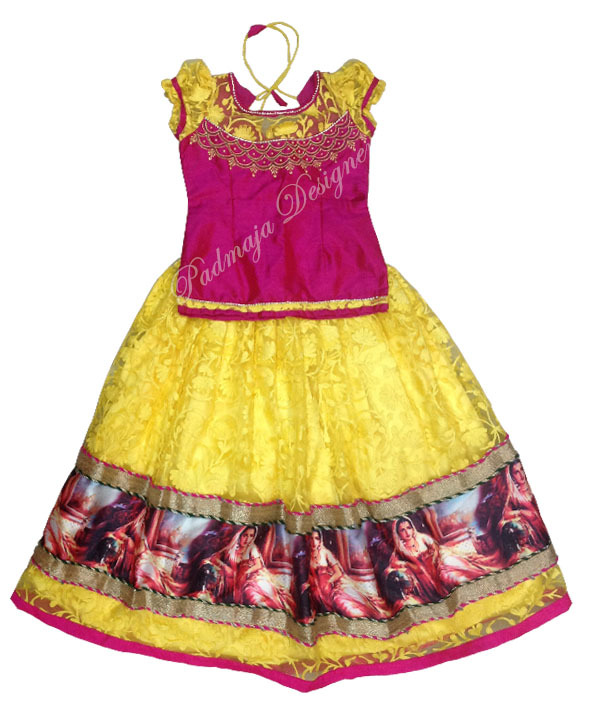 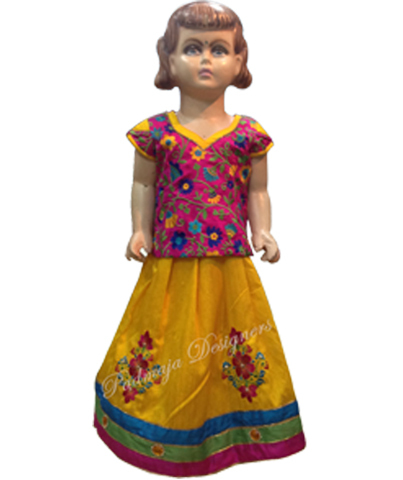 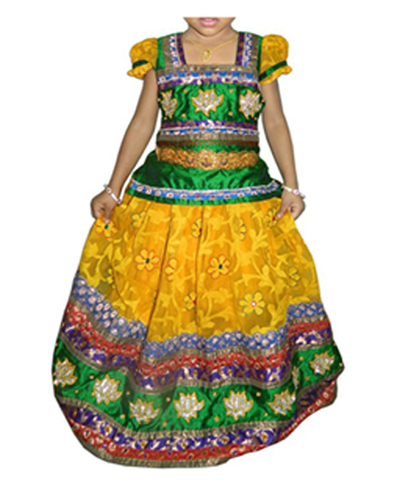 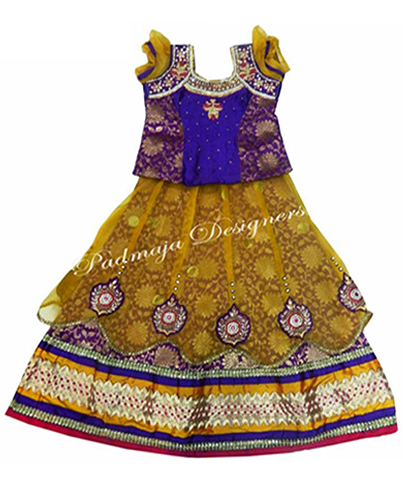 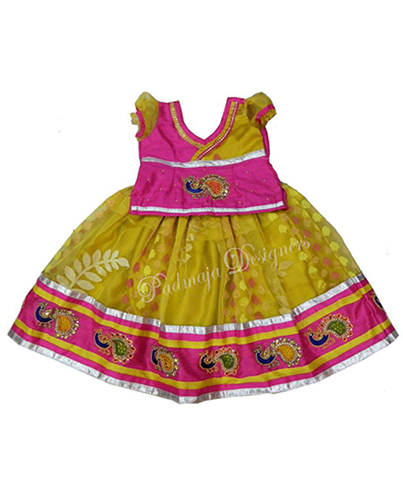 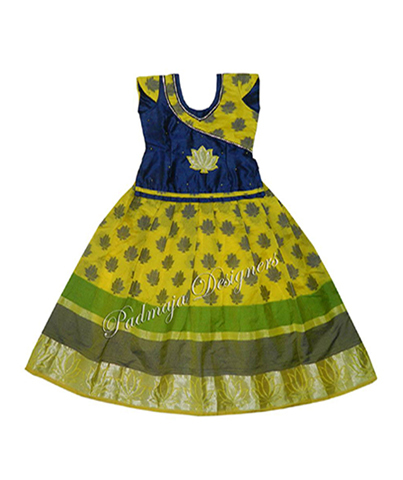 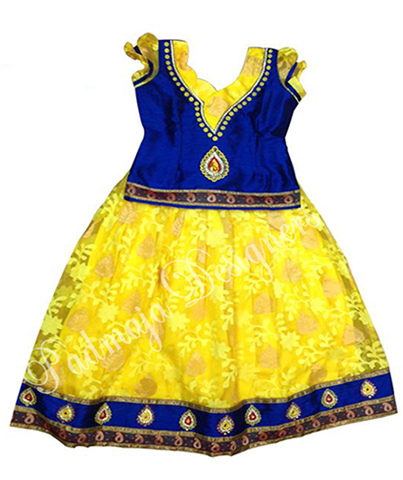 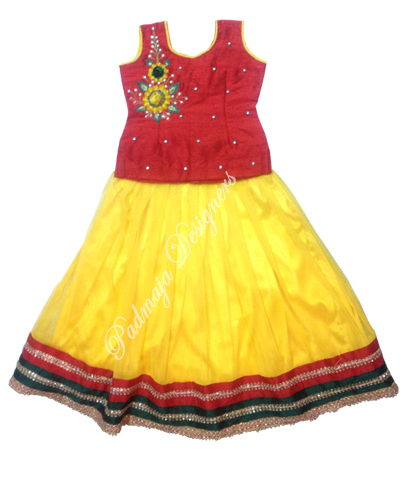 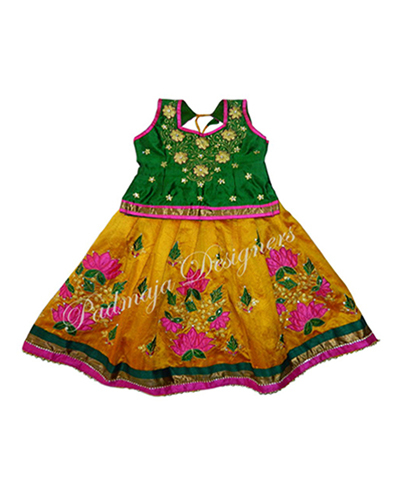 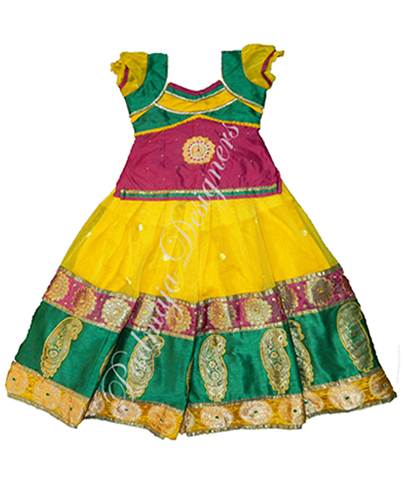 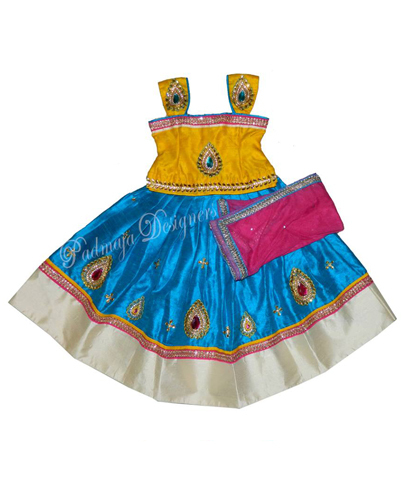 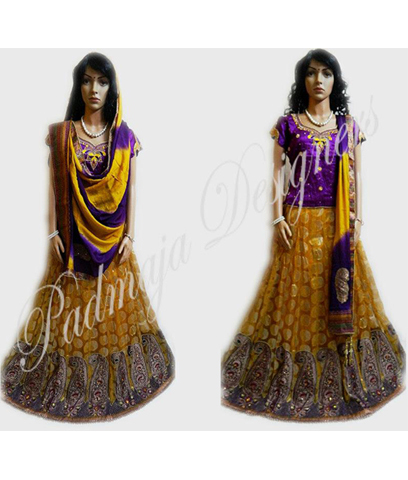 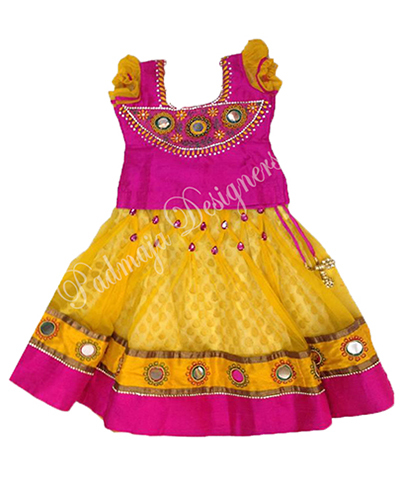 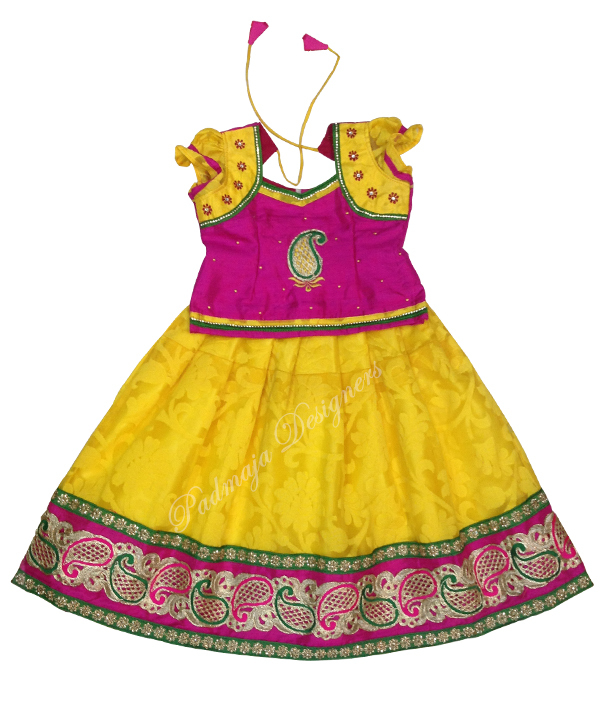 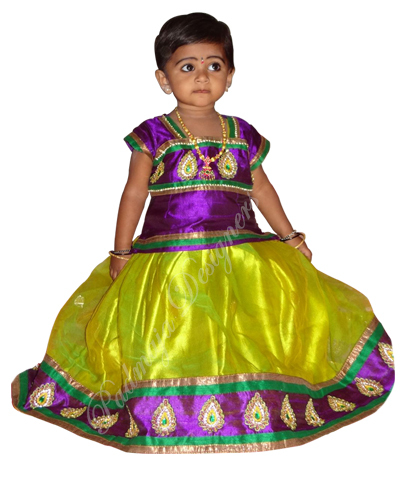 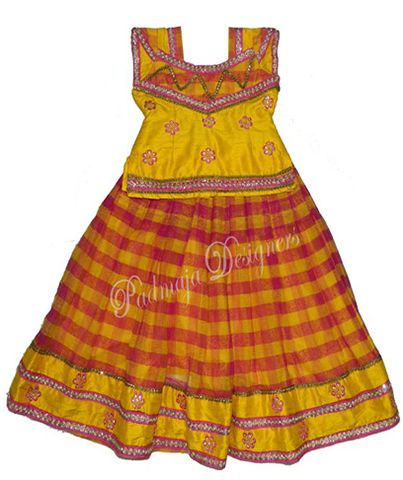 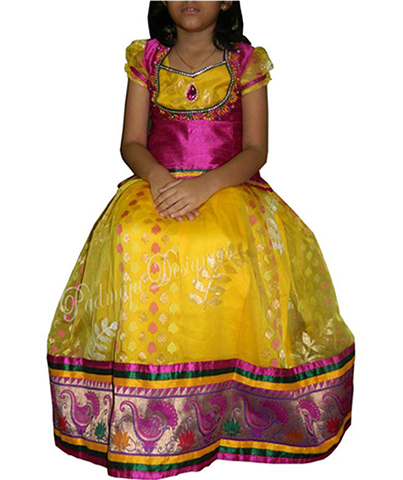 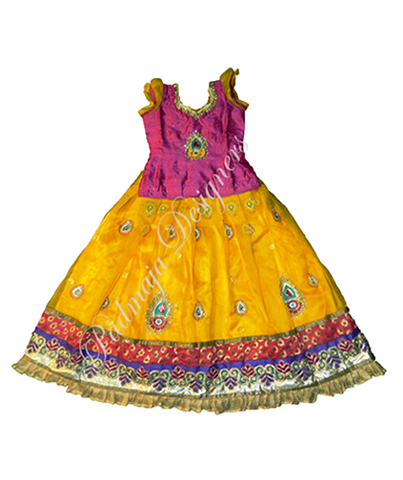 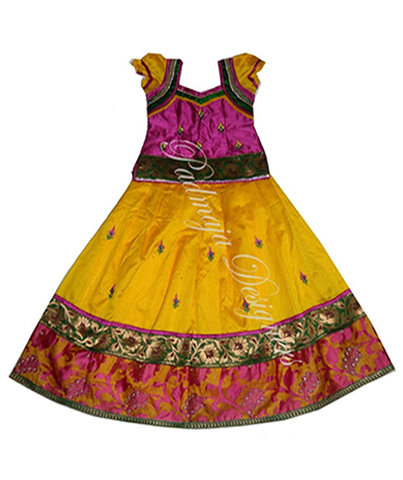 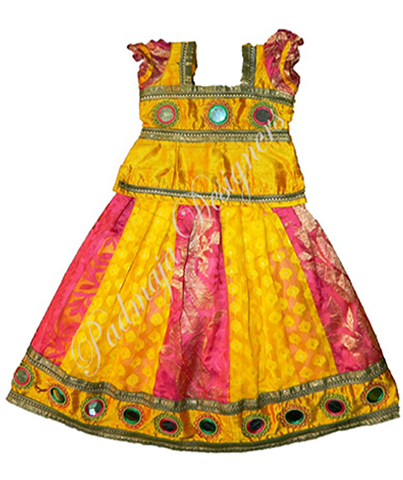 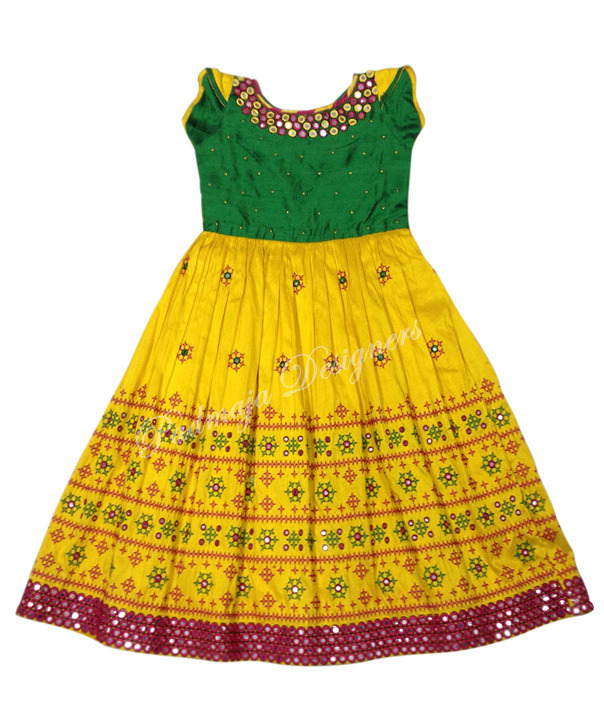 Yellow pattu langha and rawsilk blouse with border and ready lases and ready heavy work patches. 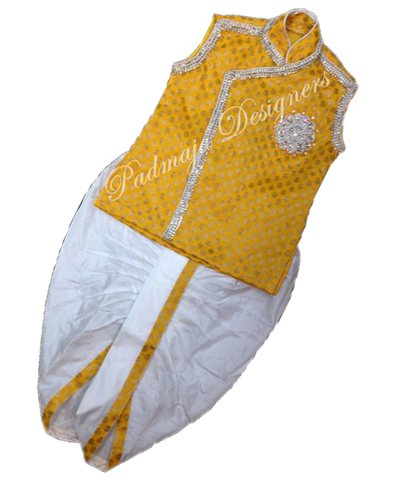 Benares broked langha with pythoni border with applic work and kundan work in border .velvet blouse with work. 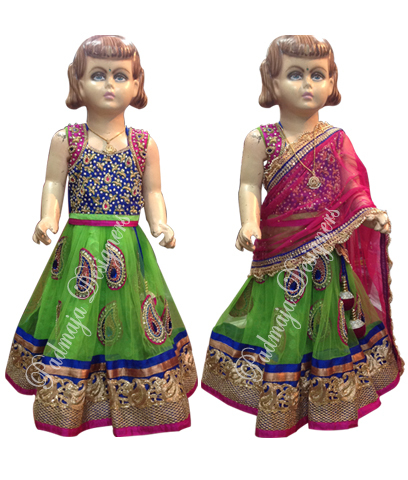 Net langha with work and inside broked cloth rawsilk short blouse with all over heavy work vylete net voni with work and ready lases . 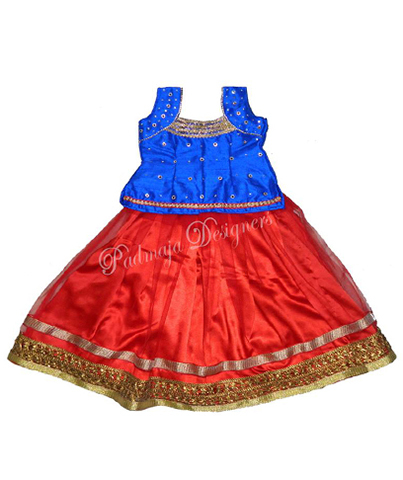 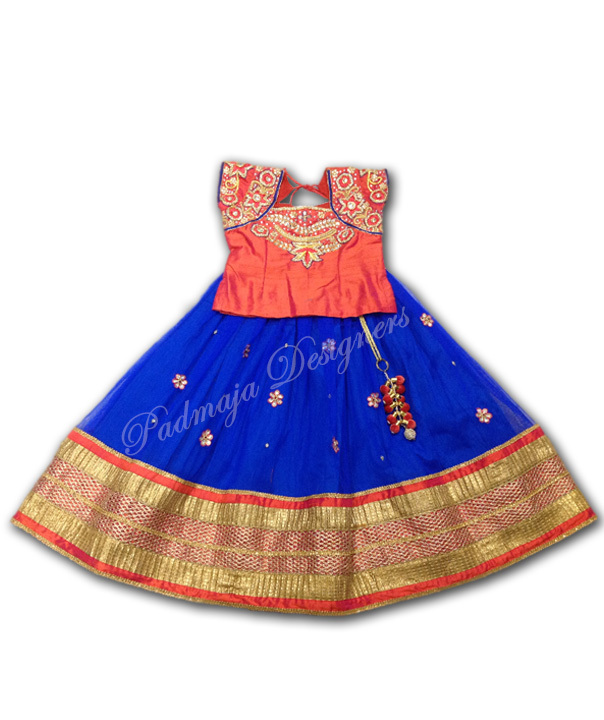 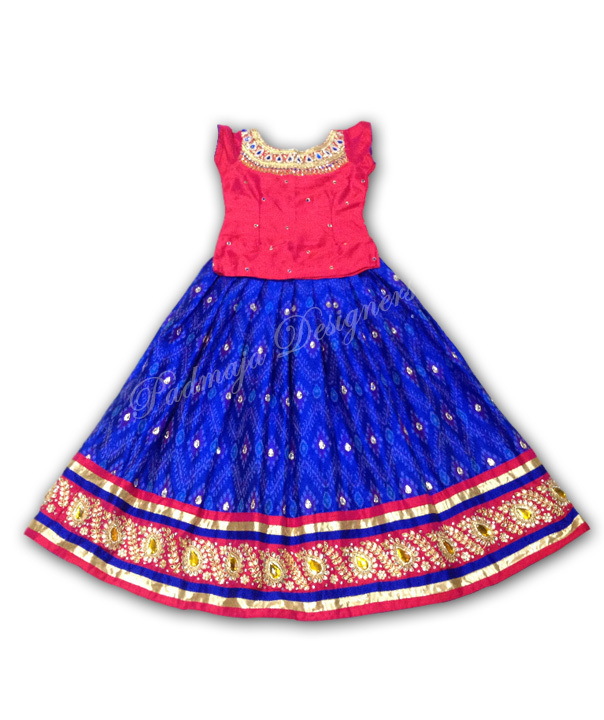 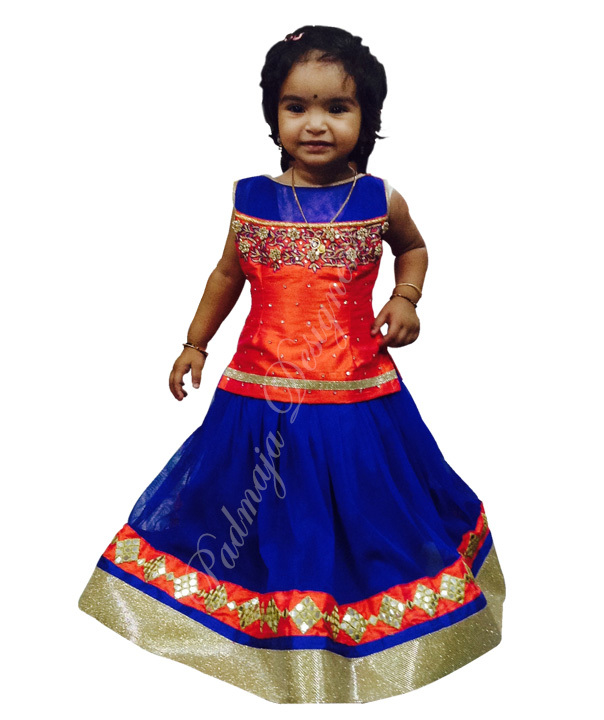 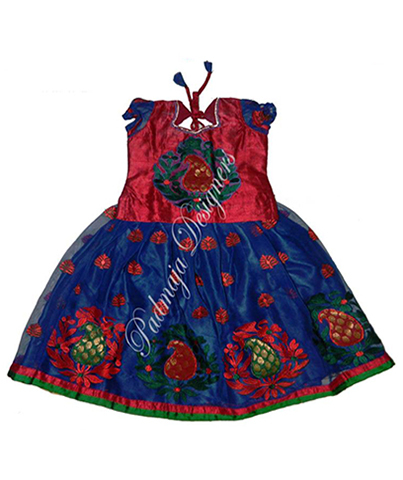 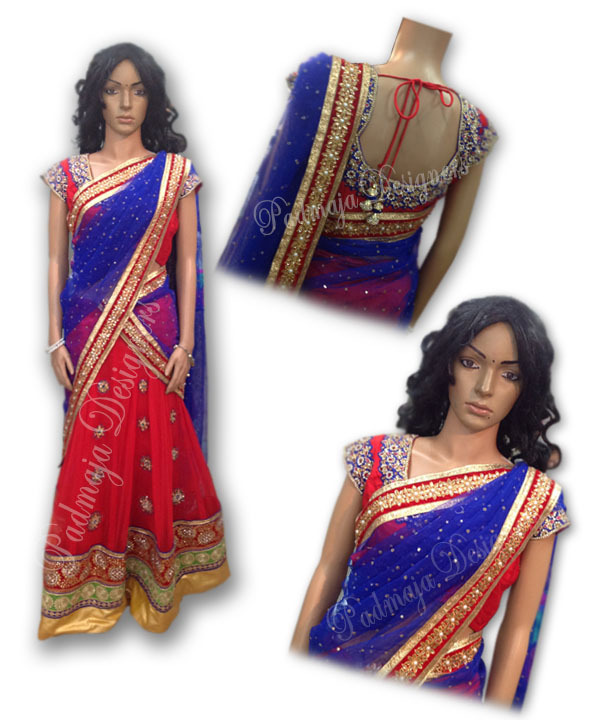 Blue net langha and borders with heavy kundan work and cutwork borders and gold lases .rawsilk short blouse with work and red colour net voni with borders. 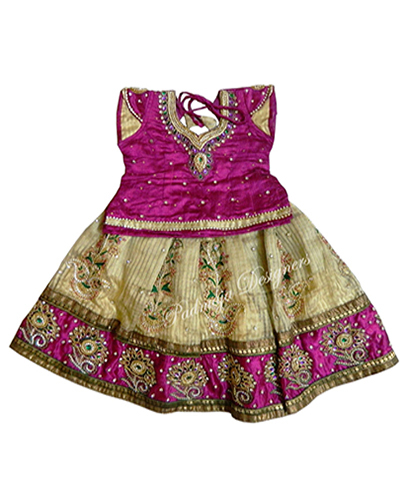 Benares net raw silk maharani work blouse. 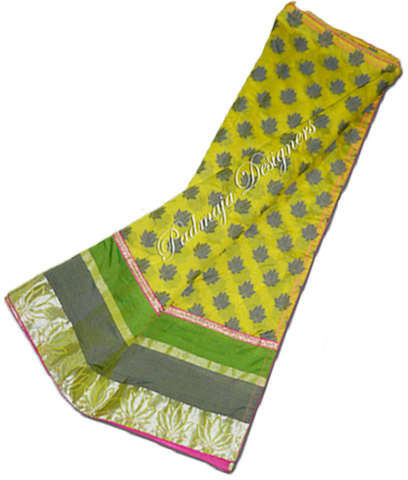 Seven Gare net cloth with c through pattern. 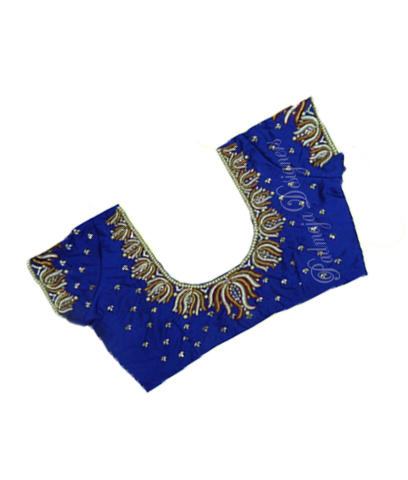 Raw silk boot neck work blouse. 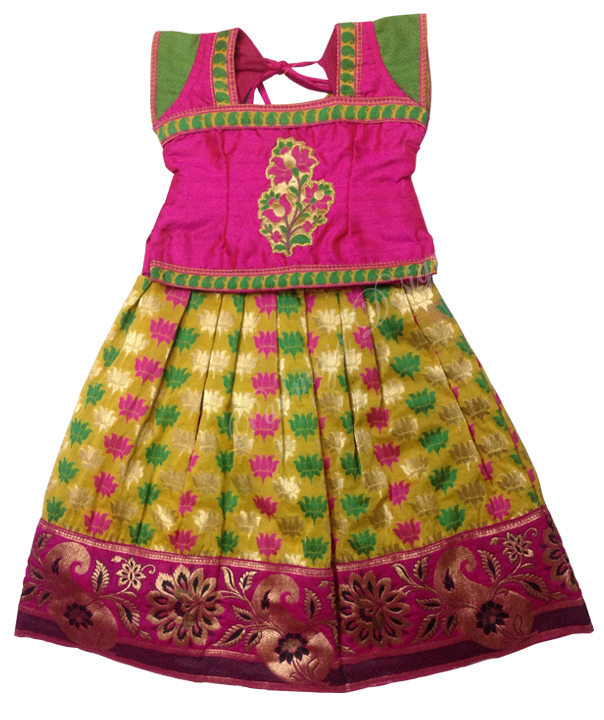 Benares net raw silk full thread work blouse. 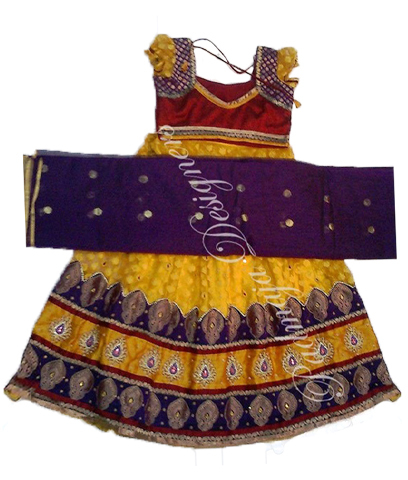 Benaras net, Raw silk designer blouse, designer border. 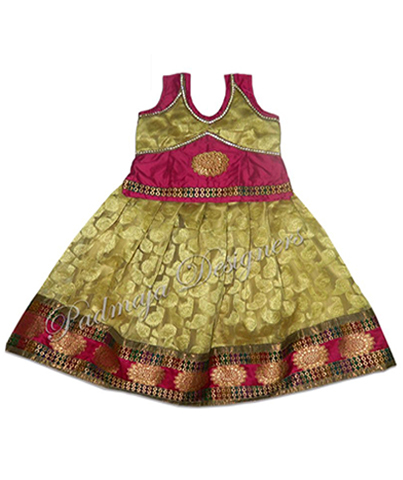 Gold printed net, Havi juguri gold blouse. 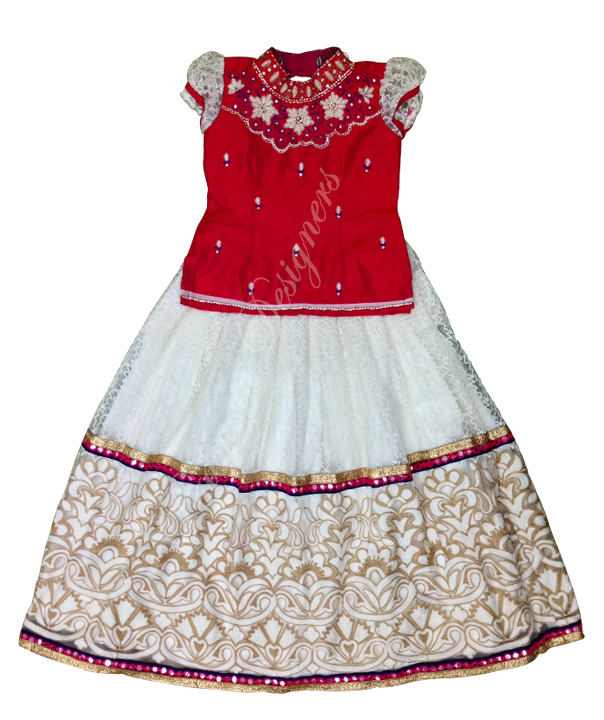 Soft net with coundan work border, maharani velvet blouse. 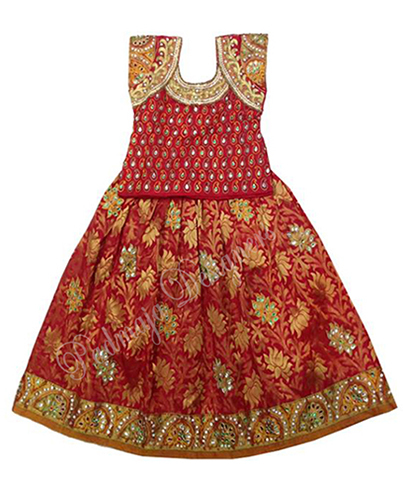 Benaras net , raw silk full mirror work blouse, mirror work border. 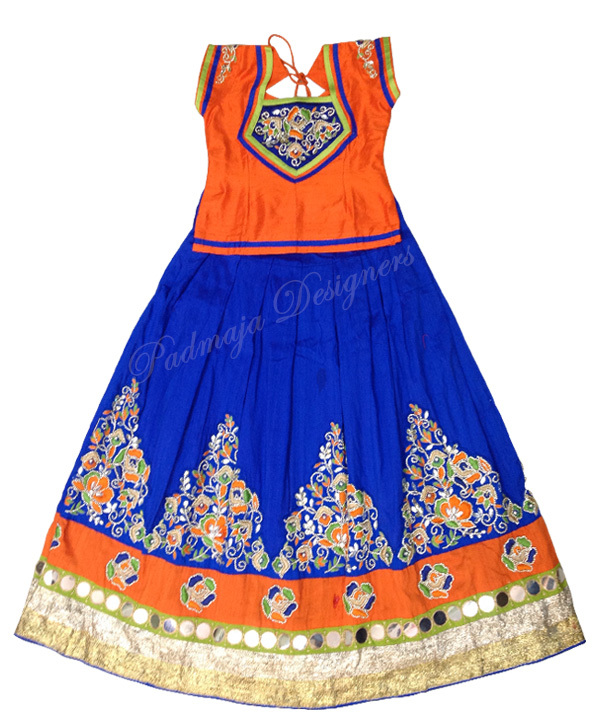 Benaras net meterial, degital print border, Raw silk blouse. 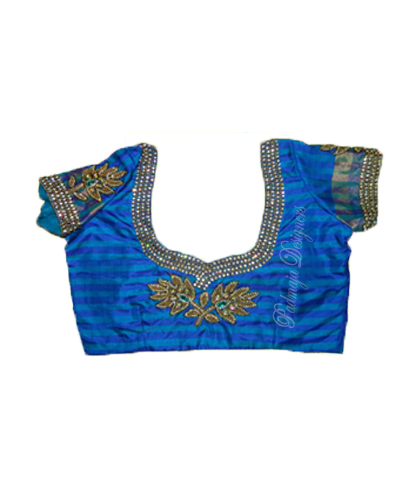 Soft net cut work border, Raw silk designer blouse. 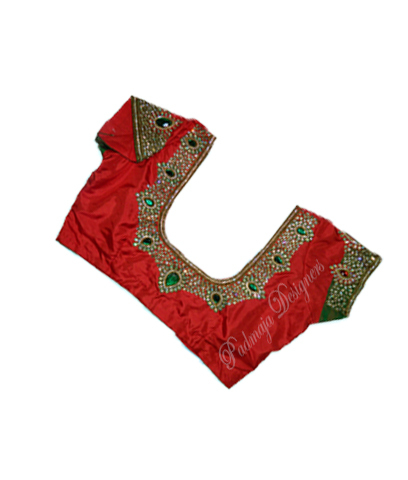 Soft net cut work border & raw silk jewellery work blouse. 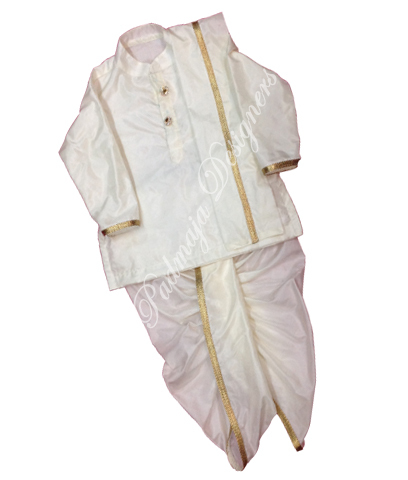 Venkatgiri meterial, with raw silk blouse, havi work langha. 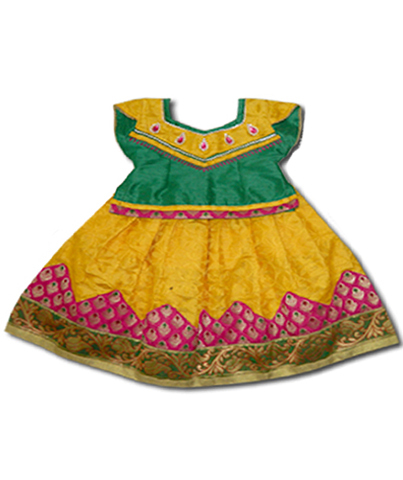 Soft net with benares langa, raw silk work bkouse, coundanwork border. 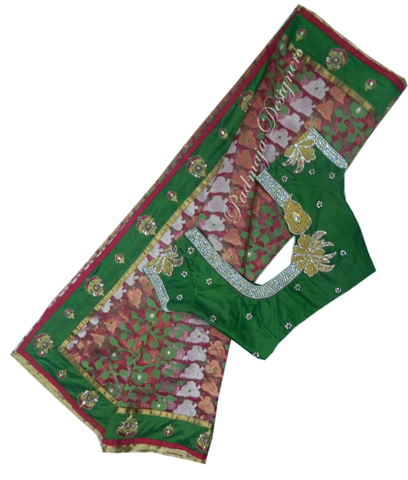 Havi benares net with paithany border desigen, raw silk border. 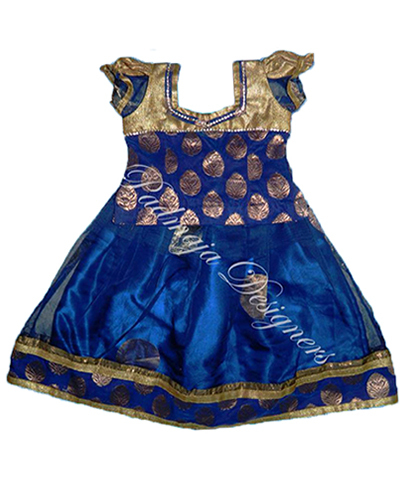 velvet blouse metireal with work. 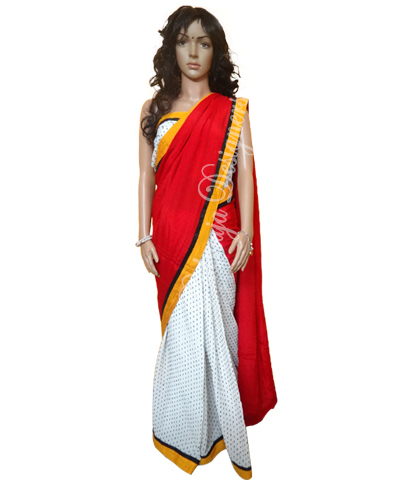 Plain soft net, with work raw silk border. 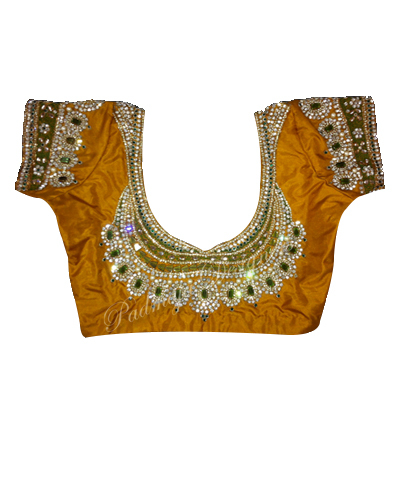 Raw silk langa, blouse with work jewellery work. 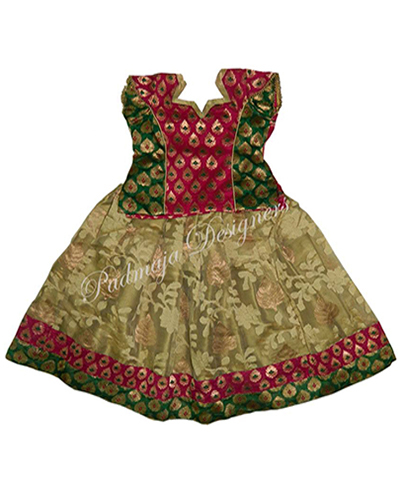 Havi work jaget meterial cottan silk designer blouse. 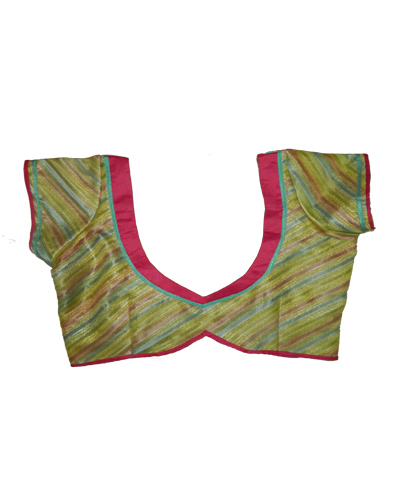 10 borders, havi benares net raw silk work blouse. 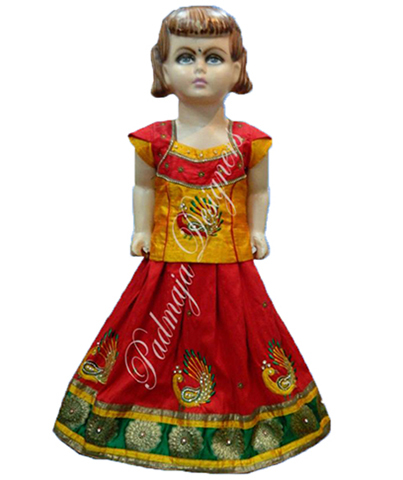 Raw silk blouse, raw silk langa with cundan work, pure jerey & cundan border. 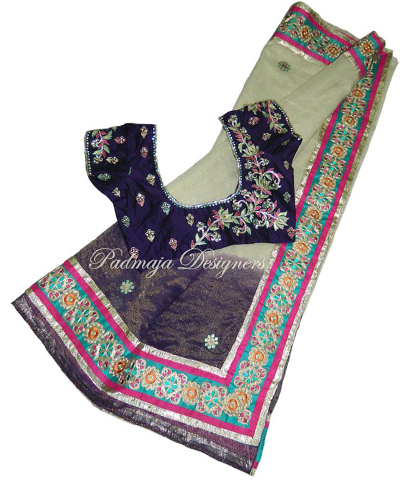 Raw silk work border & 5 borders raw silk work blouse. 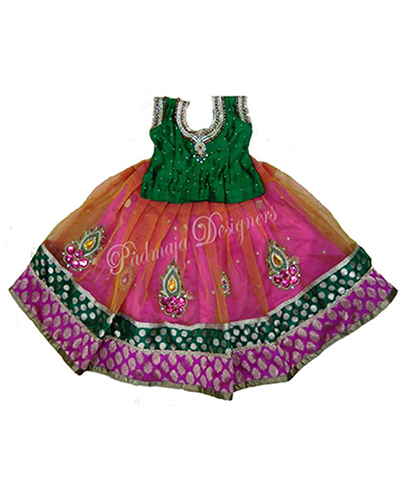 Soft net with ( poiltery ) work, cut work border blouse maharani havi jewellery work, 3/4 hands. 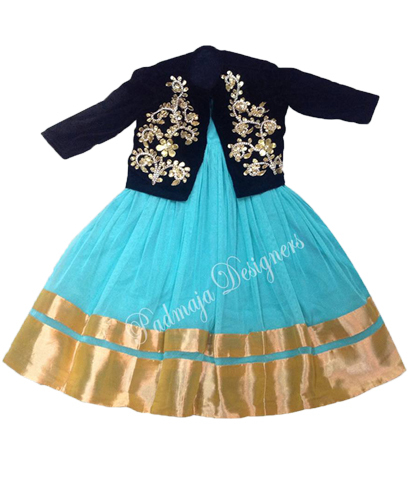 Havi jarget gold coller meterial raw silk blouse with maharani work blouse, cut work border. 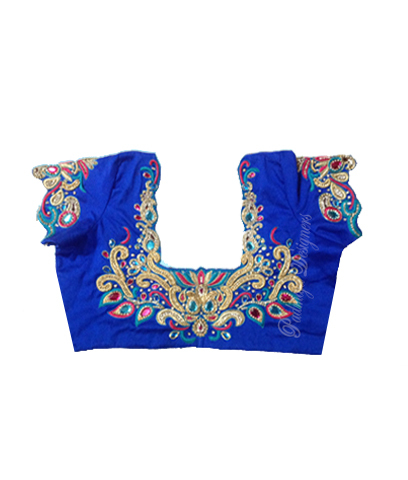 juguri border, raw silk designer blouse. 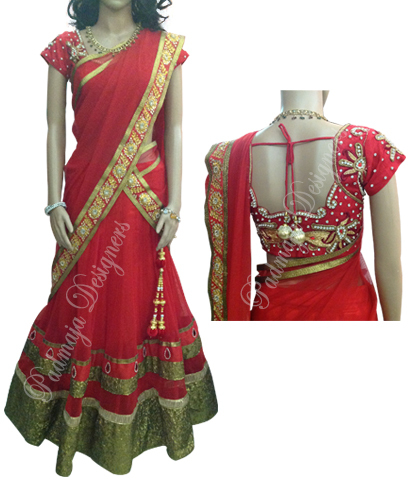 Red work border, 7 borders work, & cut work border, raw silk blouse with work. 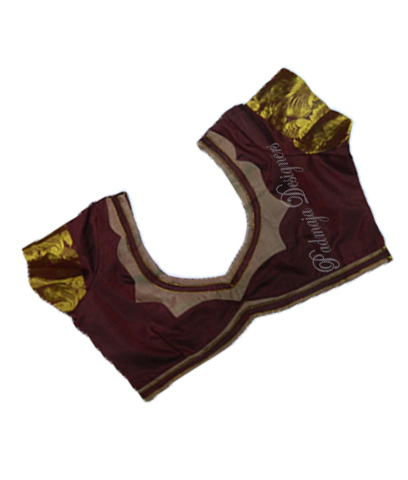 Benares net raw silk work border, raw silk designer blouse. 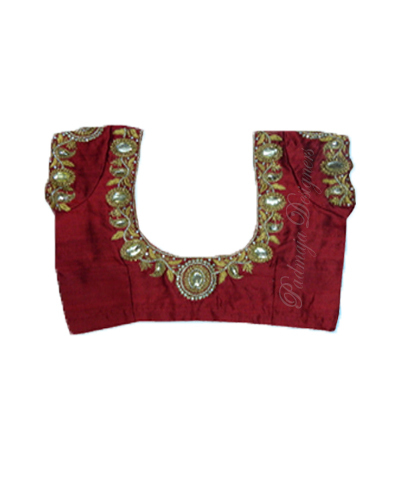 Soft net work velvet blouse maharani work . 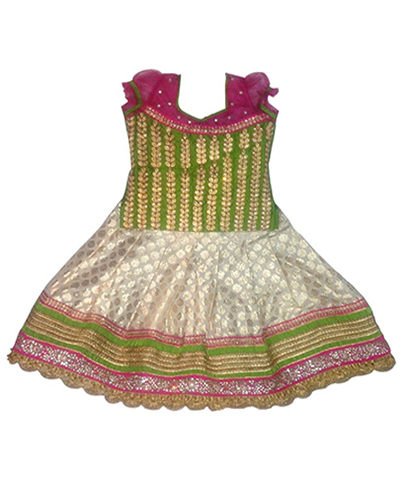 Soft net with mirror work, raw silk blouse, maharani work. 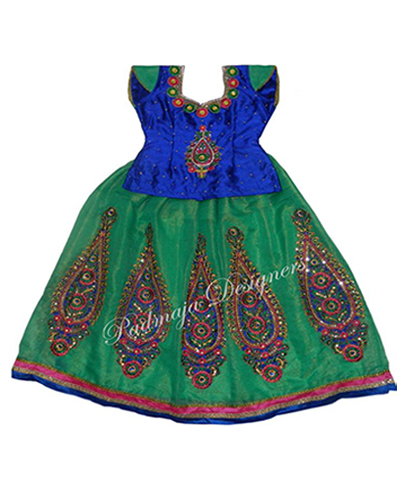 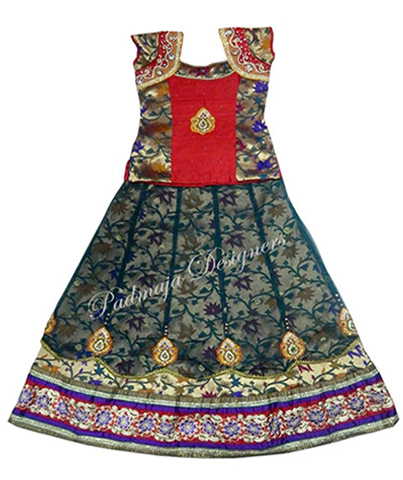 paithani work, peacock jewillire work, raw silk work blouse cut work 5 border. 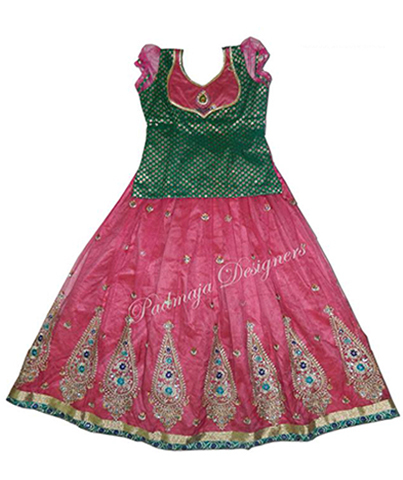 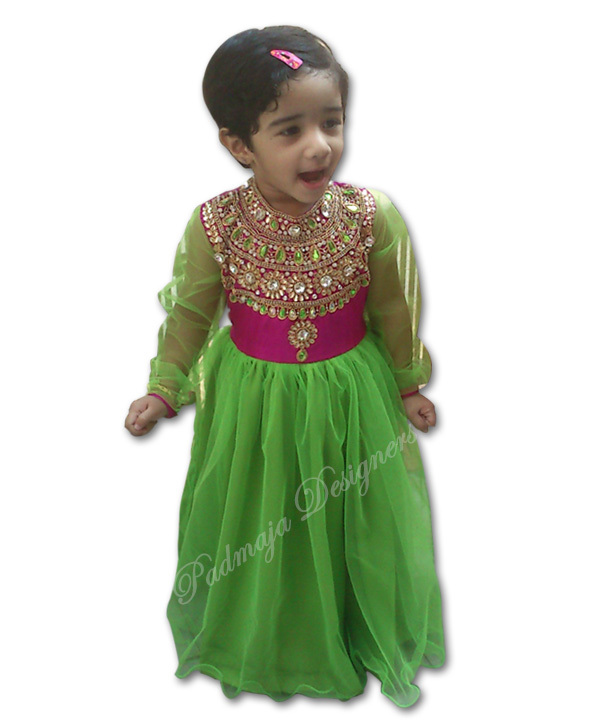 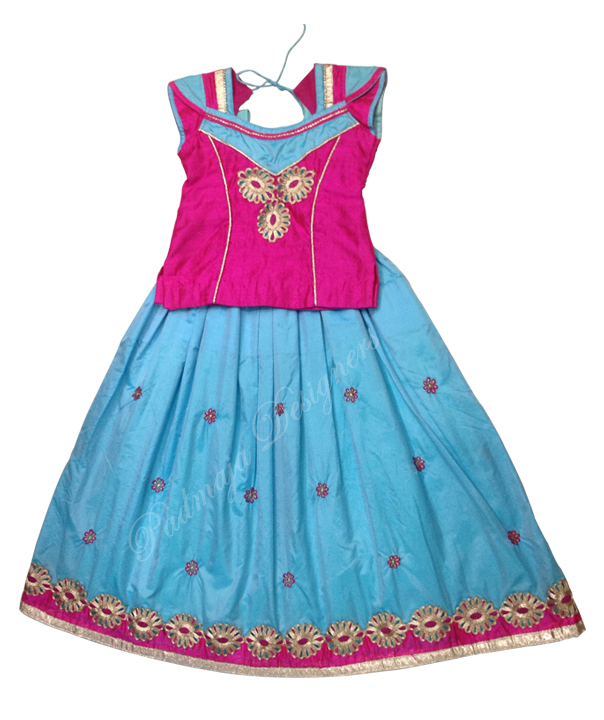 Raw silk blouse, raw silk langa, cut work blouse maharani jewillire work with chunni. 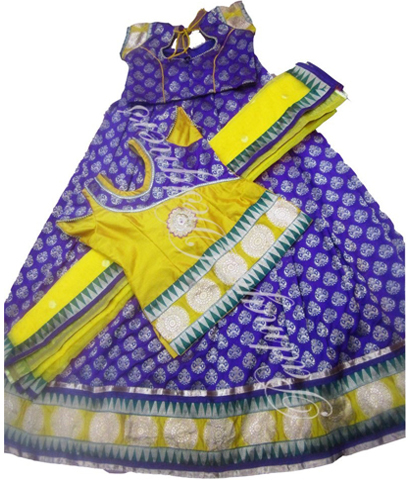 Benaras printed, net langa, raw silk blouse, new design and work langa. 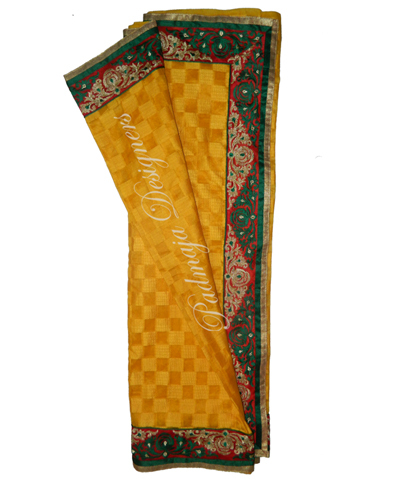 Printed benaras net langa, raw silk blouse, benaras and raw silk border. 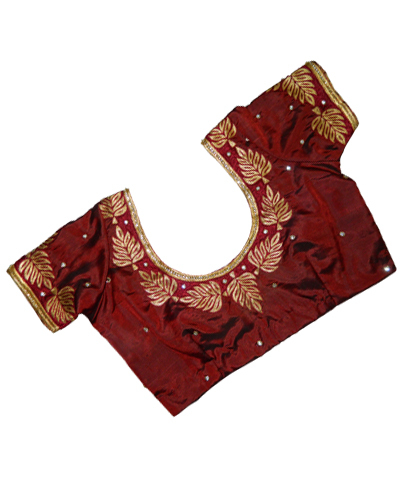 benares net langa, gujiree raw silk blouse, velet border. 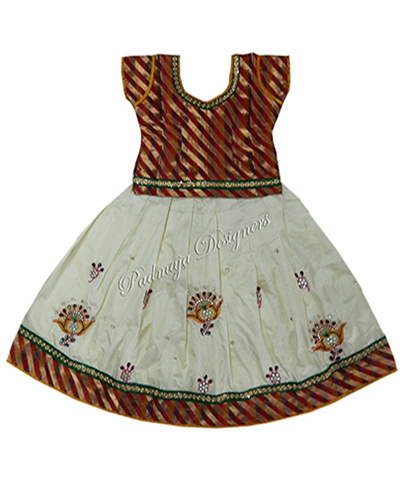 Pure benaras langa, pure raw silk blouse, benaras border. 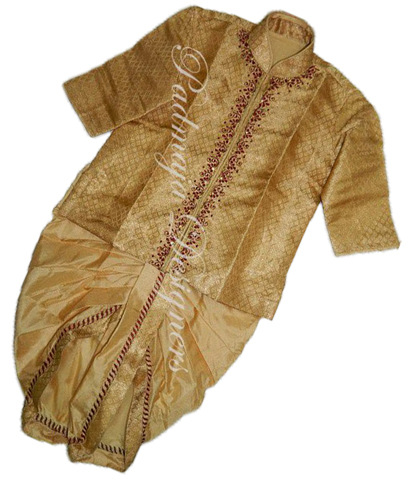 Saft net langa, pure raw silk blouse, pure benaras, pure brocked and raw silk work border. 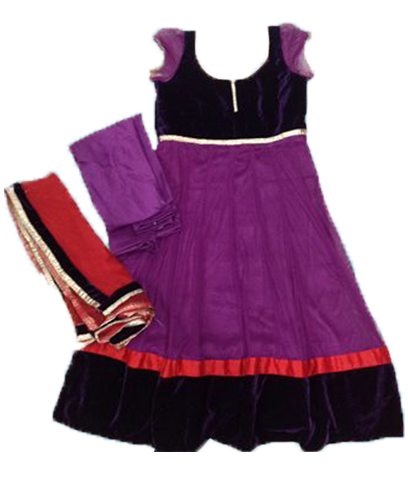 Soft net langa, velvet blouse, velvet with work border. 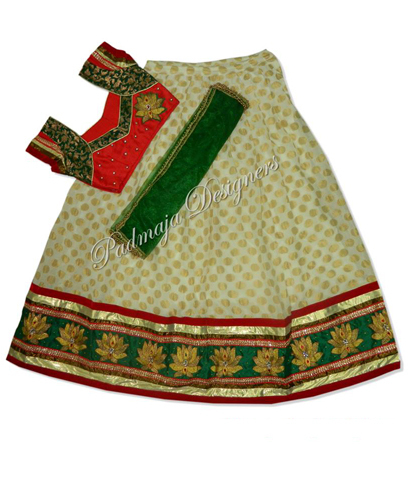 Pure benaras langa, pure raw silk with work blouse, cot work border and gold colour border. 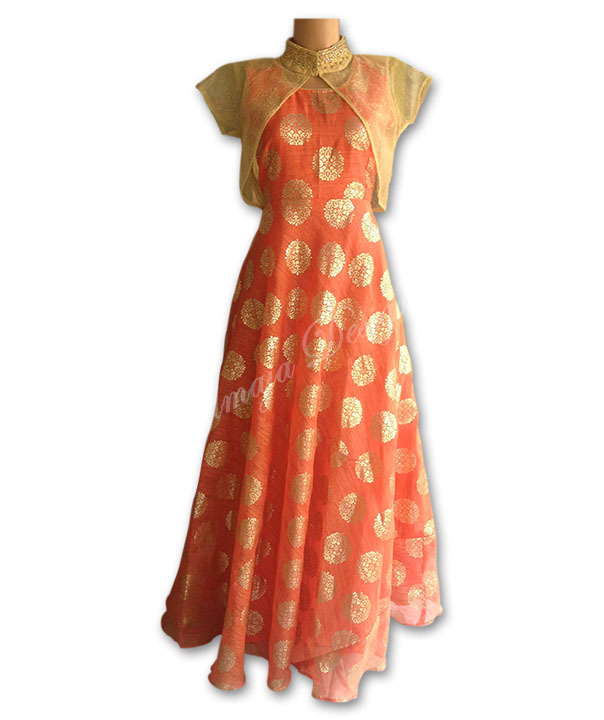 Printed benaras langa, pure raw silk with simple work blouse, benaras net andpure raw silk borders. 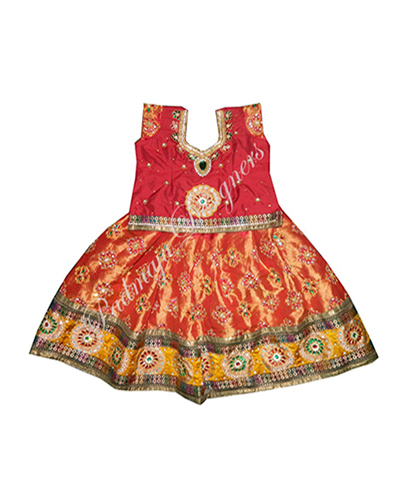 Pure benaras langa, pure raw silk designer blouse, pure raw silk and swell cut work borders. 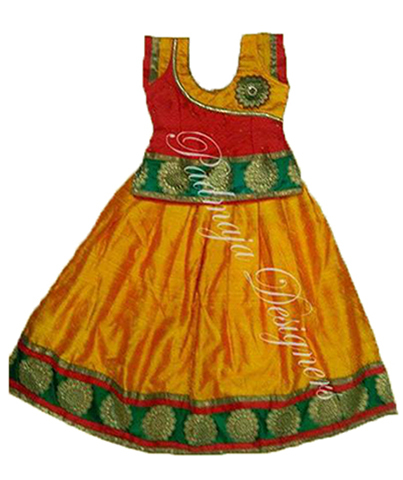 Pure benaras langa, pure raw silk blouse, soft double colour net border. 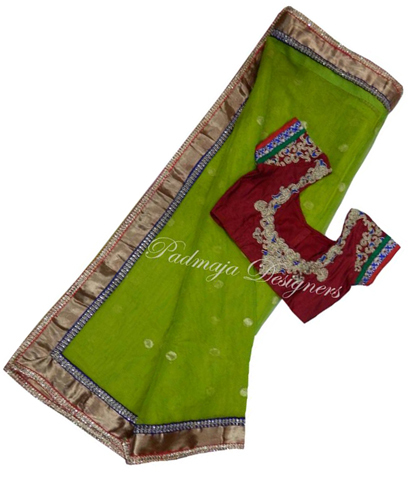 Printed net langa, puer raw silk with work blouse, gujarri work rawsilk border. 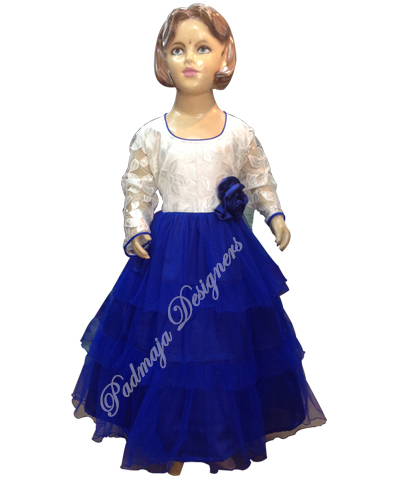 Pure benaras langa, pure raw silk blouse, soft net and work border and benaras border. 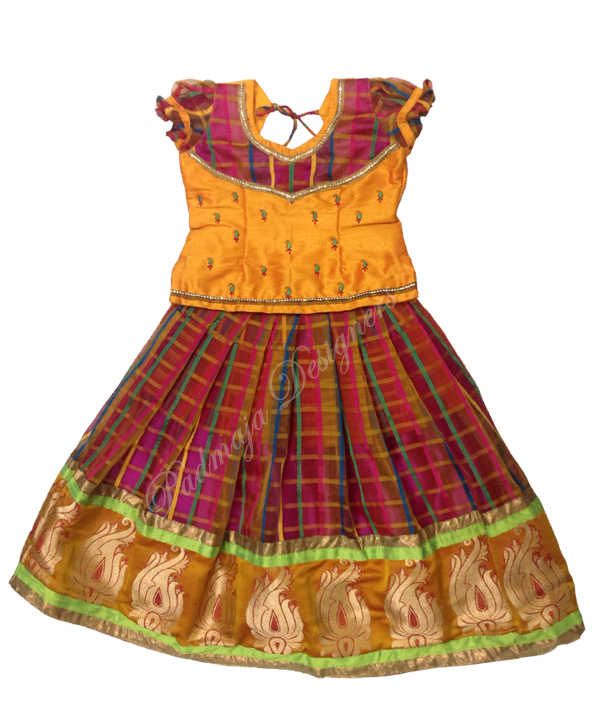 Benaras nt langa, sami raw silk blouse, pure pythoni border and raw silk borders. 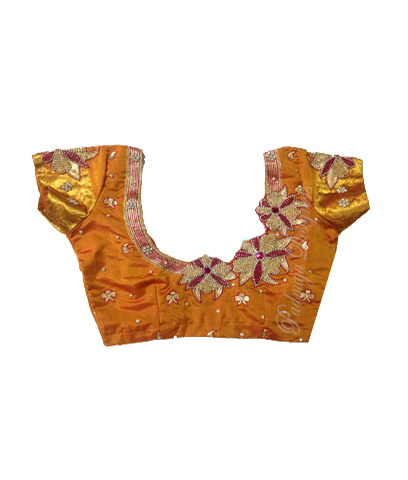 Printed benares net langa, pure raw silk designer blouse, ready gold color border. 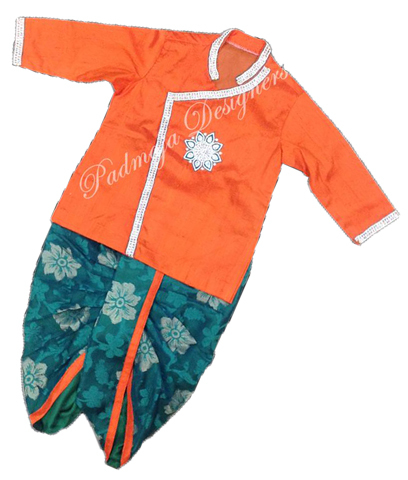 Pure pattu langa, pure pattu blouse, cot work and raw silk border. 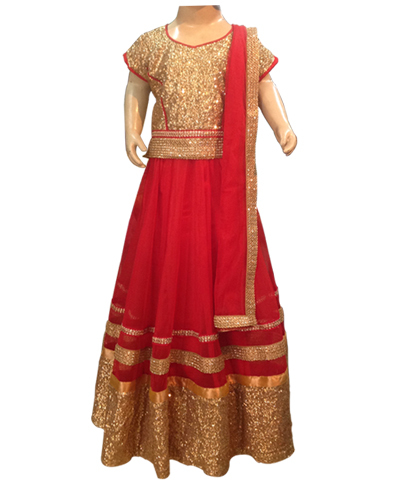 Heavy gold color net and red color rasilk blouse with work . 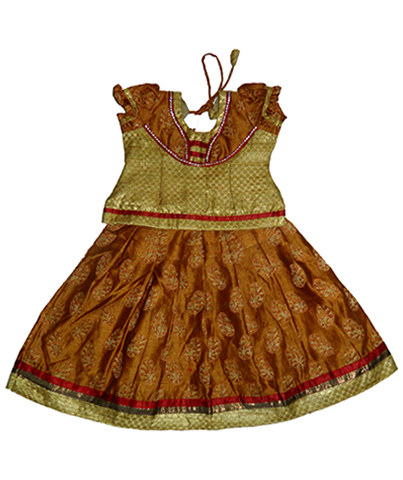 Materiel net langa and rasilk blouse and cut work borders and benaras borders. 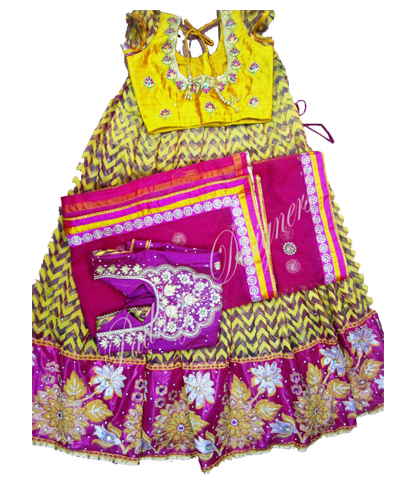 Softnet langa, soft net blouse & border, havi border. 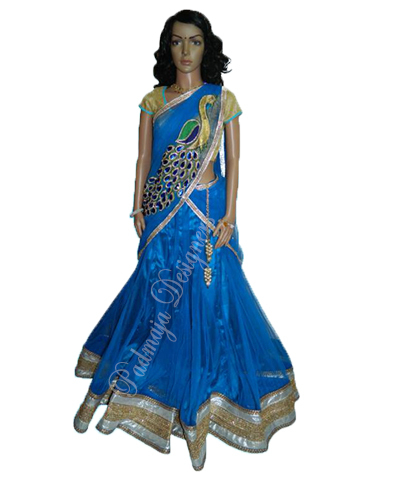 Soft net langha with work and raw silk and broked blouse with pattern langha with gold pythoni border. 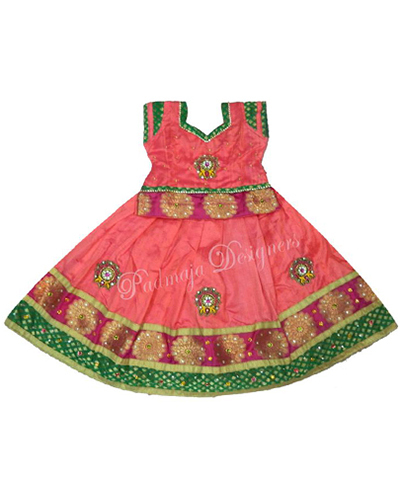 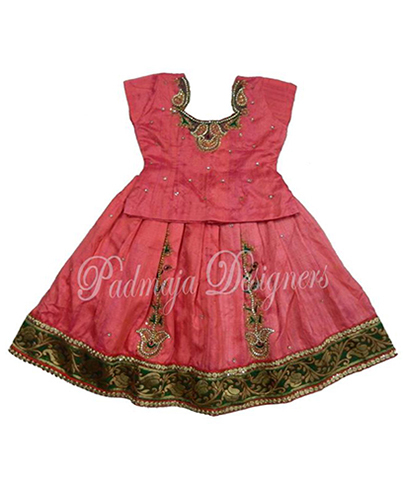 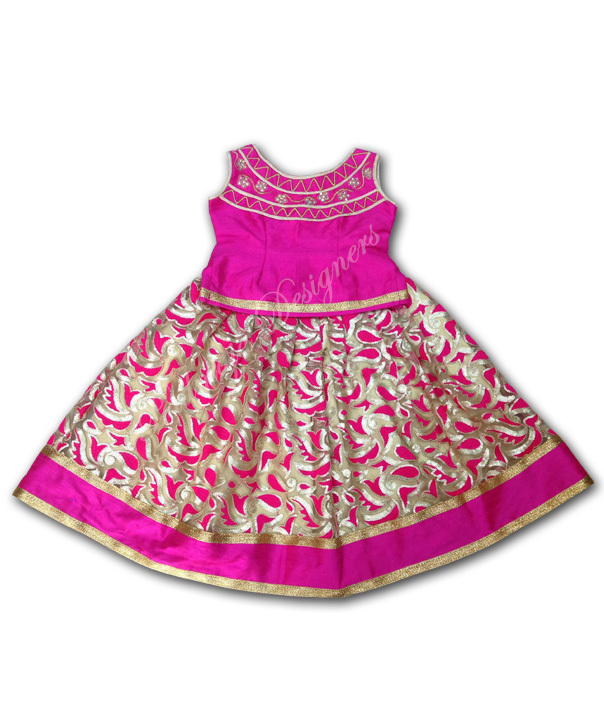 Benaras net pink cut work border with ready lase raw silk blouse with applic work and pattern. 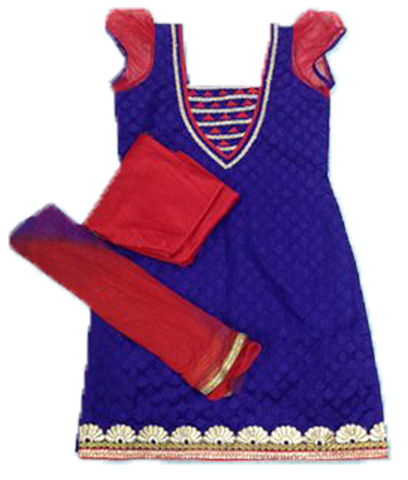 nat jarjat and blouse rasilk and net metirail. 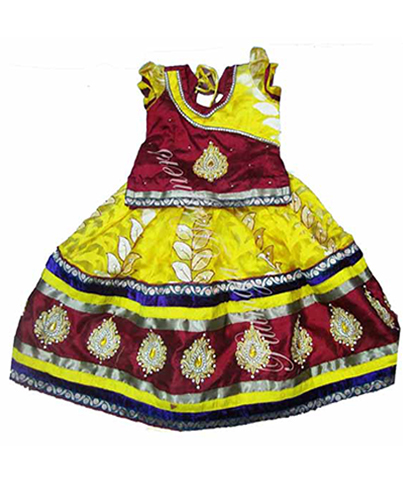 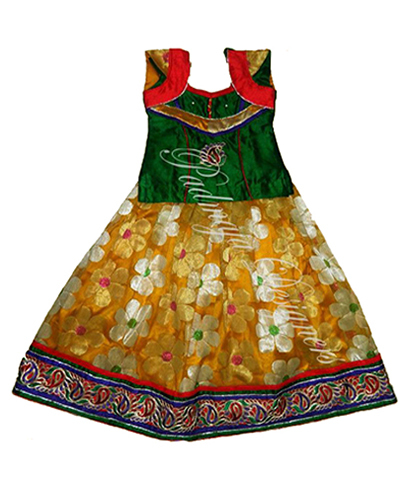 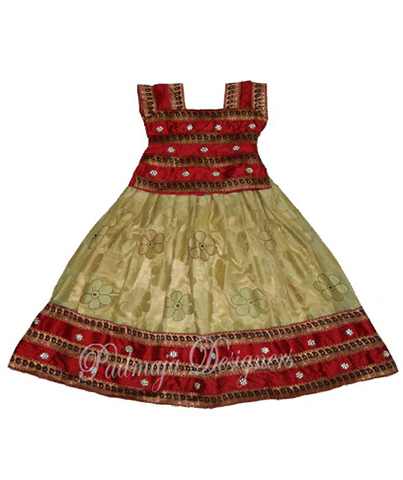 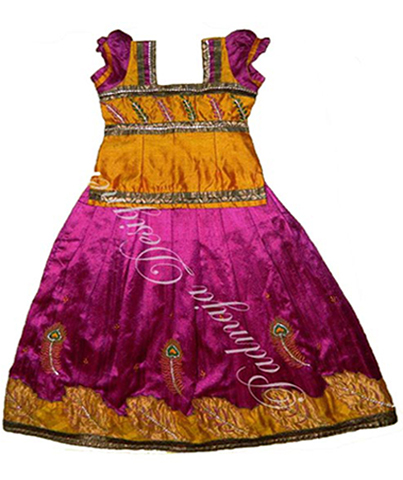 Banares net with thred work lays & gold lays raw silk work with pattern. 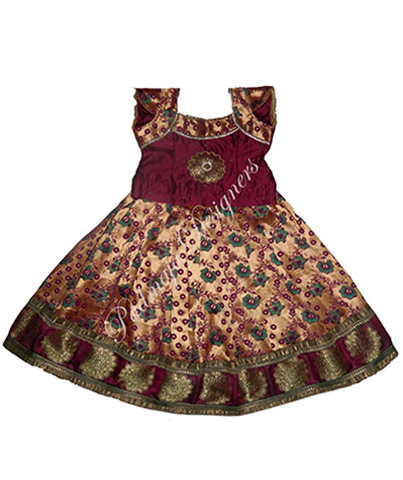 benaras net with lase and broked borders.velvet blouse with pattern. 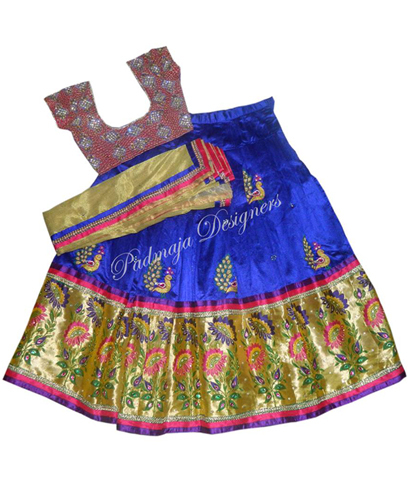 raw silk langha with cut work border and beneras applic maggam work with vylet net frill pythoni blouse with all over work and pattern. 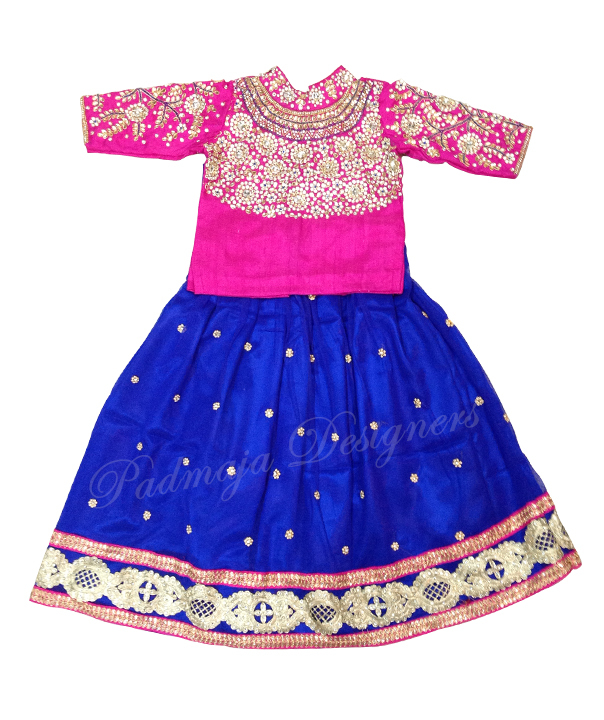 soft net with ready borders kundhanwork on langha and lase raw silk blouse with heavy kundhanwork. 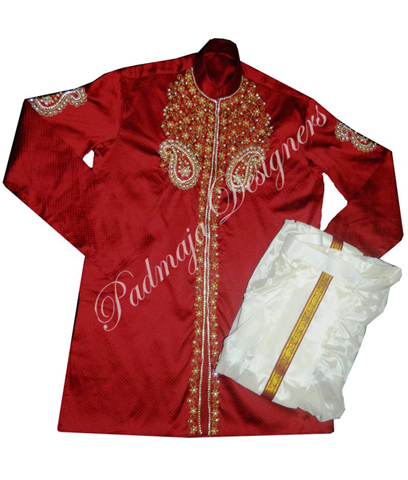 Raw silk langa with velvet border with work & lays velvet blouse with bottam neck with havi work. 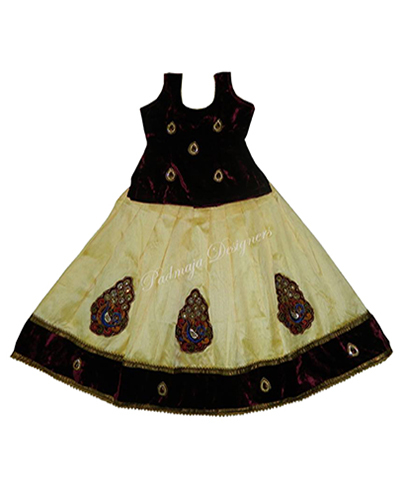 raw silk langha with cream net heavy work and velvet border with kundhanwork? 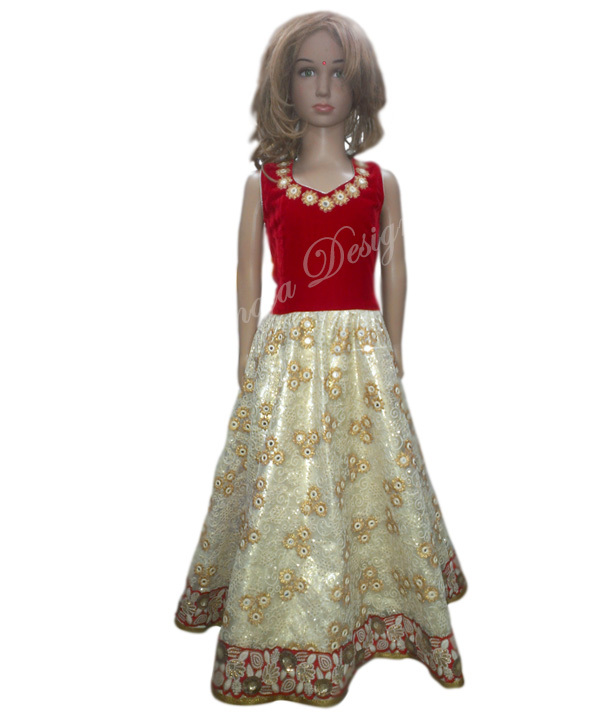 and lase velvet blouse with work. 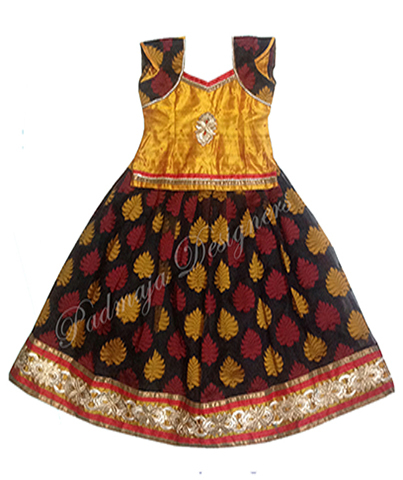 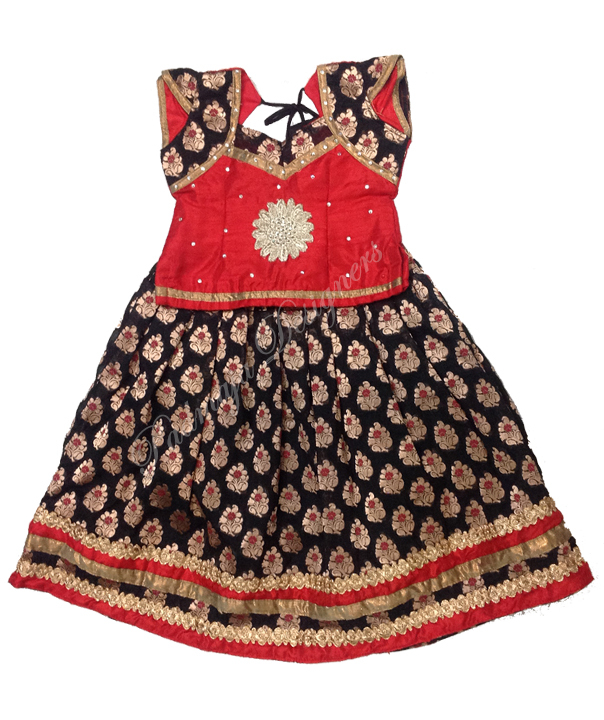 net cloth with black velvet work body with gold antic. 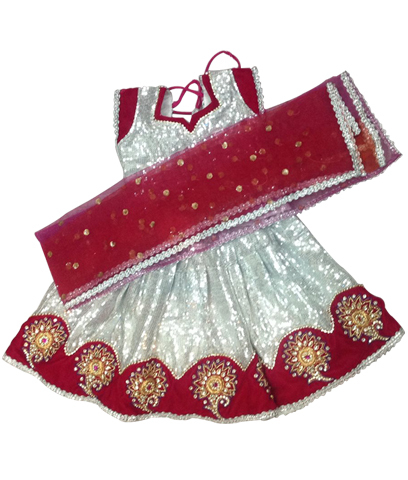 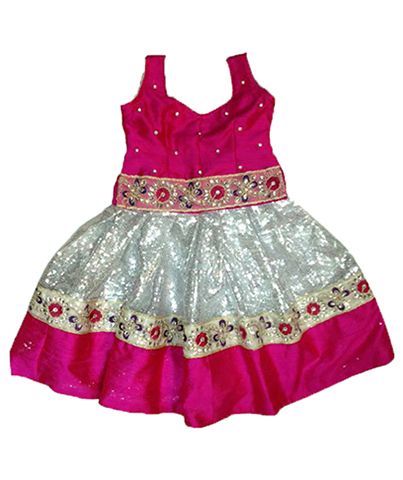 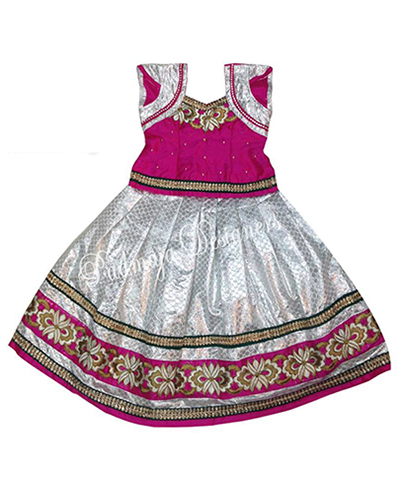 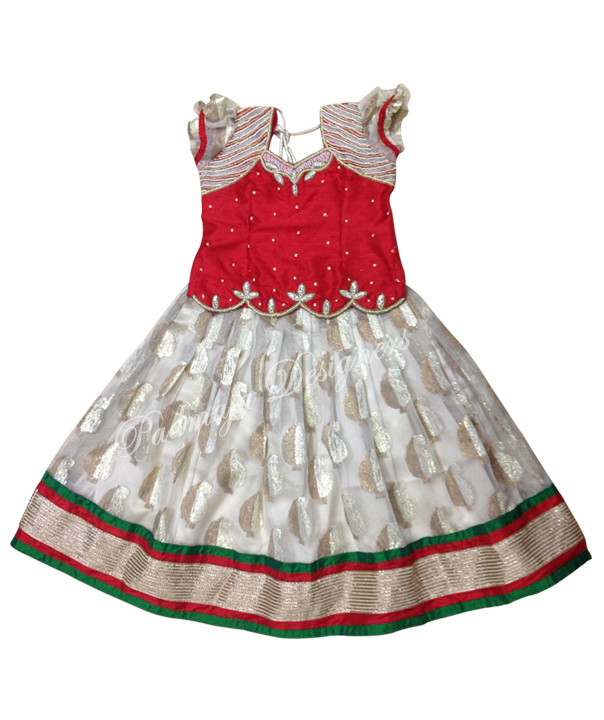 soft net with Benares langha pearl mirror work vylet frills. 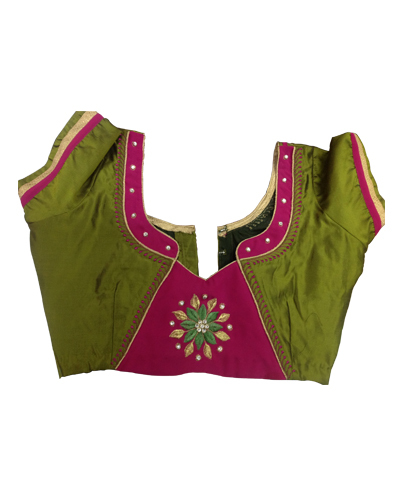 raw silk blouse with neck heavy work. 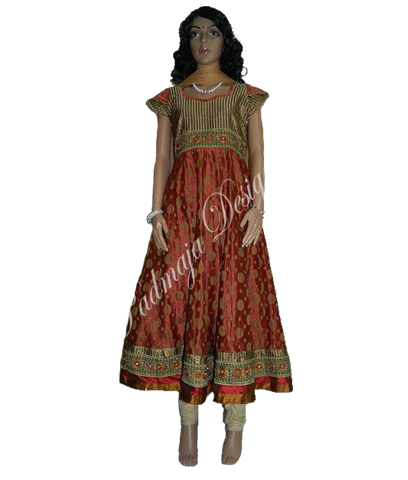 Rawsilk langha with applic work borders and stone butti work net voni with borders rawsilk blouse with heavy pattern. 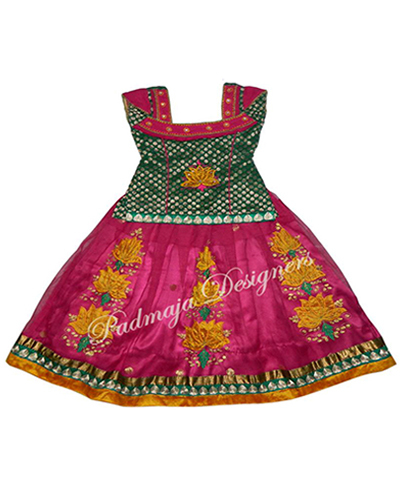 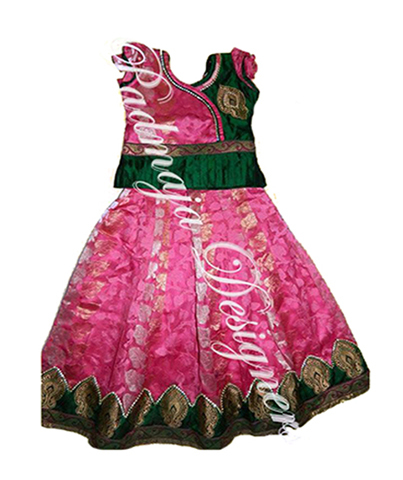 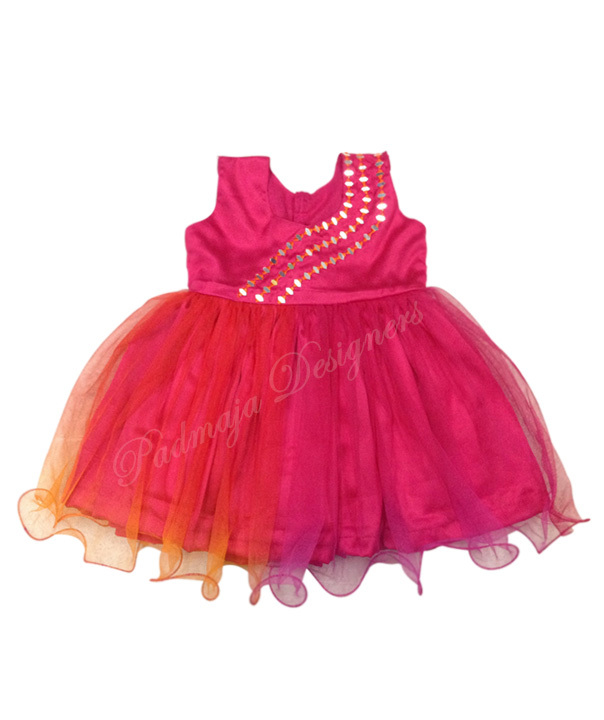 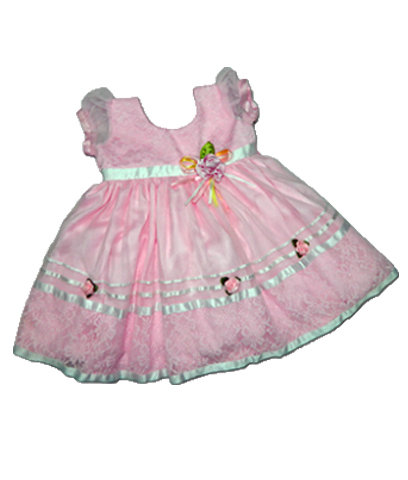 Soft net langa with radi lays & patches pink blouse with pattern. 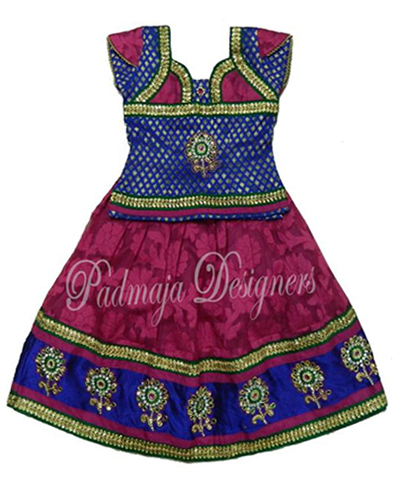 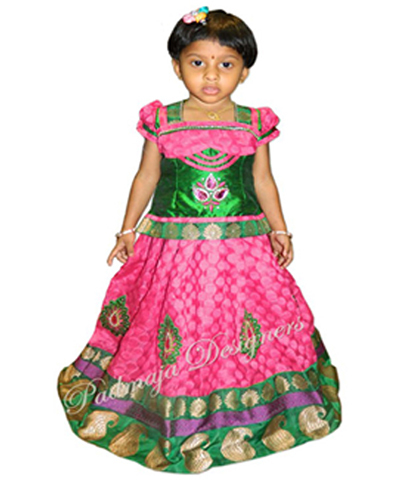 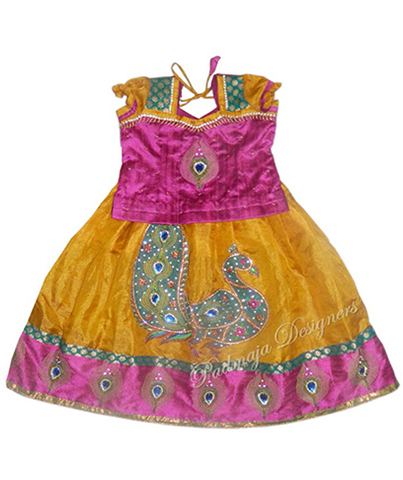 Uppada pattu blouse raw silk blouse with Peacock design work. 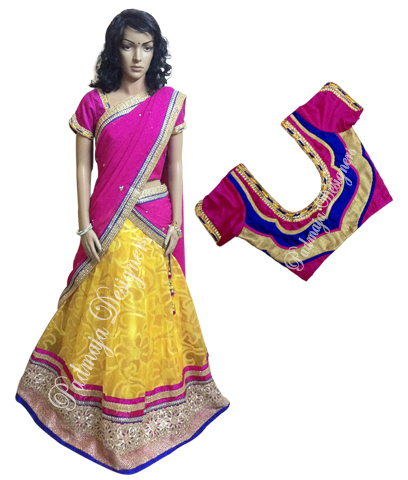 Bnanres net raw silk mirror border & chanderi border raw silk designer blouse. 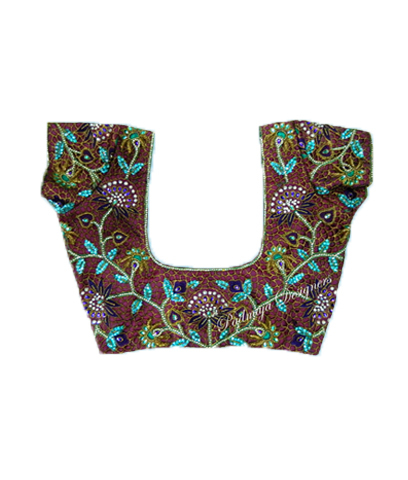 Printed work net chanderi banres lining velvet blouse. 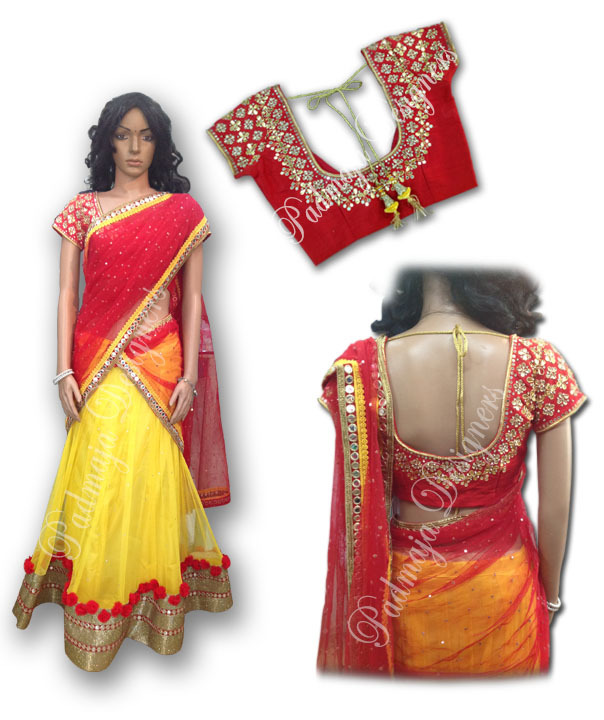 Havi banares net raw silk blouse work raw silk border & designer blouse. 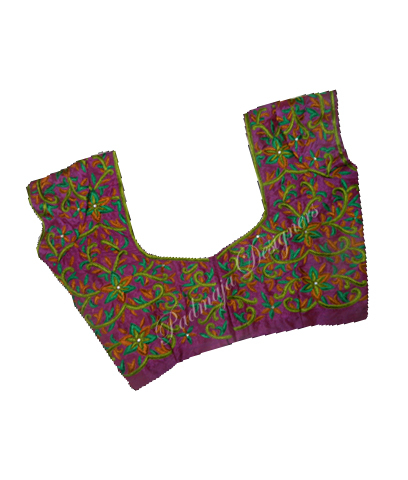 Chanderi bananres & net net trills chanderi banares design blouse. 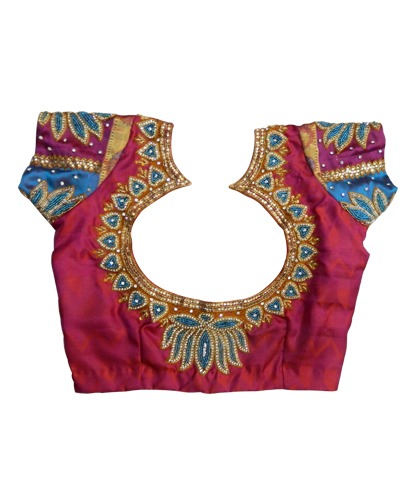 Soft net banares border raw silk blouse. 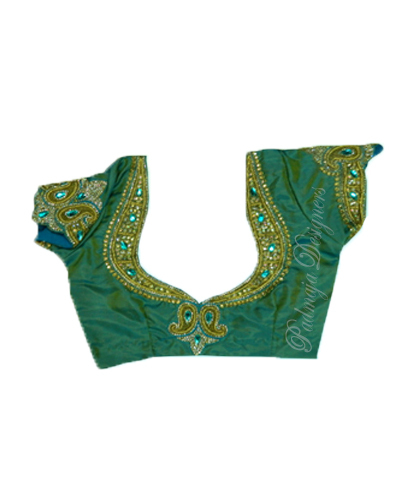 Raw silk langa raw silk blouse raw silk border & brocket trill. 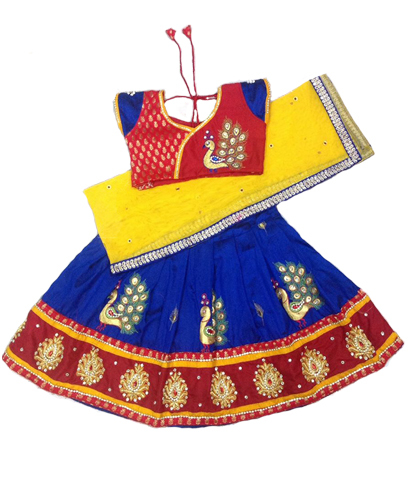 Havi banares net langa raw silk work border & raw silk border raw silk work blouse. 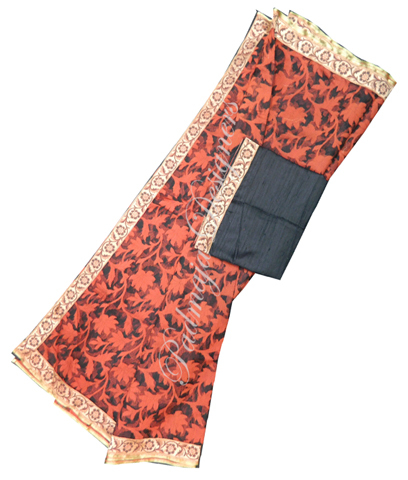 Crope printed meterial langa raw silk work border & cut work border. 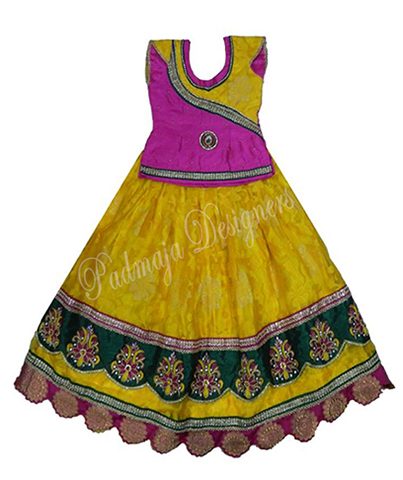 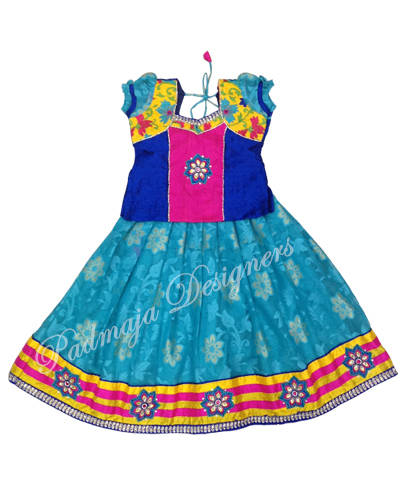 Raw silk langa with cut work cut work border & raw silk border raw silk designer blouse. 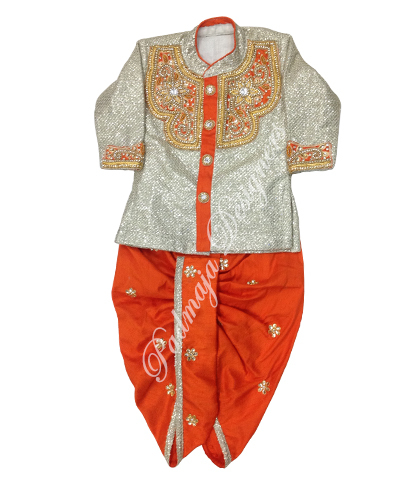 Banares net langa raws ilk work border & 4 banares border raw silk work blouse. 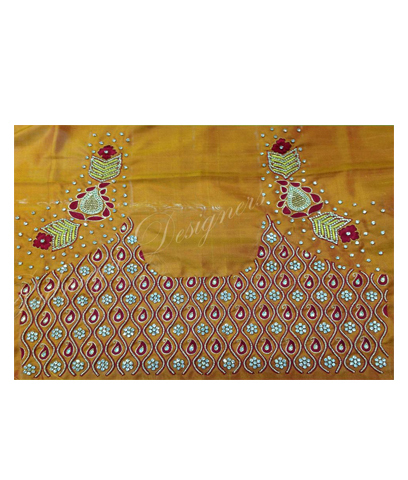 Printed net langa raw silk work border raw silk plaine border raw silk blouse. 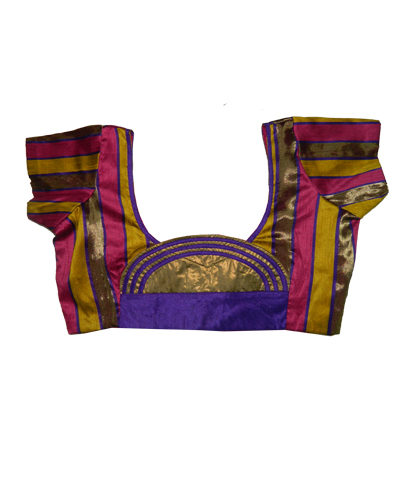 Banares langa raw silk mirror border banares border banares blouse. 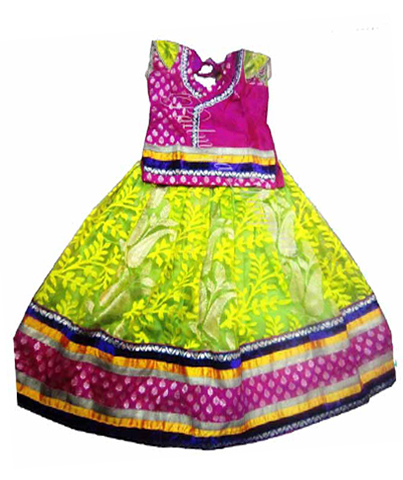 Printed banares net langa banares border raw silk designer blouse. 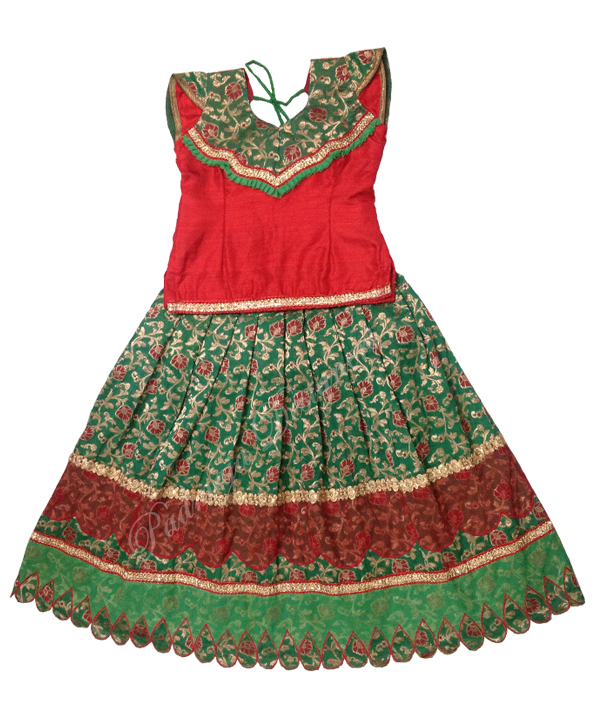 Jute banares net langa banares chanderi blouse. 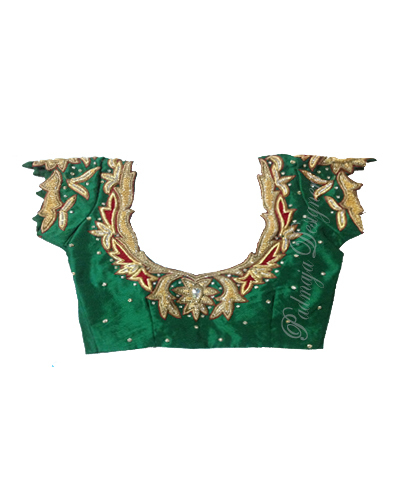 Raw silk metel langa velvet blouse velvet & brocket border work patches. 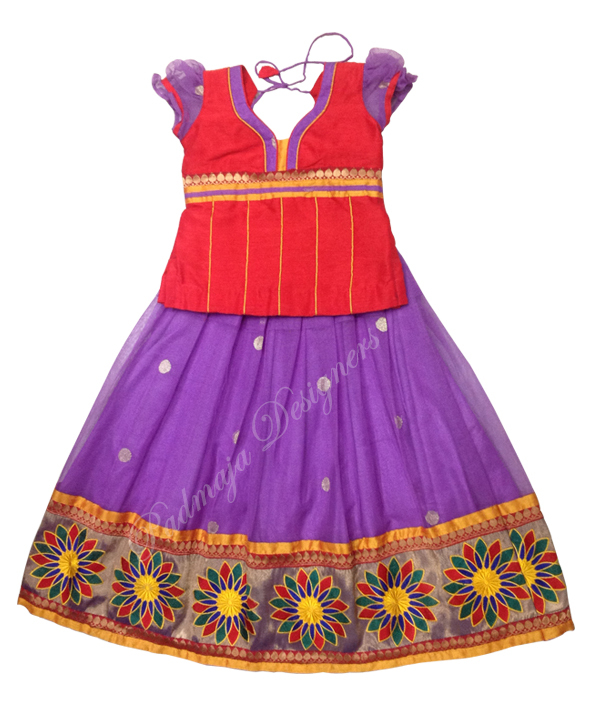 Banares langa raw silk hill border raw silk blouse. 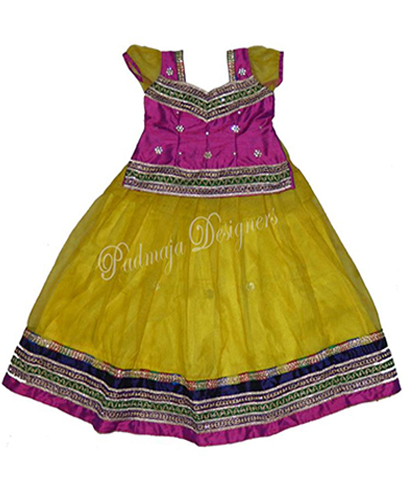 Raw silk langa with work raw silk borders raw silk work blouse. 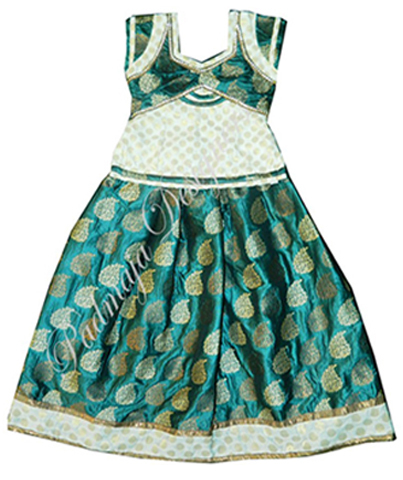 Bananre brocket langa & net cut work border & raw silk designer blouse. 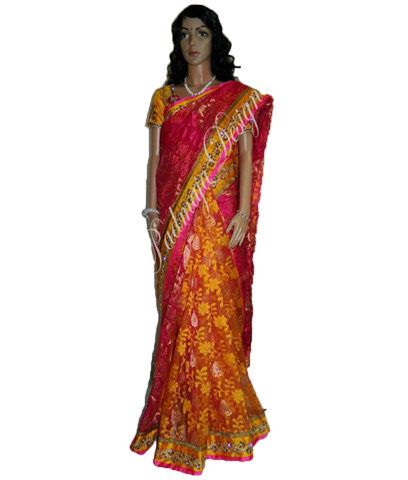 Banares havi net langa raw silk havy work border & raw silk blouse. 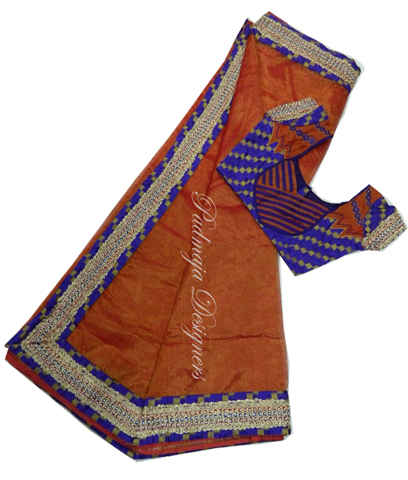 Chanderi banares langa banares border raw silk blouse. 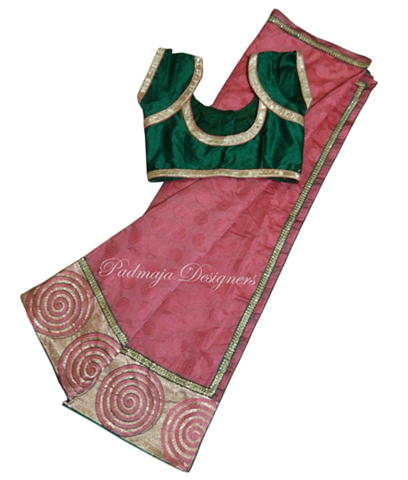 Chanderi banares langa raw silk work border & 7 work border raw silk designer blouse. 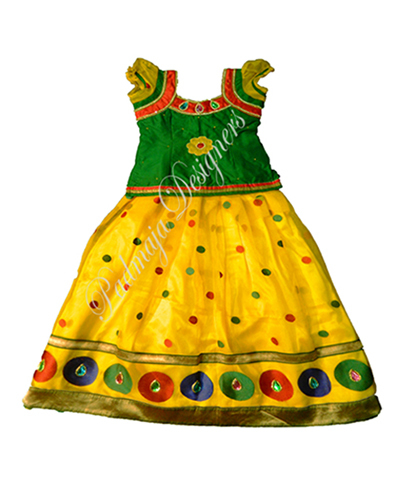 Banares brocket langa banares 5 borders raw silk designer blouse. 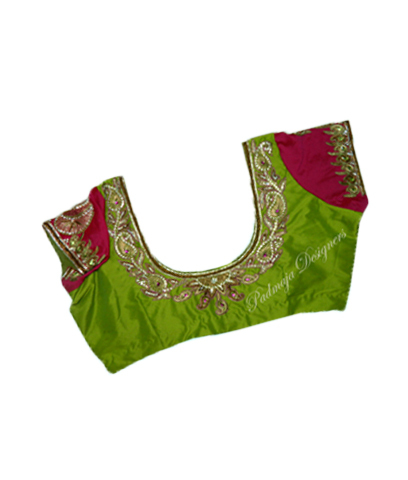 Banares net langa banares border raw silk designer blouse. 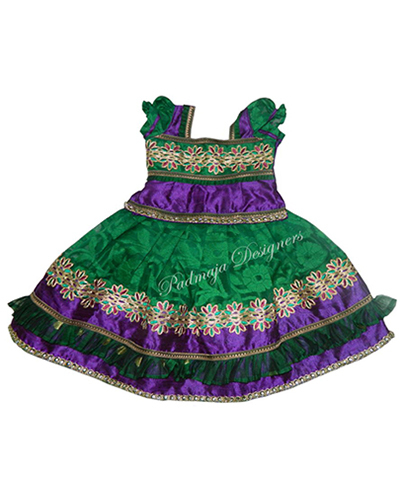 Banares net langa brocket border & brocket blouse. 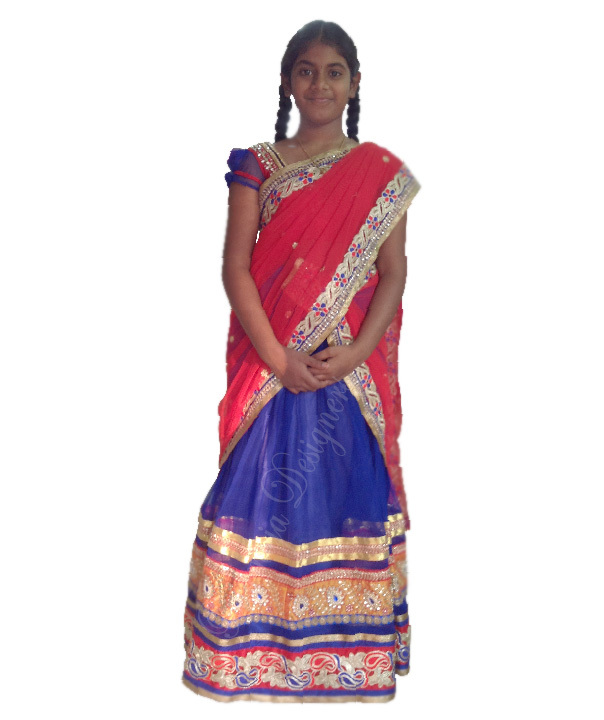 Chandari banares langa thred work border net over cort with work border. 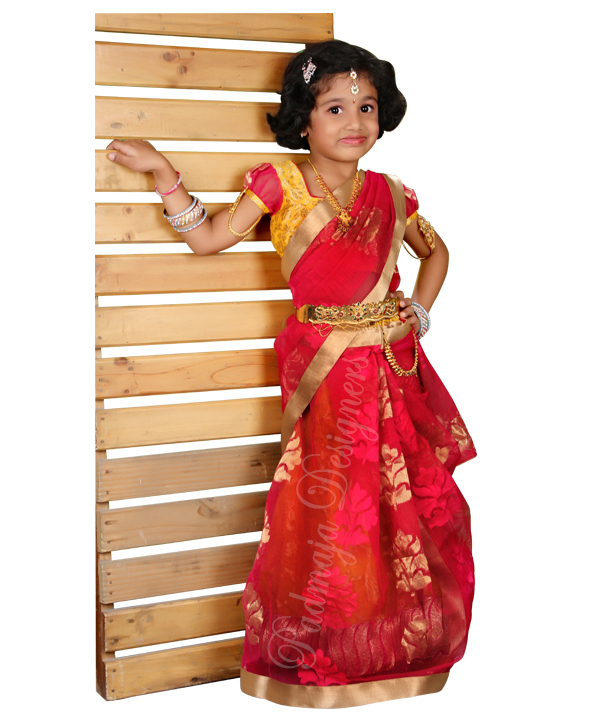 Banares net langa raw silk work border & banares borders raw silk blouse. 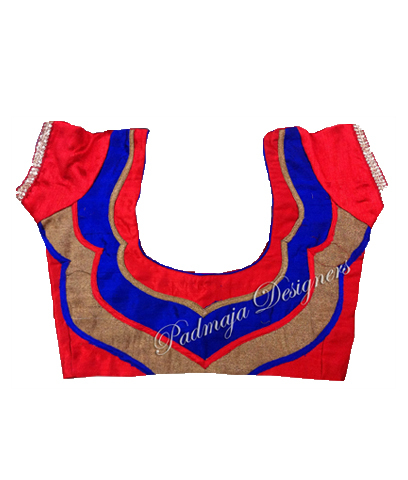 Chanderi banares langa raw silk border raw silk designer blouse. 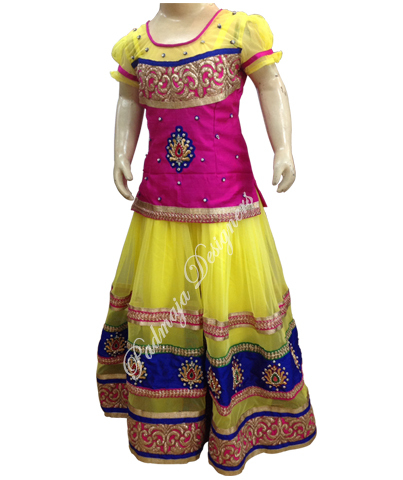 Hai banares langa raw silk borders raw silk blouse. 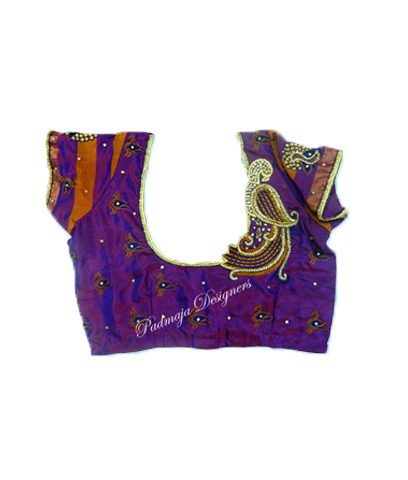 Printed chanderi langa raw silk blouse banares border. 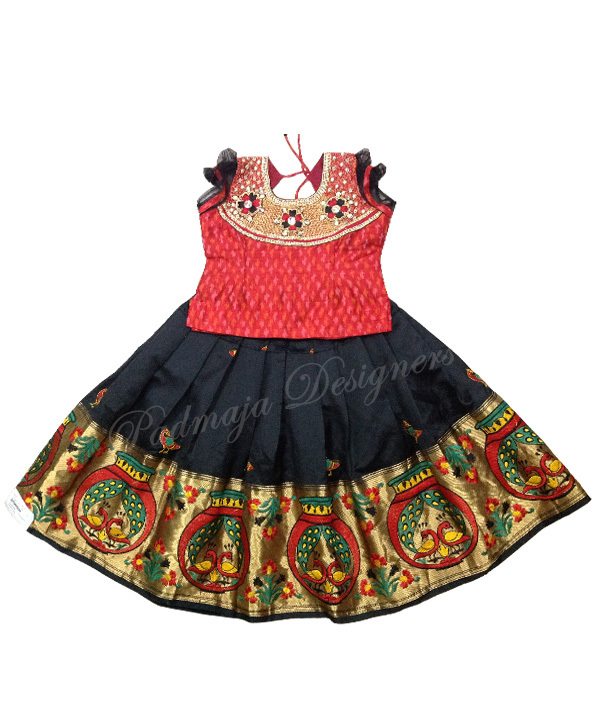 printed net langa cut work border raw silk designer blouse. 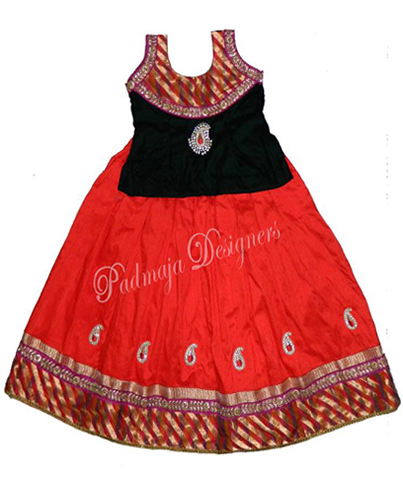 printed net langa banares net langa net trill raw silk designer blouse. 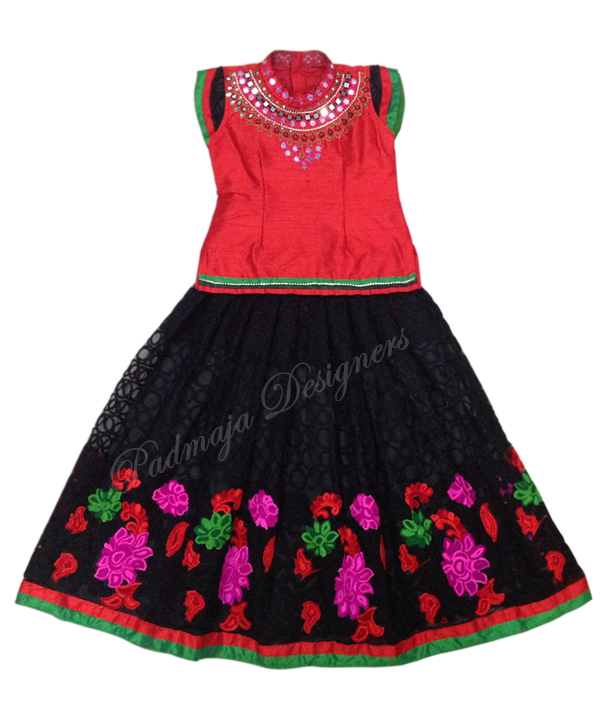 Printed banares net langa cut work border & raw silk blouse raw silk designer blouse. 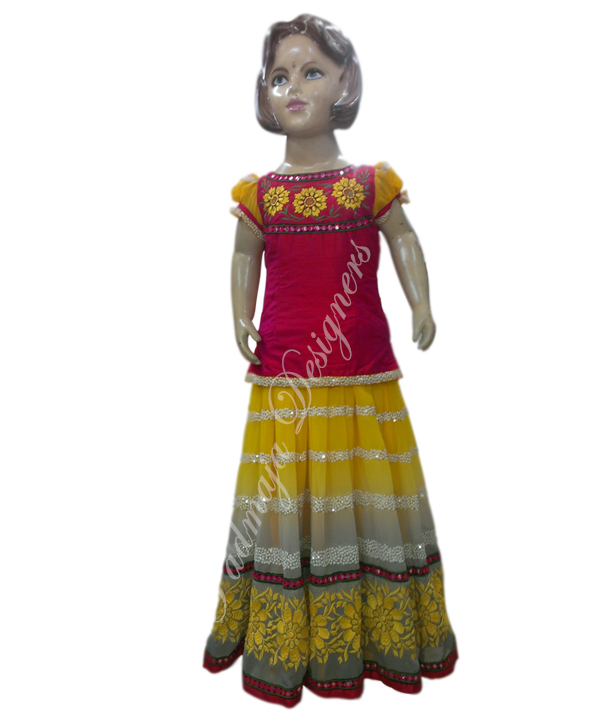 Banares chanderi langa & banares border & raw silk banares blouse. 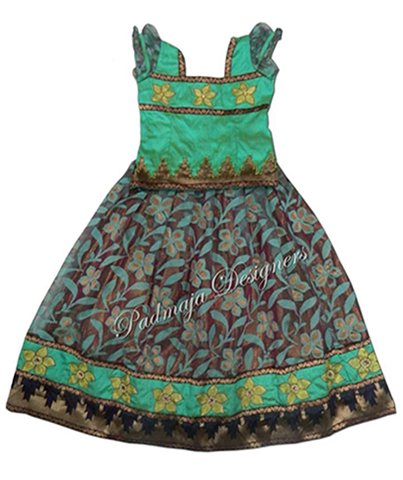 Printed net langa with raw silk blouse. 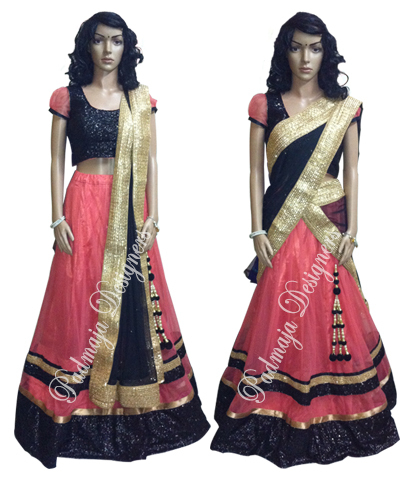 Banares chanderi langa raw silk border net trill & work boties raw silk designer blouse. 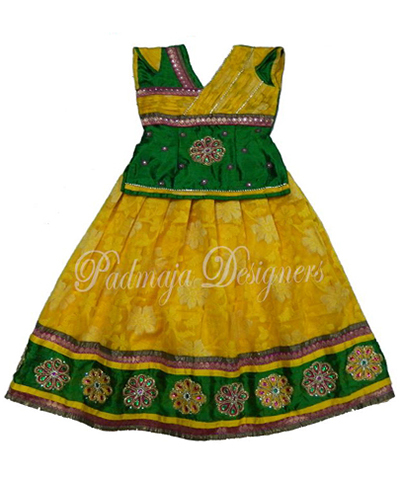 Raw silk & havi net langa banares borders raw silk designer blouse. 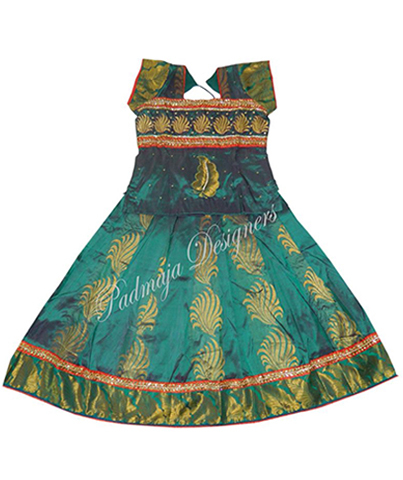 Rae silk langa banares borders raw silk blouse & peacock work raw silk designwr blouse. 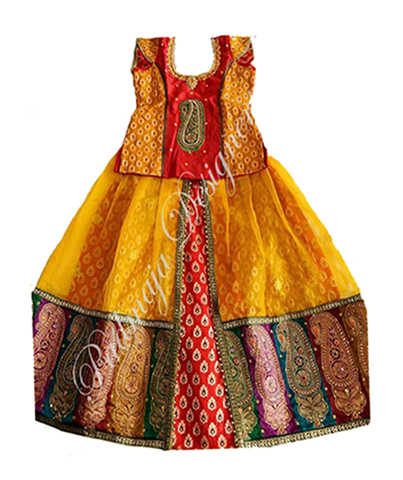 Banares borders langa & raw silk 7 borders raw silk designer blouse. 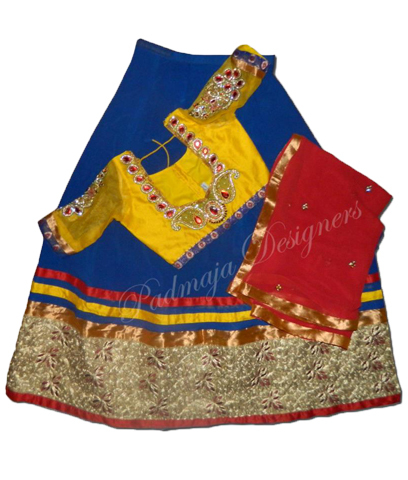 Raw silk mirror border langa & raw silk designer blouse raw silk banares blouse. 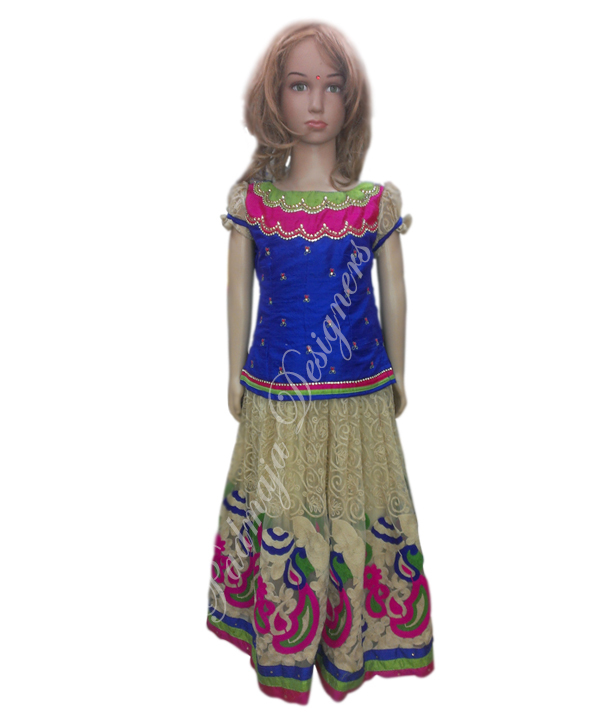 Bananres chandeari langa raw silk work border & banares border raw silk pattern blouse. 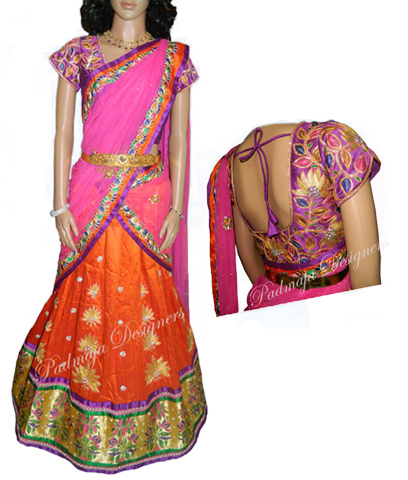 Havi banares net langa raw silk work border & 7 borders raw silk designer blouse. 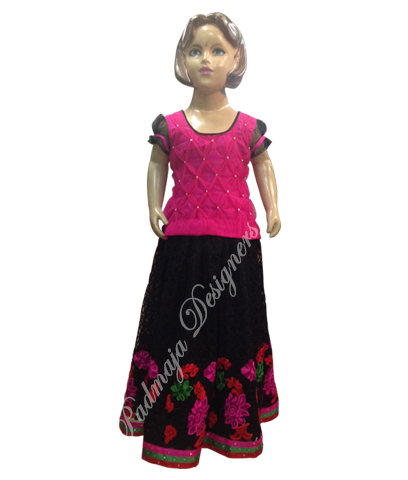 Banares langa with border cat fall cut work blouse. 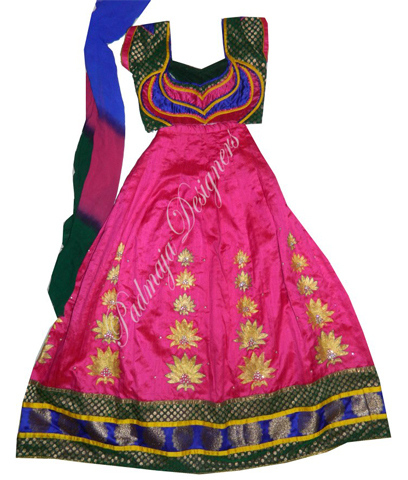 Banares langa & net raw silk borders banares blouse with work. 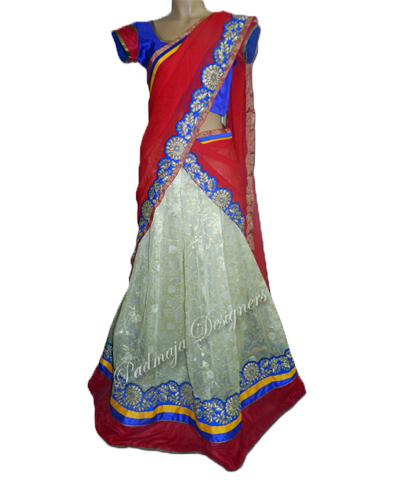 Banares printed net langa cut work border & raw silk 5 border & raw silk designer blouse. 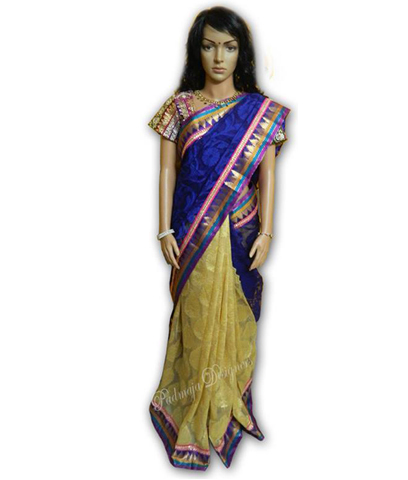 Raw silk & printed net langa work raw silk border & banares borders raw silk designer blouse. 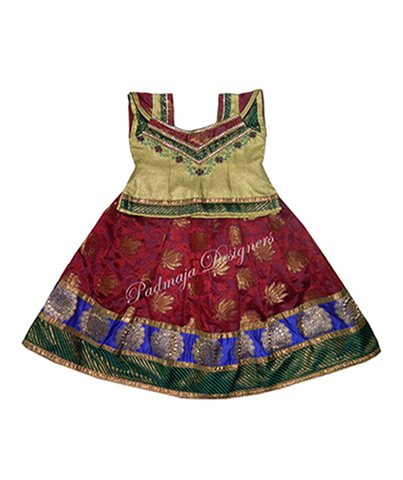 shimmer langa banars soft net banars border raw silk designer blouse. 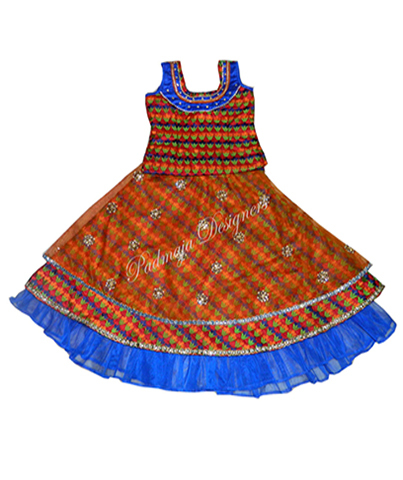 chanderi banaras langa net free trills banaras border pattu blouse with work. 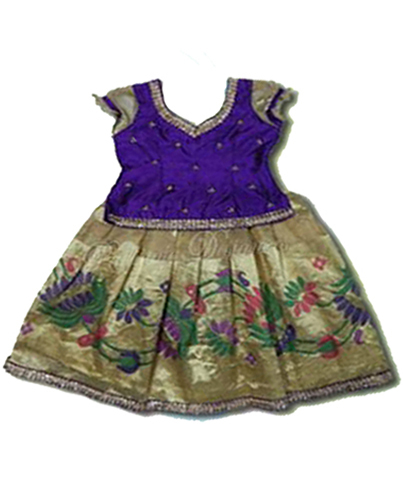 raw silk langa banaras border raw silk gold border with peacock raw silk designer blouse. 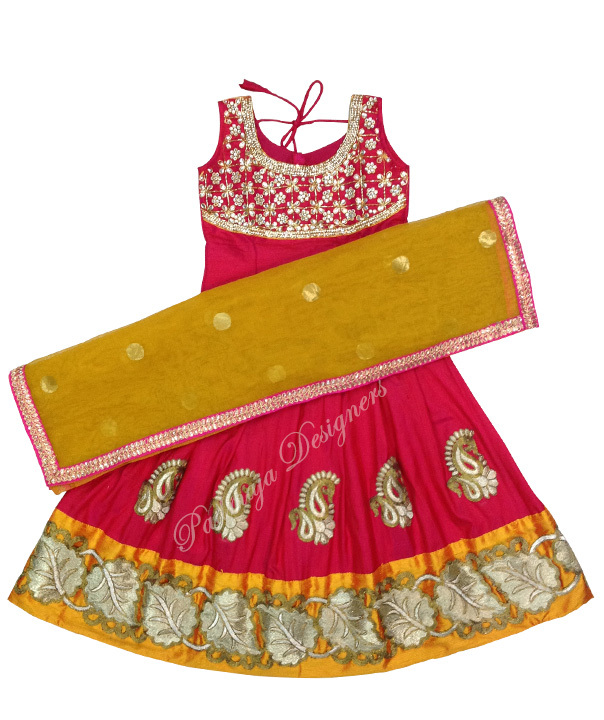 softnet banaras border langa raw silk designer blouse. 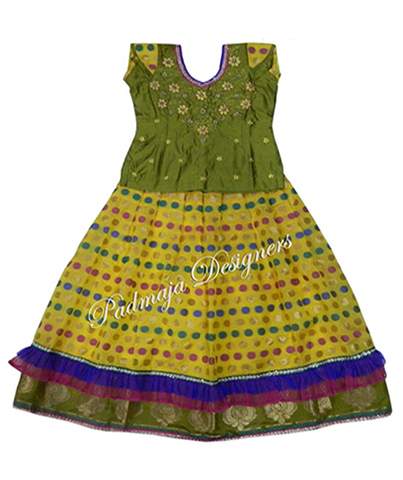 softnet raw silk langa cut work jelly border rawsilk designer blouse. 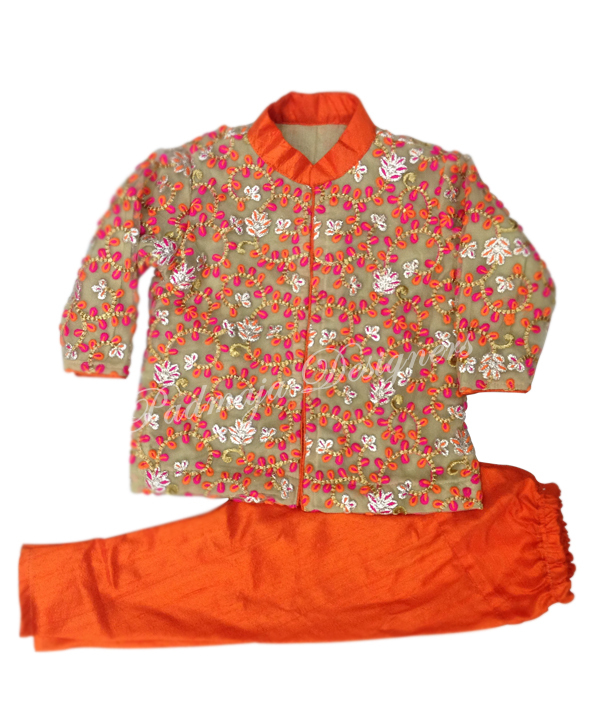 Havi banares langa simple work & border rae silk blouse. Raw silk plain blouse langa & cut work blouse raw silk designsr blouse. 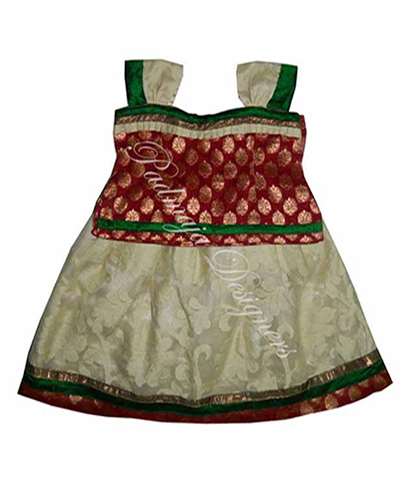 Net banares langa net trill banares designer blouse. 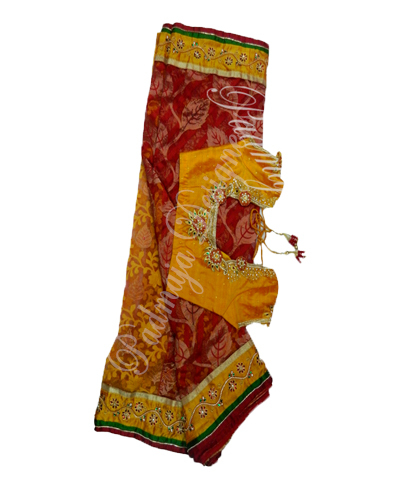 Multi colour banares lanaga banares border & 4 raw silk border raw silk designer blouse. 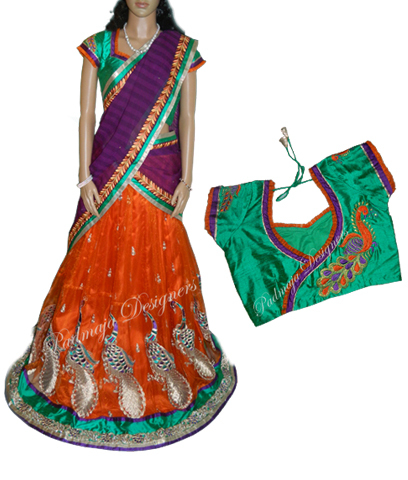 Havi banares net langa raw silk work border & banares work 3 borders raw silk work blouse. 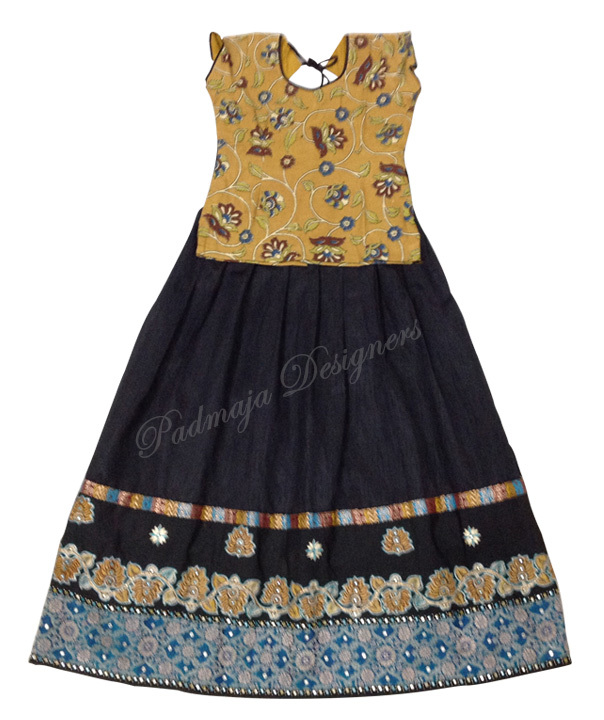 Printed work silk cottan meterial langa raw silk blouse with work. 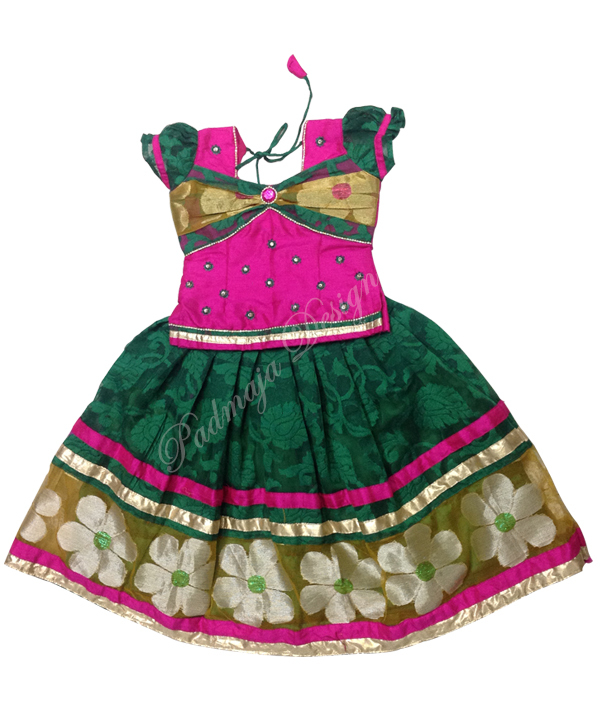 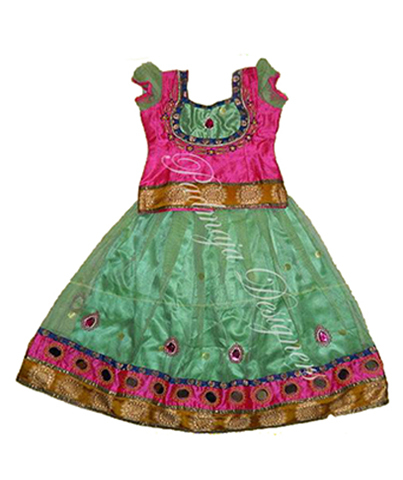 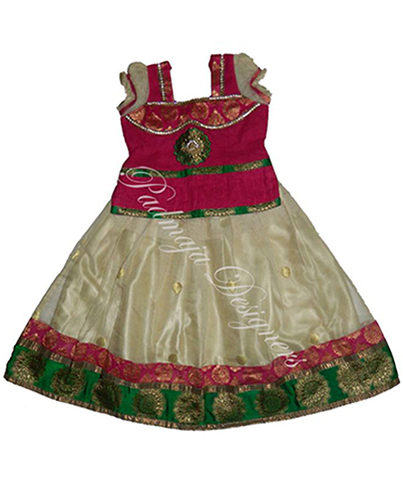 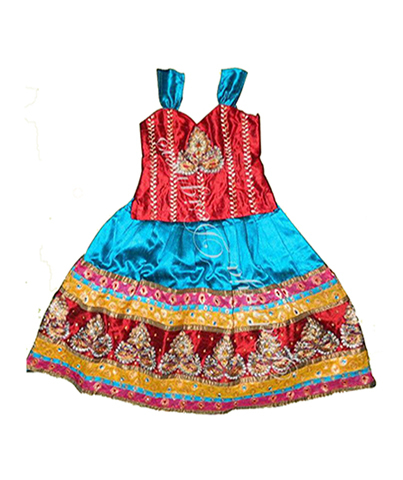 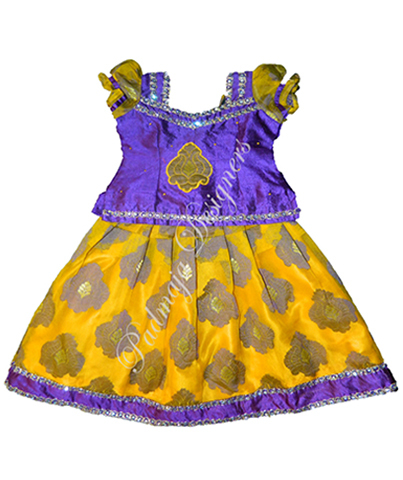 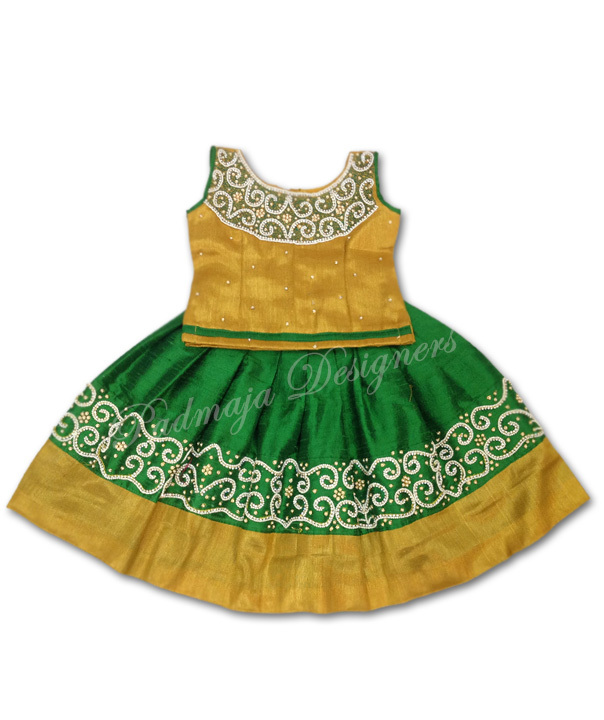 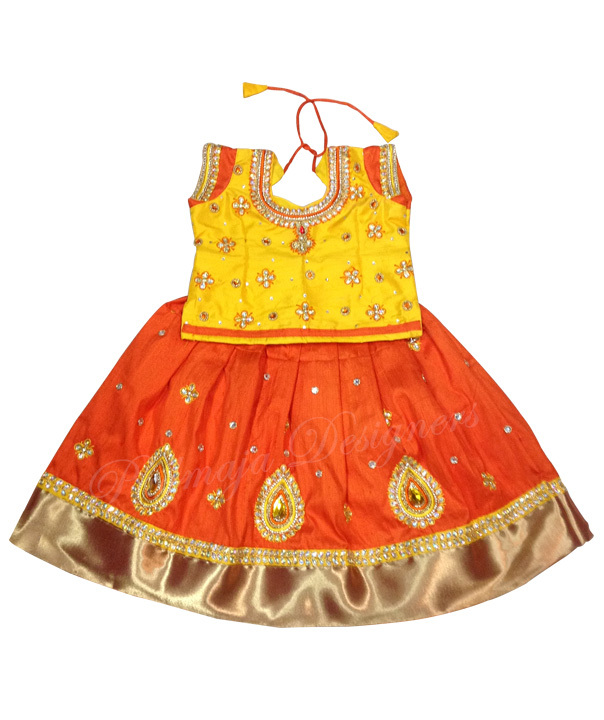 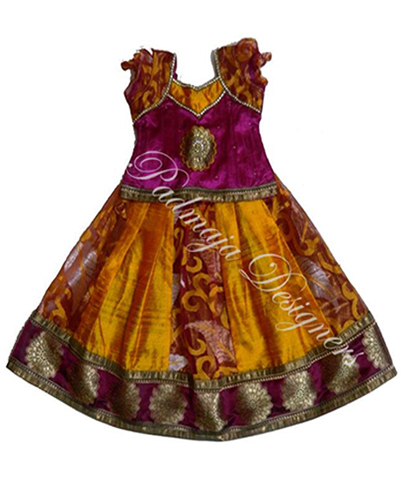 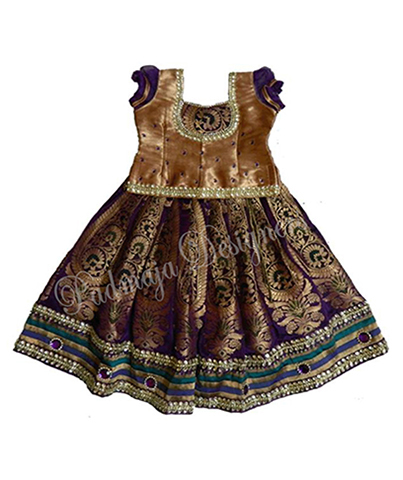 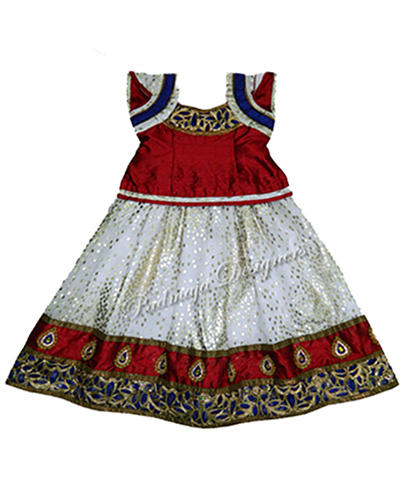 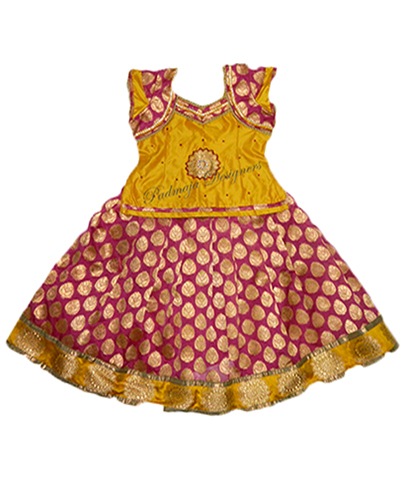 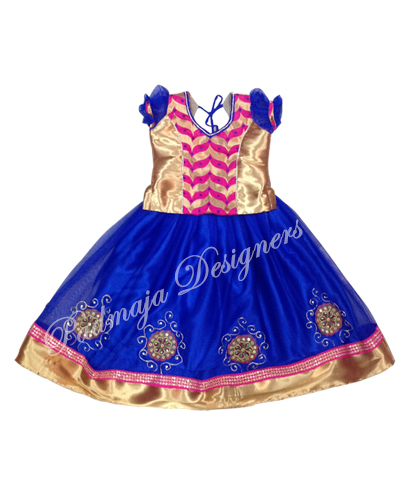 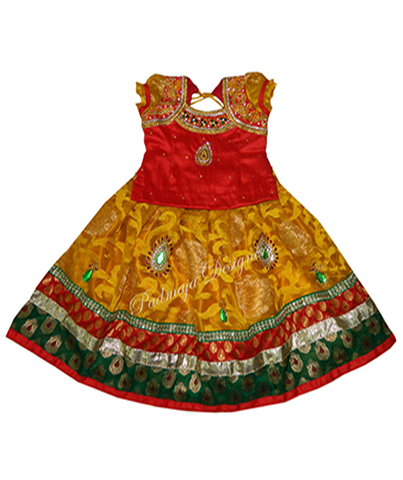 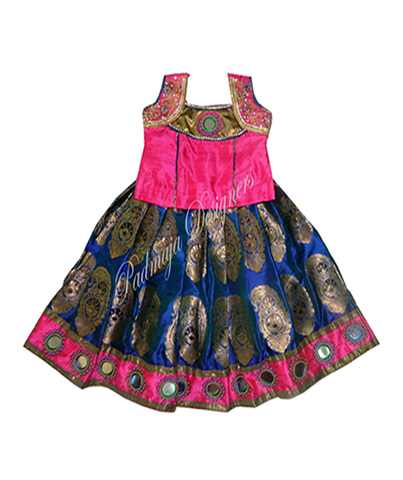 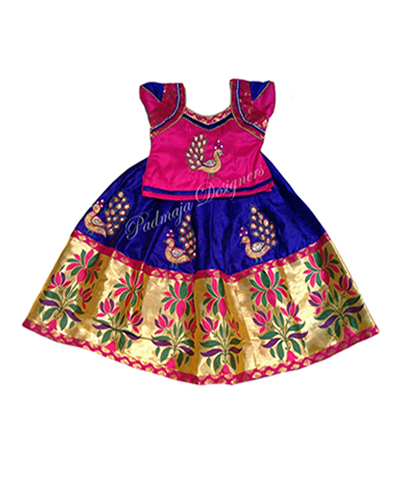 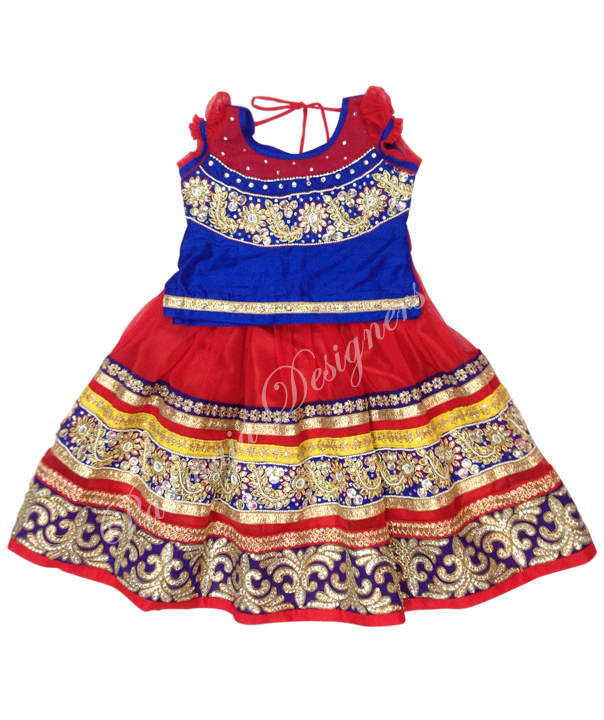 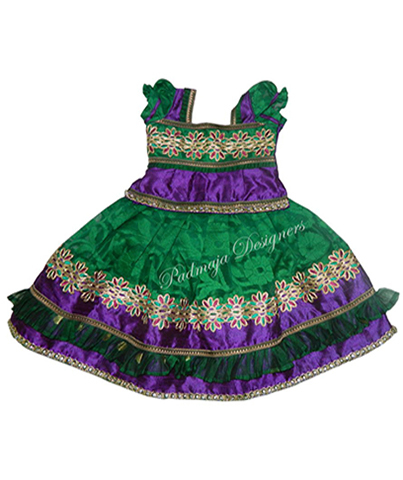 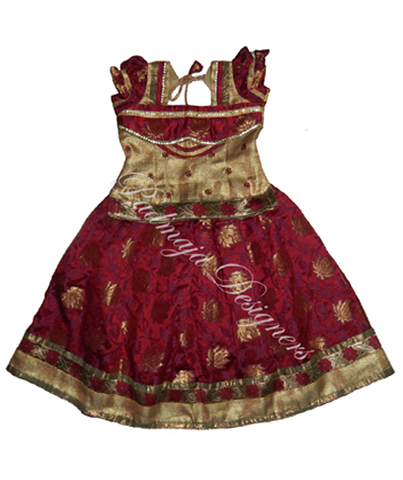 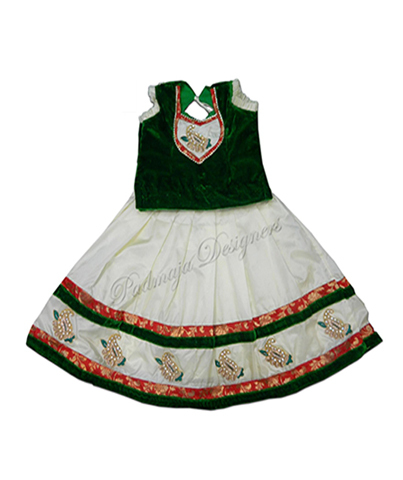 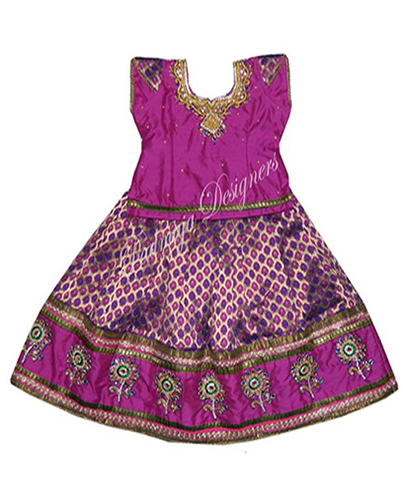 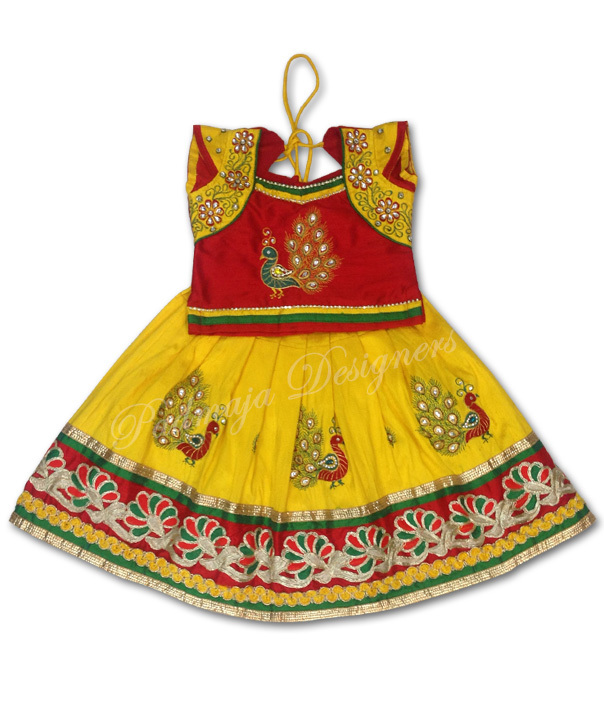 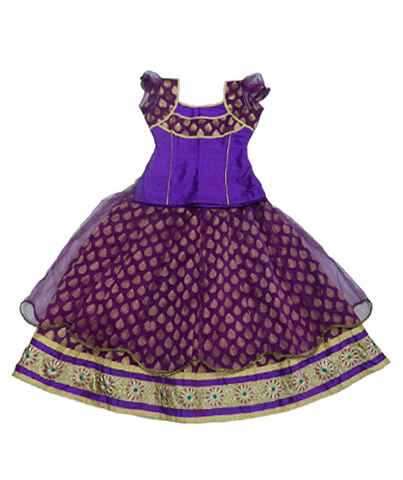 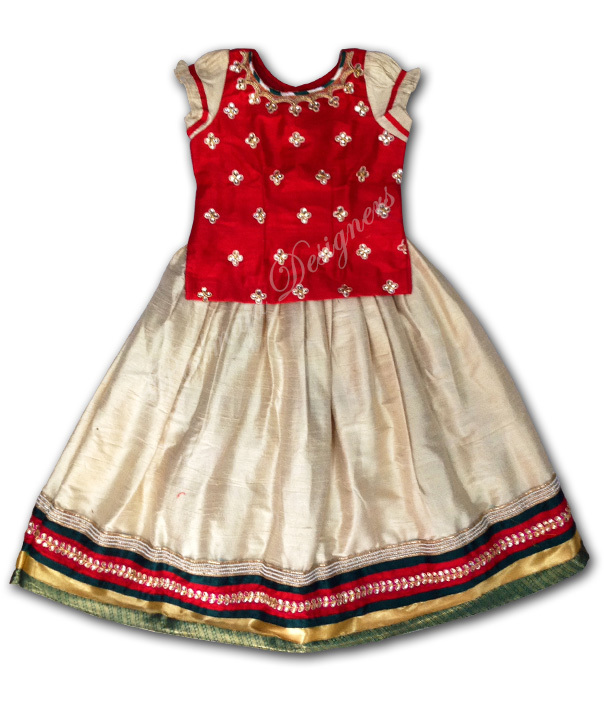 Banares brocket & net langa cut work border & 7 borders havi gold banares blouse with work. 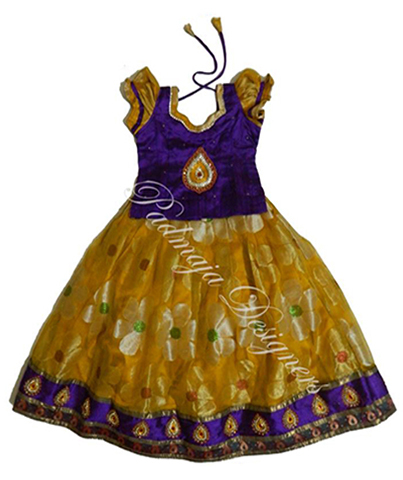 Banares net langa raw silk mirror work & raw silk design blouse. 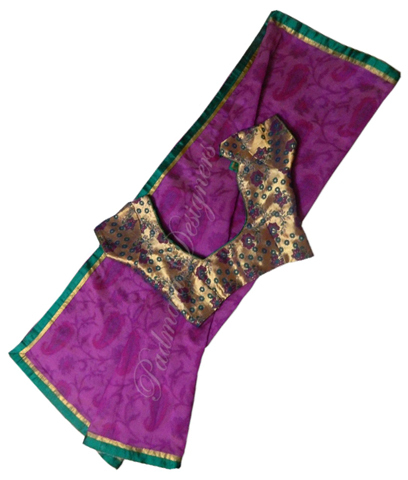 Chanderi banares langa raw silk work border & banares border. 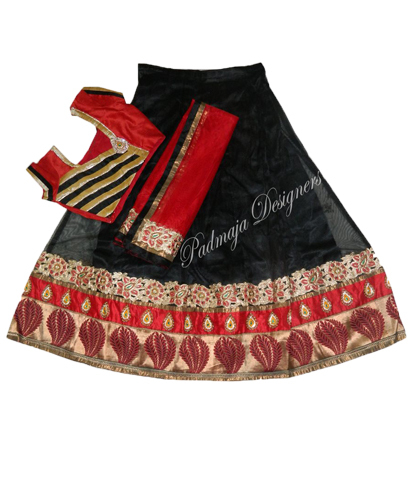 Raw silk langa velvet border with work with velvet blouse with work collies. 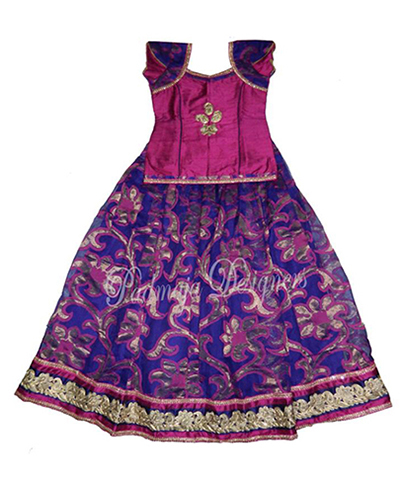 Banares cut work border langa raw silk five border raw silk designer blouse. 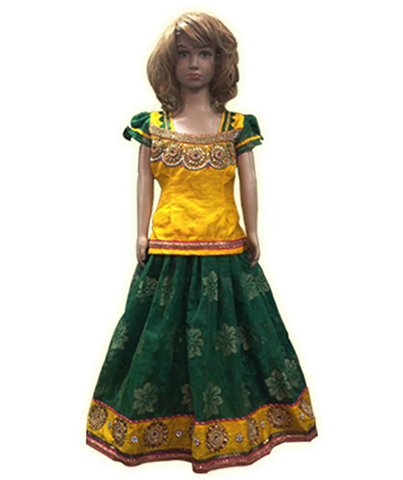 Banares net langa banares border with work bananres blouse. 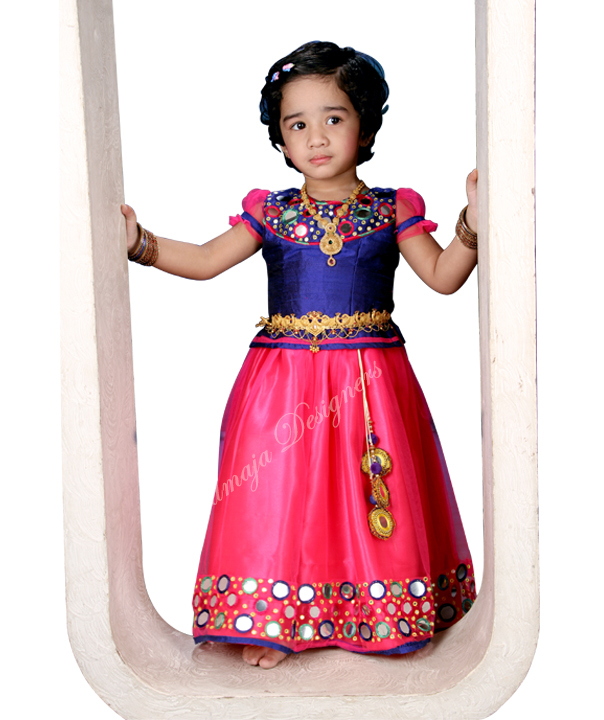 Havi banares langa raw silk mirror border & banares border raw silk mirror blouse. 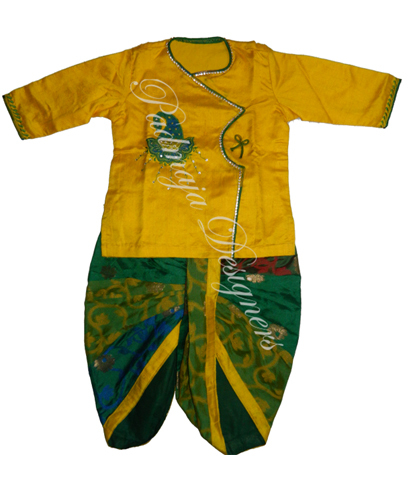 Banares double border langa raw silk blouse with work. 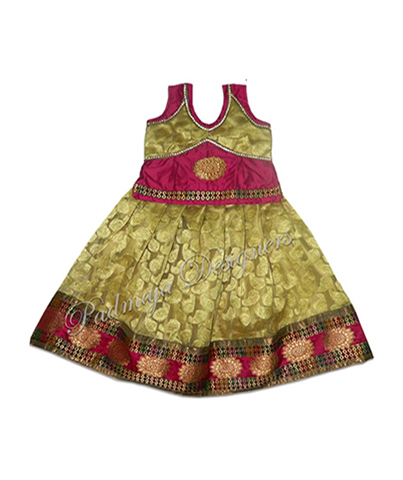 Banares printed net langa gold border & bananres blouse bananres designer blouse. 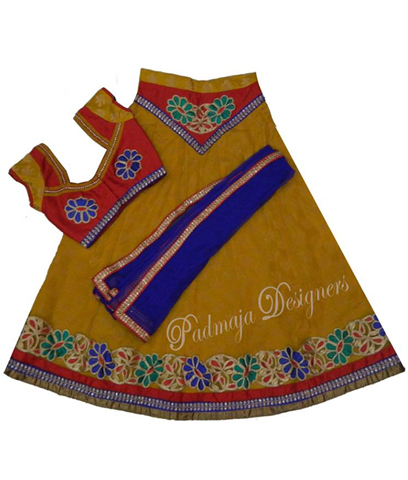 Raw silk work border langa & bananres small border raw silk work blouse. 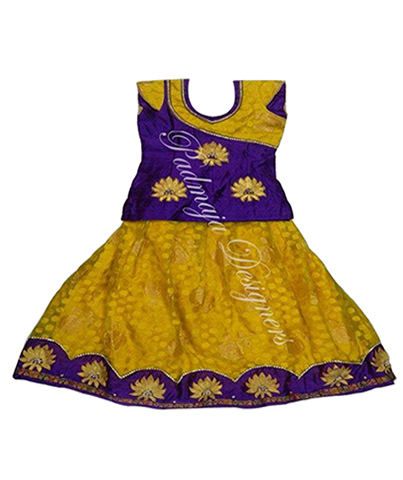 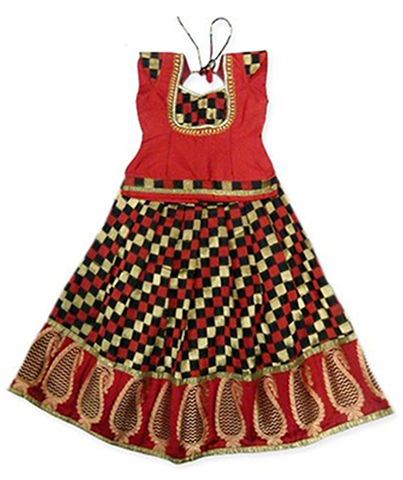 Printed bananres net cut work langa net trills raw silk bkouse with work. 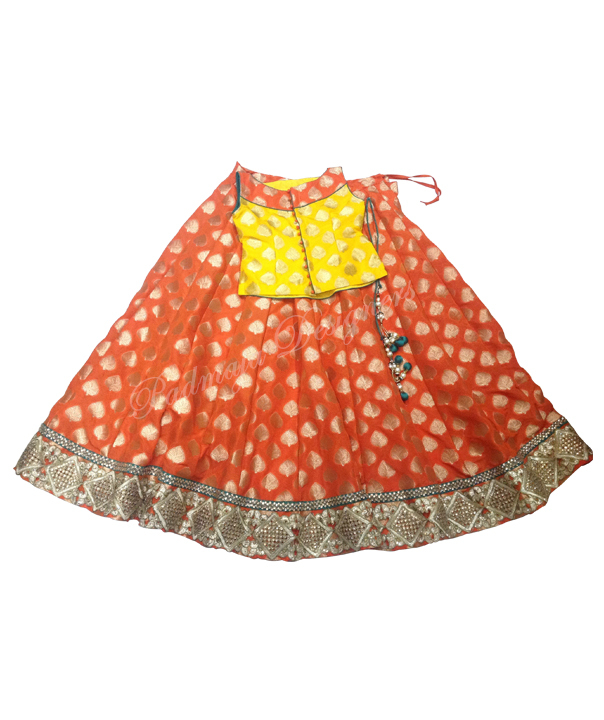 Bnanres blouse langa bananres printed net banares blouse & blrdeers. 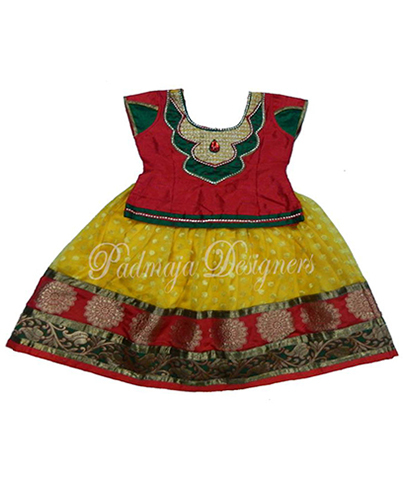 Raw silk langa bananres blreder raw silk border raw silk designer blouse. 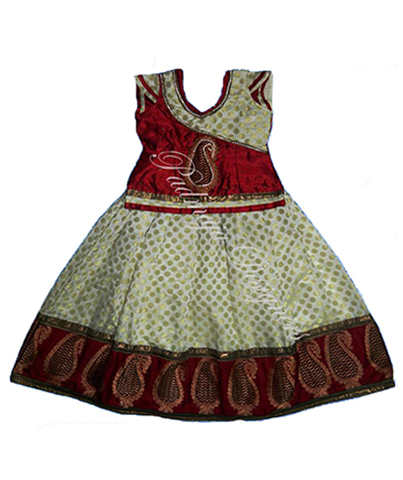 Calliel langa printed net & plain net with trill raw silk designer blouse. 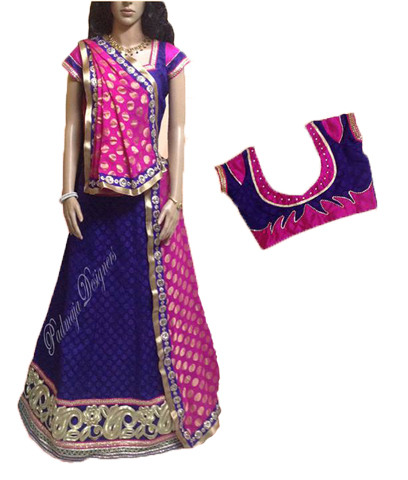 Bnanres printed net langa raw silk work border raw silk designer blouse. 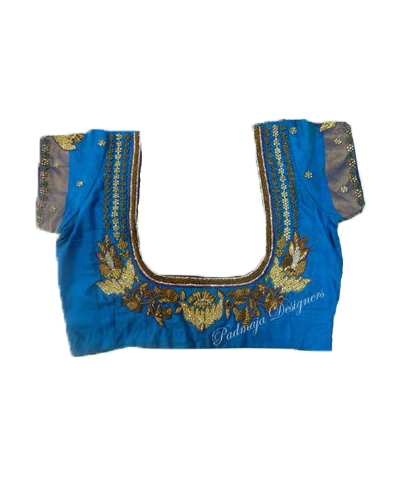 Banares& net langa raw silk blouse. 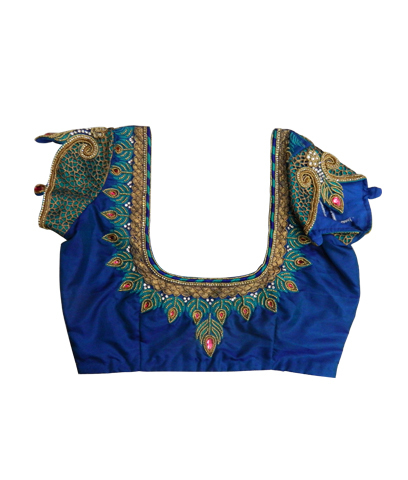 Banares brocket langa raw silk design blouse. 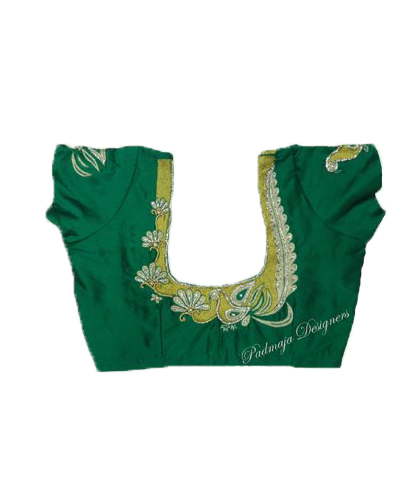 Banares langa banares borser cottan silk blouse designer blouse. 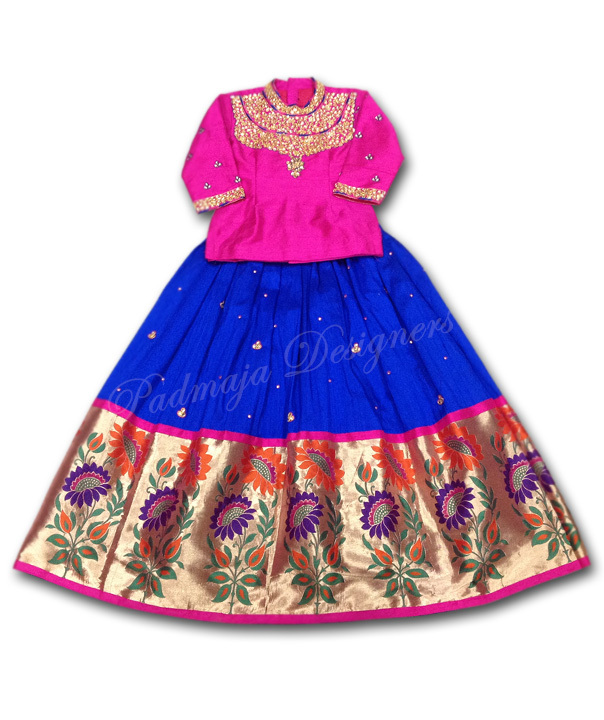 Bnanres brocket bananres border raw silk designer blouse. 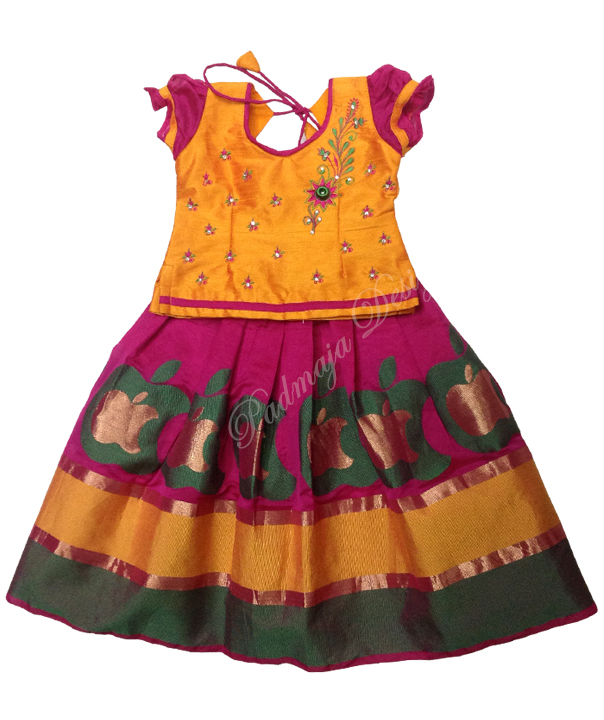 Venkata geri net with work raw silk work border raw silk blouse with work. 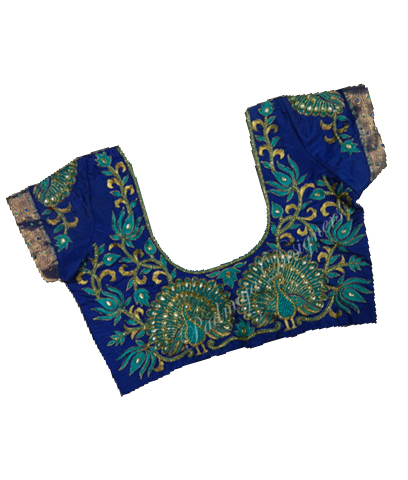 Bnanres printed net five bananres border raw silk blouse with work. 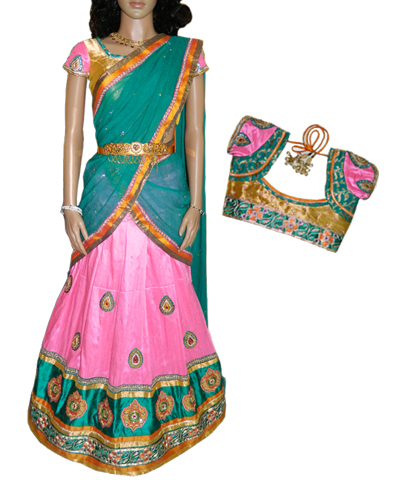 Canchi pattu langa with work & net canchi pattu blouse with work. 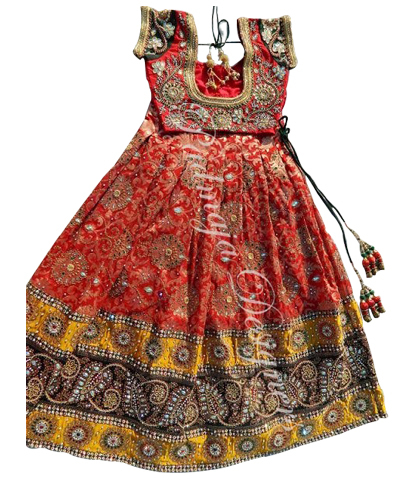 Printed banares langa raw silk designer blouse. 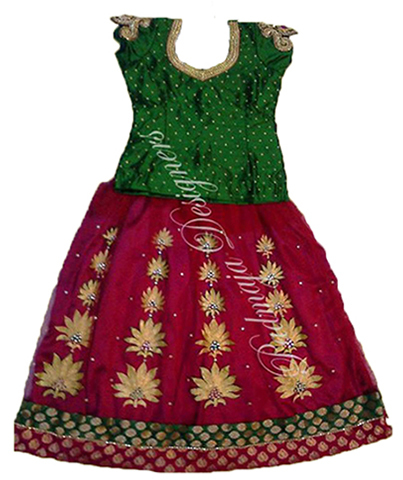 Glasi net with work raw silk work border raw silk designer blouse. 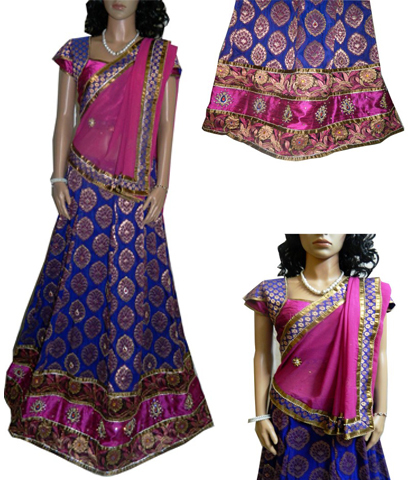 Printed raw silk blouse meti & net with work printed raw silk blouse net trill. 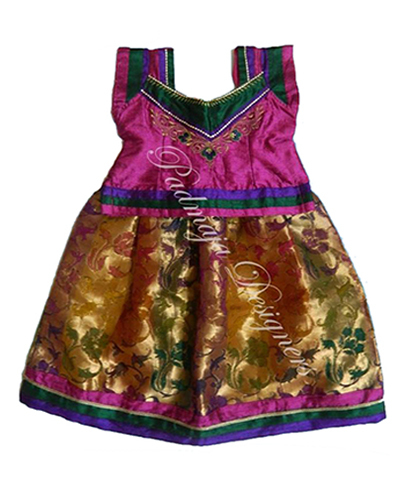 Velvet langa banares 4 borders raw silk designer blouse. 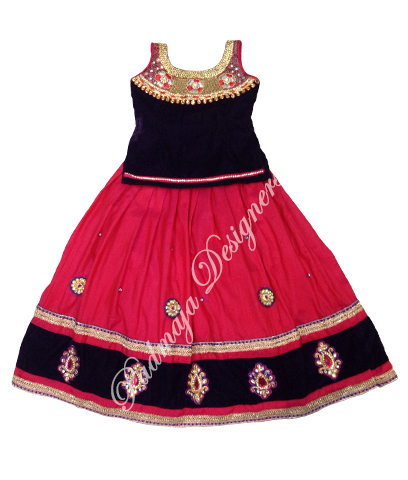 Velvet langa cut work border raw silk borders raw silk designers blouse. 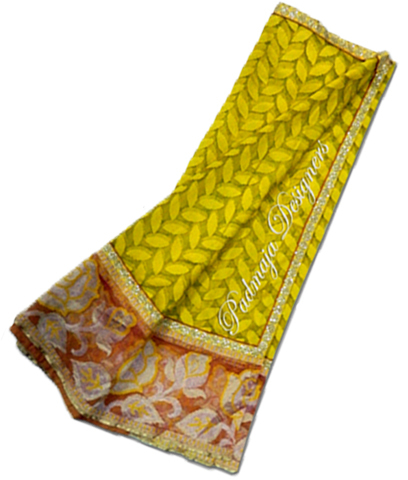 Printed bananres langa cut work border raw silk border & net tills raw silk blouase. 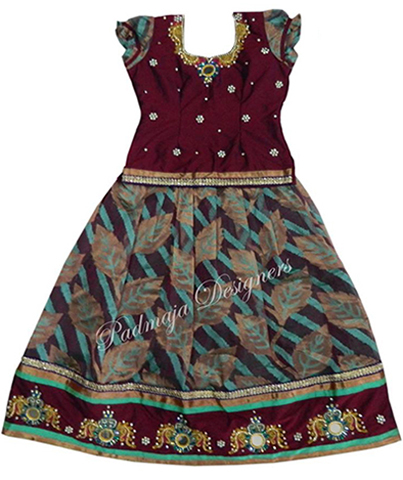 Bnares printed net langa raw silk work blouse & banarews border raw silk blouse. 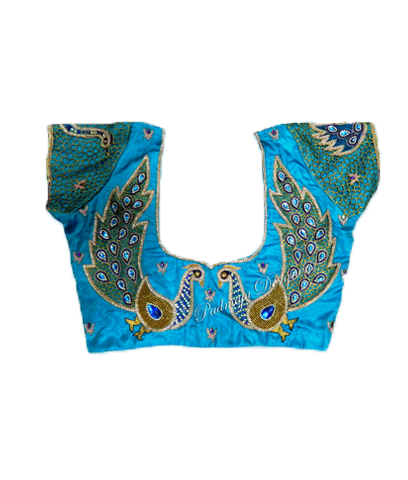 Bananres printed langa raw silk blouse. 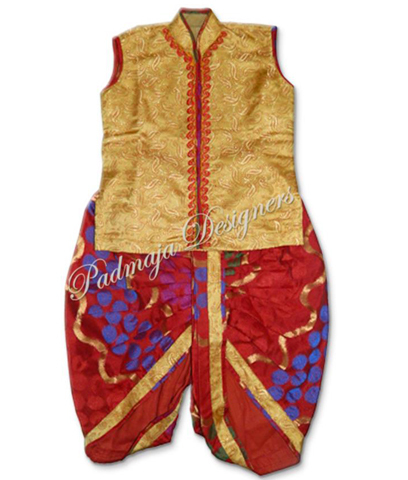 Havi banares langa & net raw silk borders & cut work borders raw silk blouse with work. 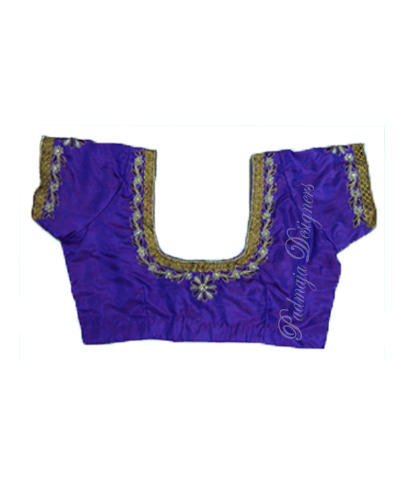 Bananres border banares net raw silk design blouse. 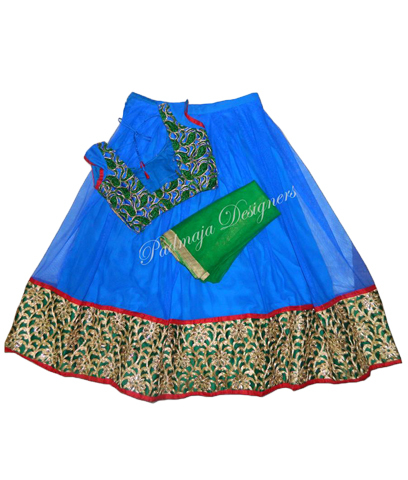 Bnanres net with raw silk work border & bananres border raw silk design blouse. 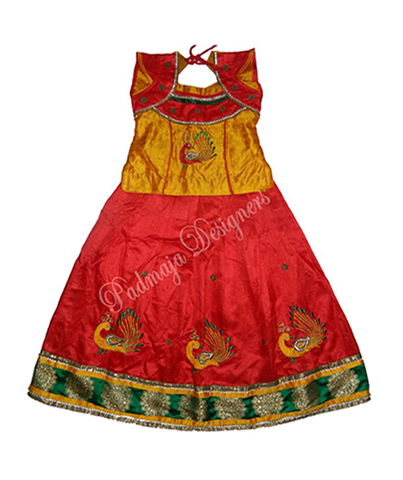 Chanderi pattu langa with work. 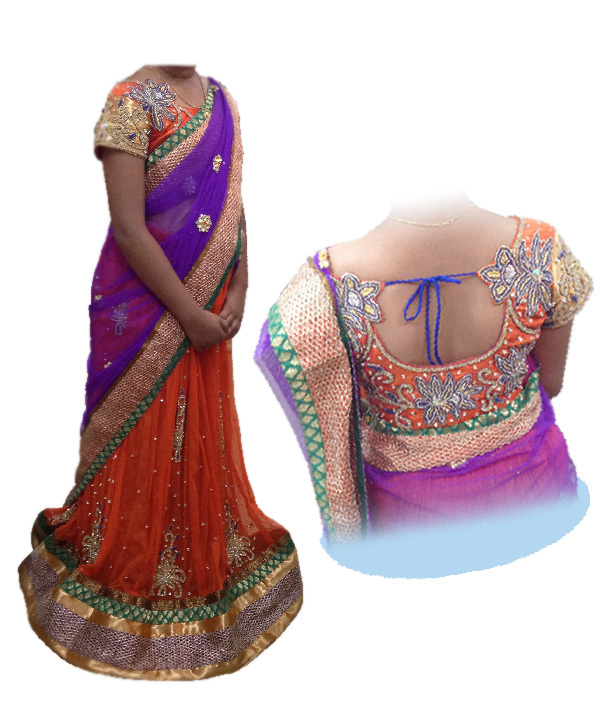 Banares net with paithanick border raw silk work blouse. 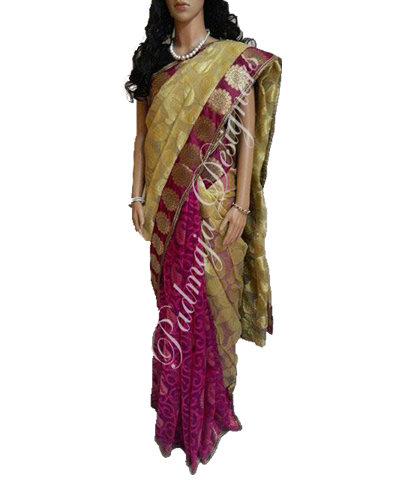 Banares net with banares 11 border with raw silk work border raw silk blouse. 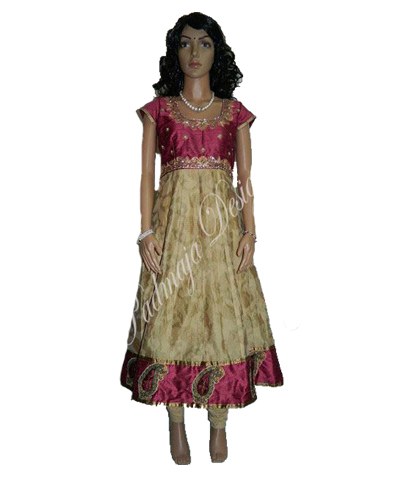 Calliel langa banares havi & net raw silk blouse with work. 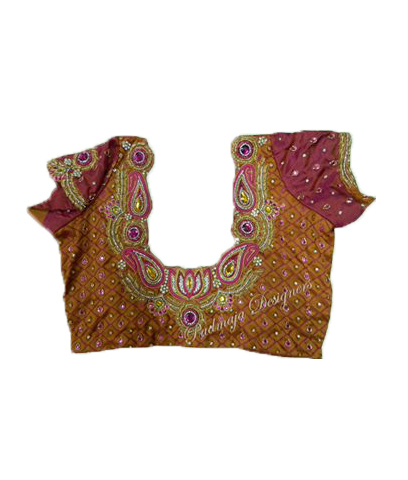 Banares chanderi langa with banares raw silk blouse with work. 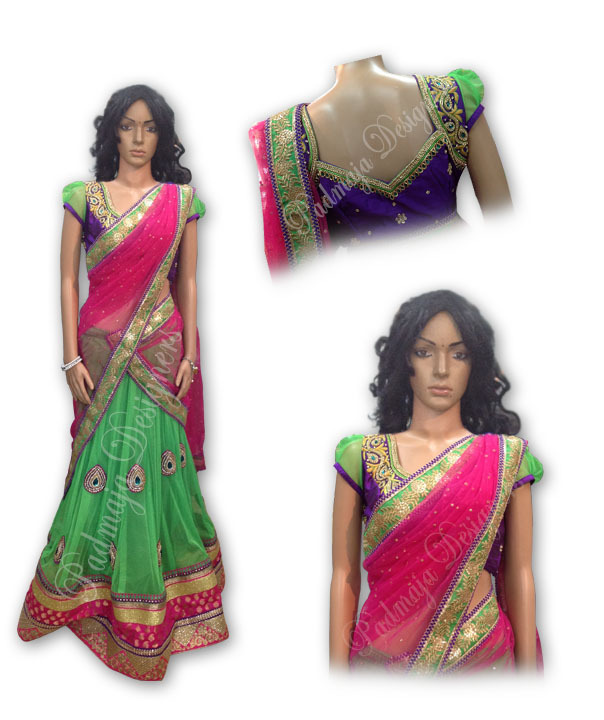 Bnanres printed net work ray border & raw silk border & raw silk design blouse. 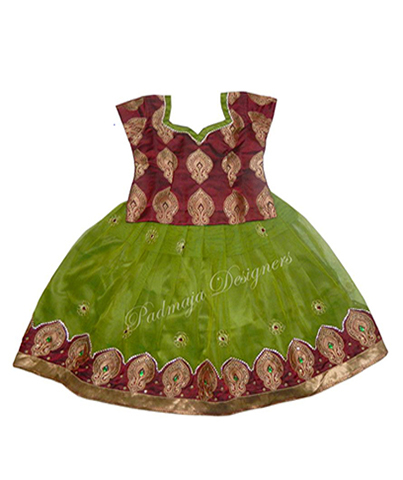 Arundati modal langa with banares net banres brocket raw silk blouse with work. 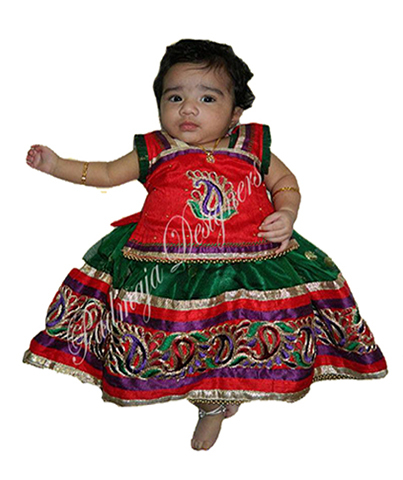 Bnanres printed net banares five border raw silk designer blouse. 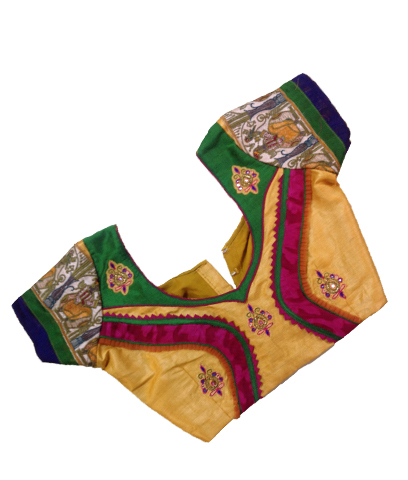 Chanderi banares langa with cut silk blouse. 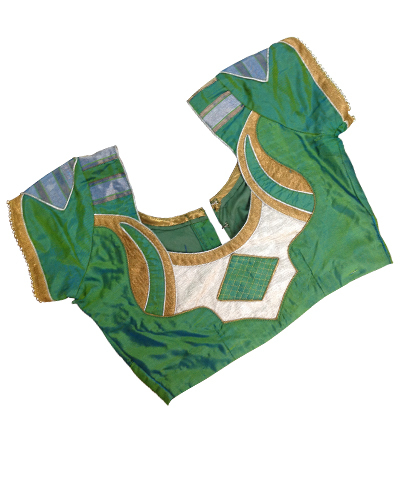 Havi banares langa raw silk blouse raw silk mirror work. 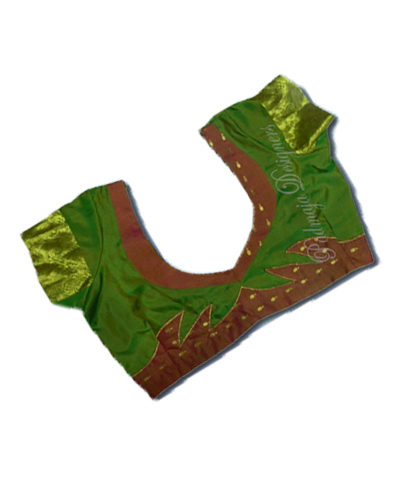 Jute net chanderi pattu blouse chanderi finch work border. 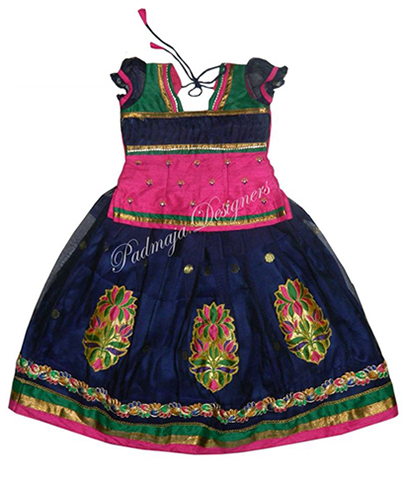 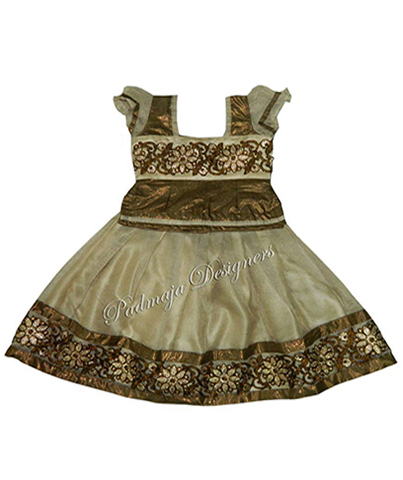 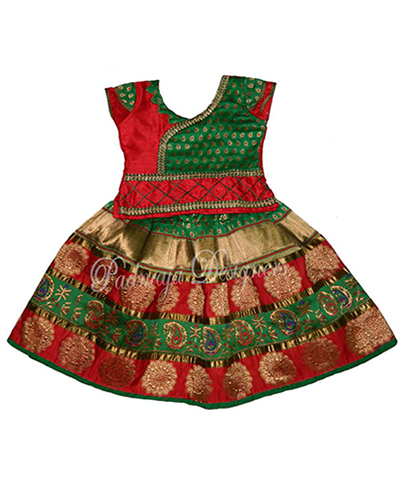 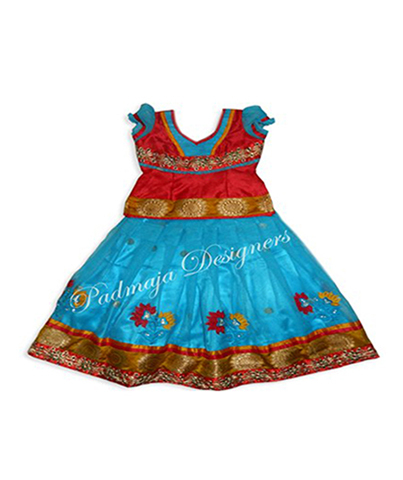 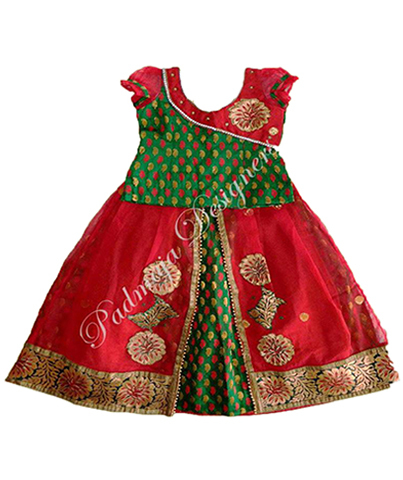 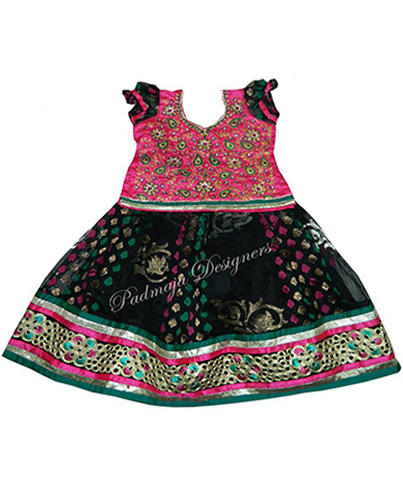 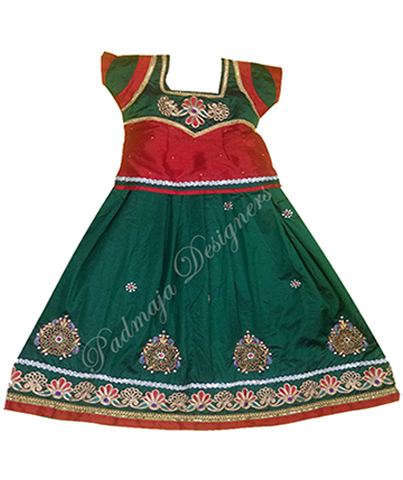 Pattu & velvet border brocket border with work pattern. 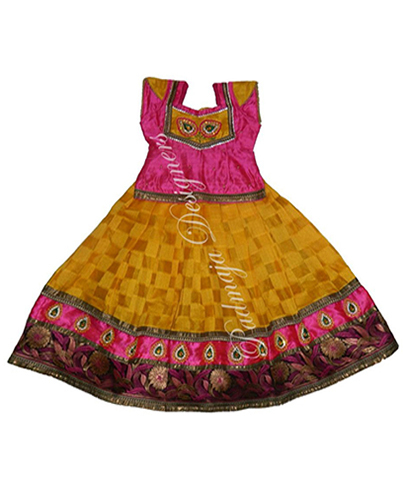 Chanderi lamga with banres border gold blouse with pattern. 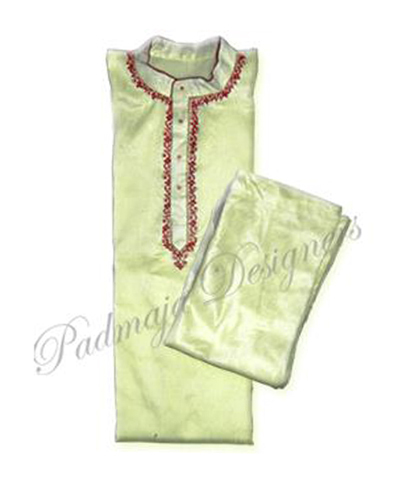 Raw silk with havi work brocket border rae silk blouse with havi work. 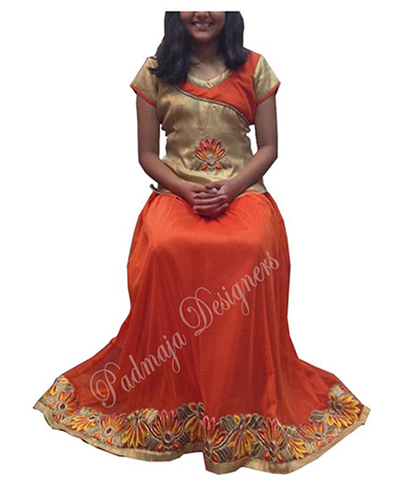 Brocket lanaga with raw silk applick & mirror work & border raw silk blouse with pattern. 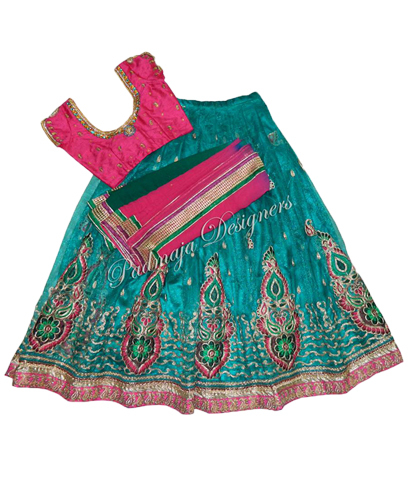 Raw silk langa with havi applick work & lays raw silk blouse with havi work. 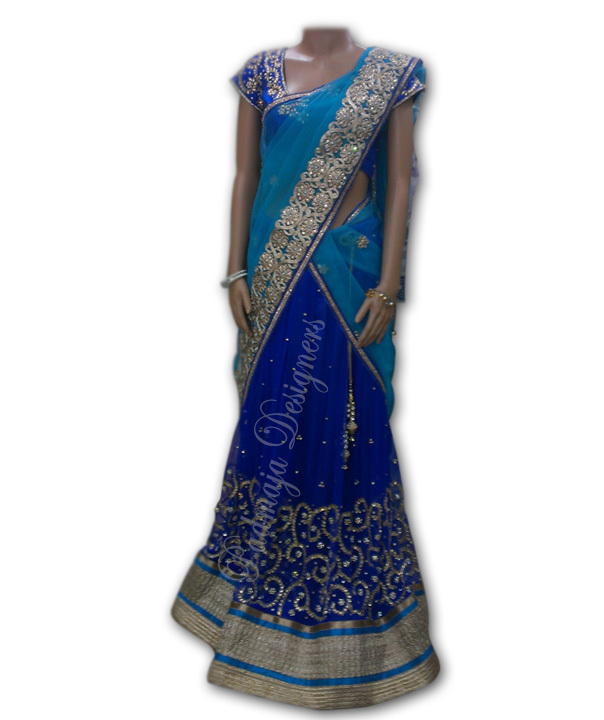 Net langa with work banares border with havi layes raw silk blouse with havi pattern. 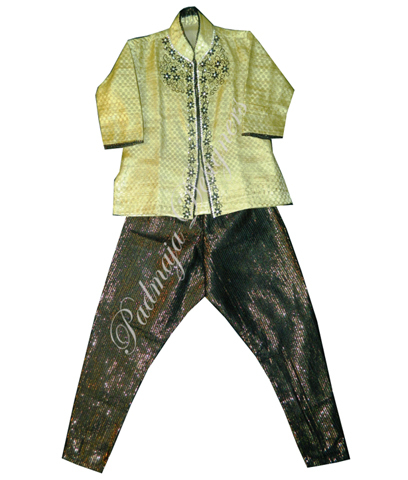 Sami brocket with rady laye & net trill gold blouse with havi pattern. 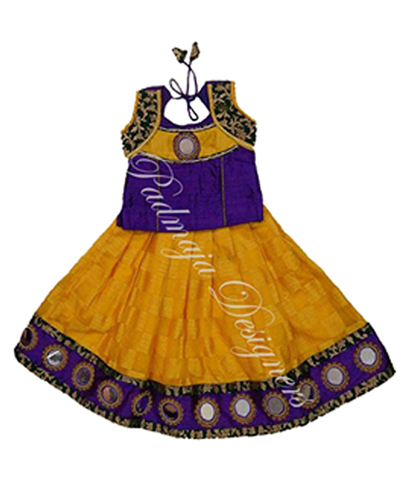 Velvet langa with rady lays & havi patches raw silk blouse with pattern. 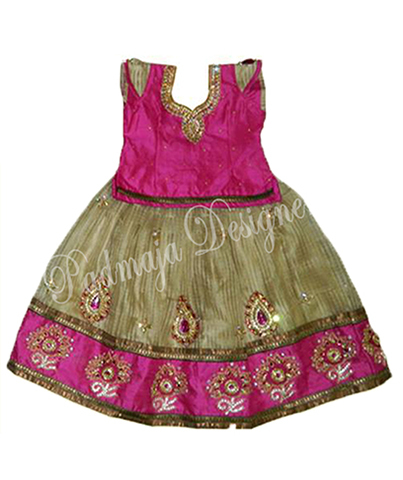 Raw silk langa with rady border & raw silk border with work & havi patches raw silk blouse with havi pattern. 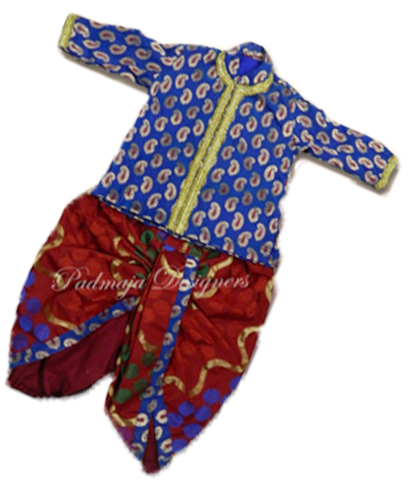 Bnanres net with brocket border & raw silk border with work raw silk blouse with havi pattern. 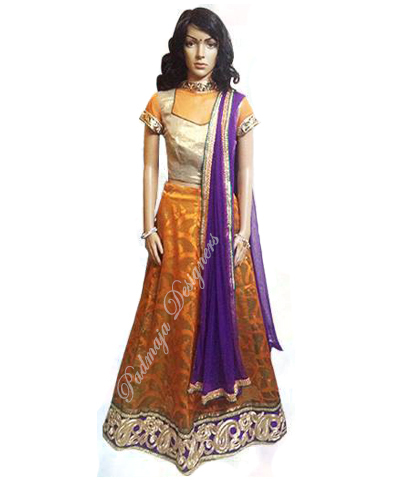 Havi banares brocket with havi raw silk border with lays raw silk blouse with havi work. 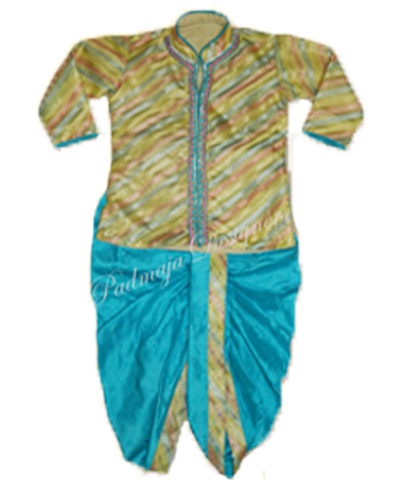 Pattu langa banres border & cundan higlet & mirror work raw silk blouse with havi pattern. 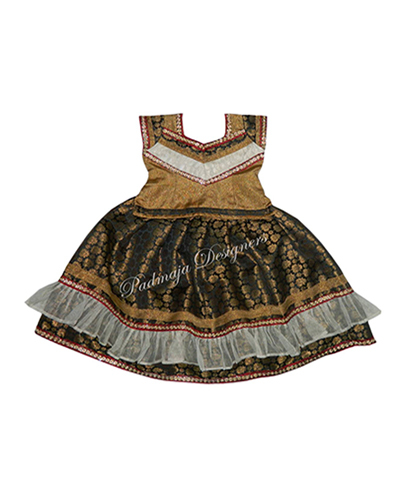 Tishued net with banres border & rady layes & with higlet brock blouse with pattern & work. 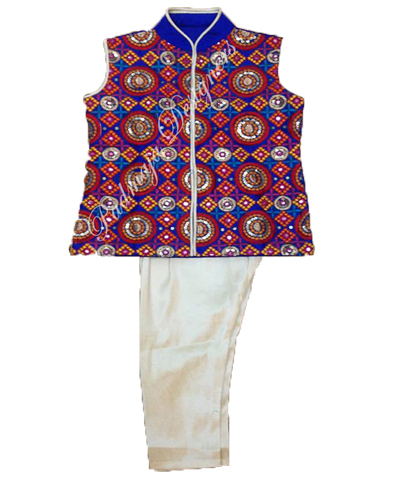 Design ten with cundan higlet raw silk blouse & pattern & work. 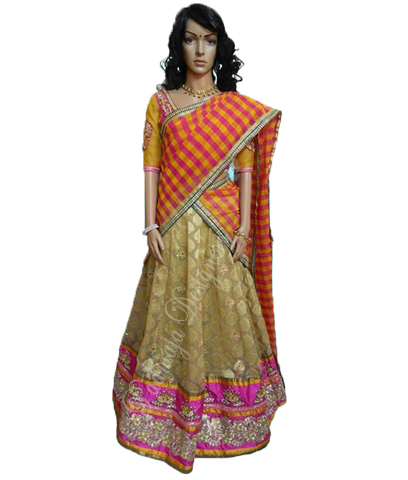 Bananres nwt with banares border with stone raw silk blouse with havi pattern. 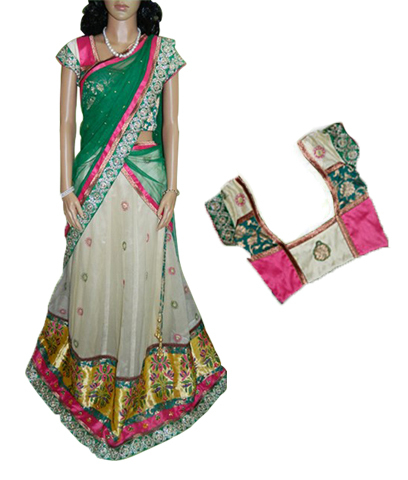 Raw silk langa with havi brocket border and raw silk borders with havi work brocket blouse with pattern work. 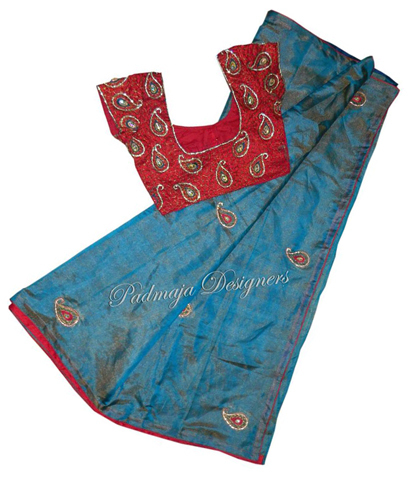 Raw silk langa with Peacock work & paithanick border & brocket border raw silk blouse with pattern work. 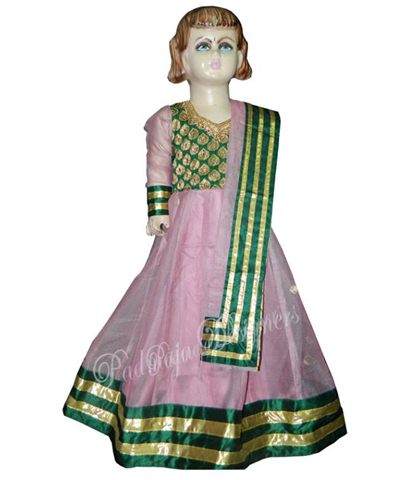 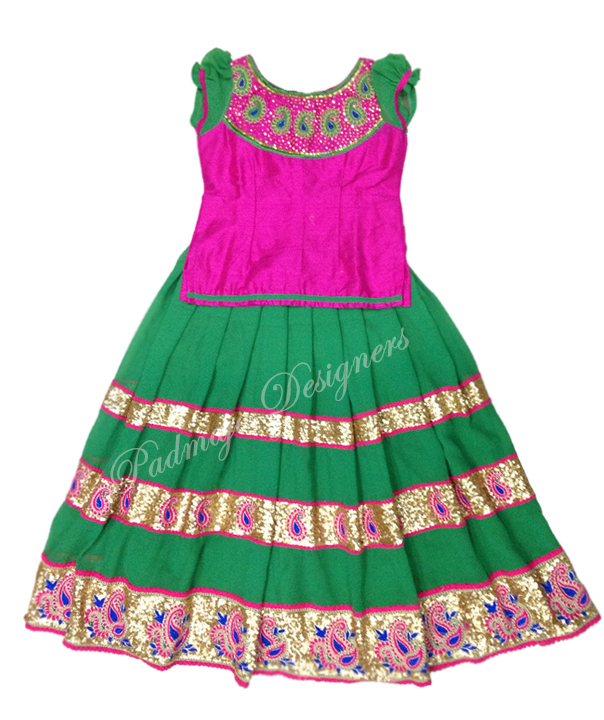 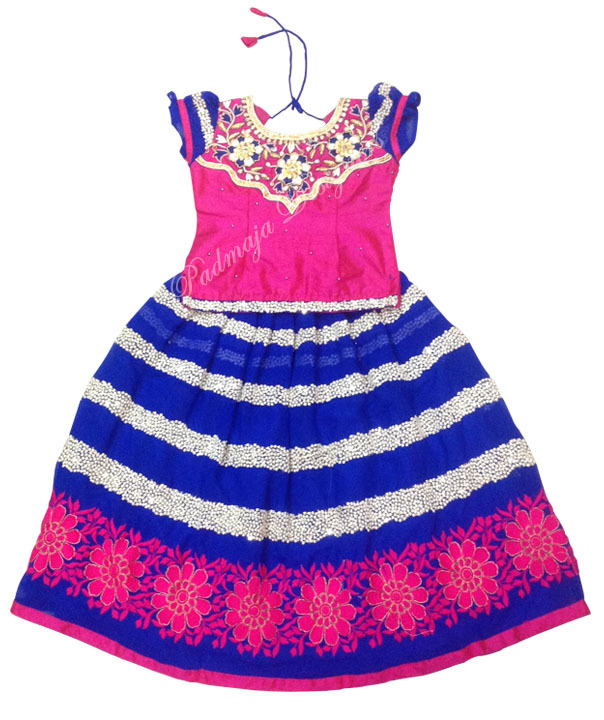 Merri pink banares langa with hevi designer blouse & parpul hevi work duppatta. 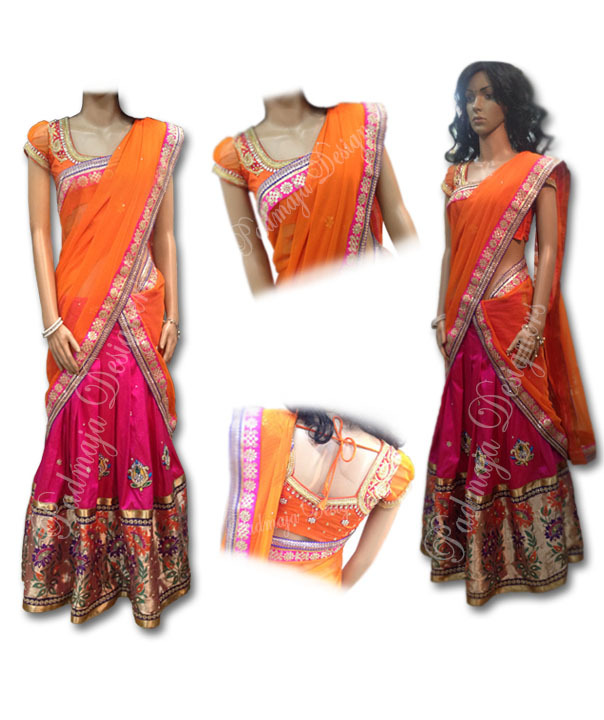 Peach pink raw silk langa with havi work flower banneres border designer banneres blouse shadeeded shiffion duppatta. 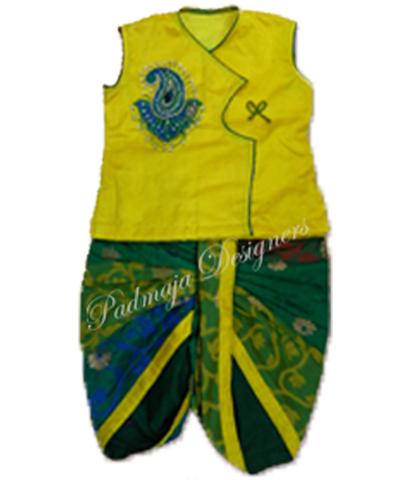 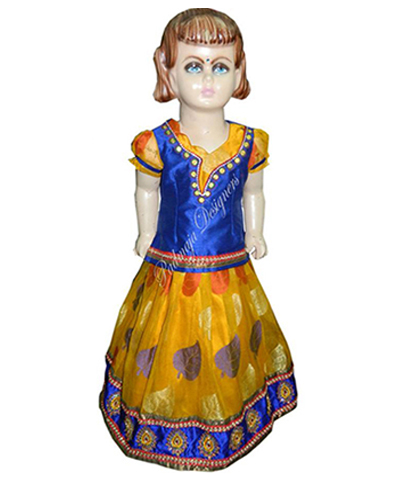 Blue brocket banneres langa with catton blouse full blouse with pattern half blouse banneres designe blouse with yello neted duppatta. 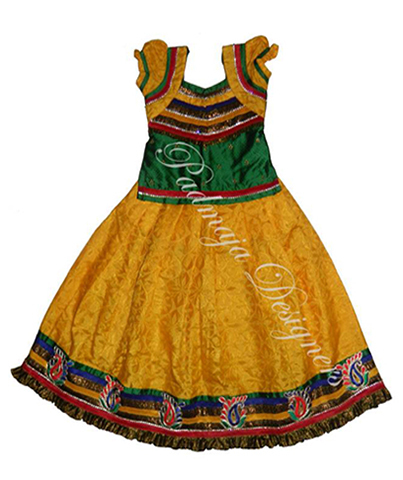 Yello banares net langa with banneres langa with border & work border designer blouse with work put duppatta. 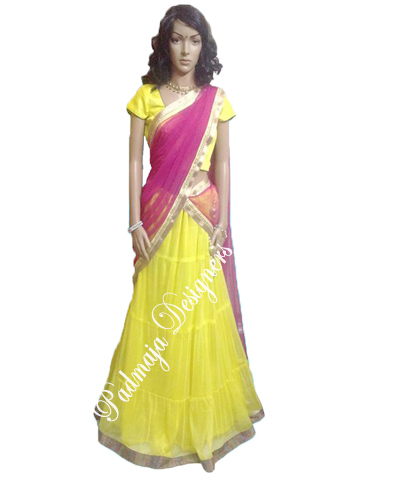 Yello banneres langa with havi work border & banares border raw silk work work blouse with shiffion duppatta. 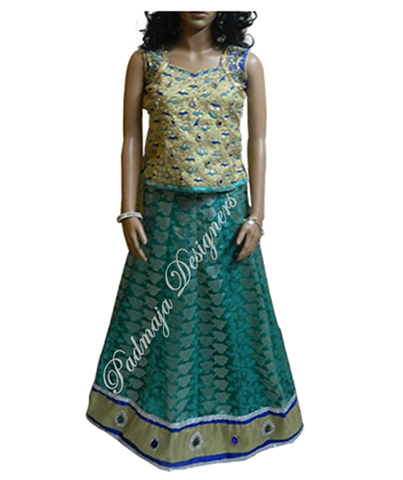 Soft langa with cut work border in side self design net with mango havi patch raw silk blouse with havi work soft net oney with work & blouse. 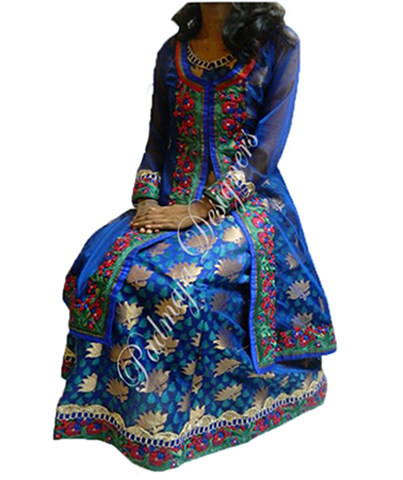 Soft net langa with cut work & brocket border allwover work raw silk blouse with cut work & net oney work & border. 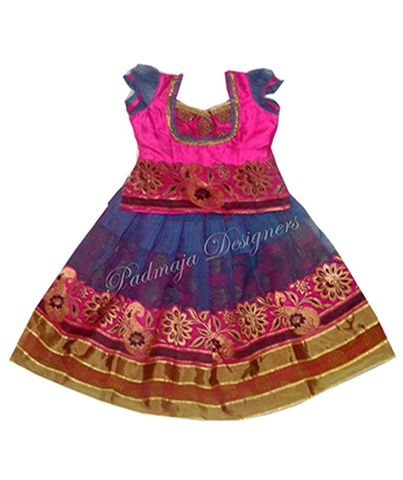 Raw silk langa with work & cut work borders paithanick blouse with havi -pattern garget oney with borders. 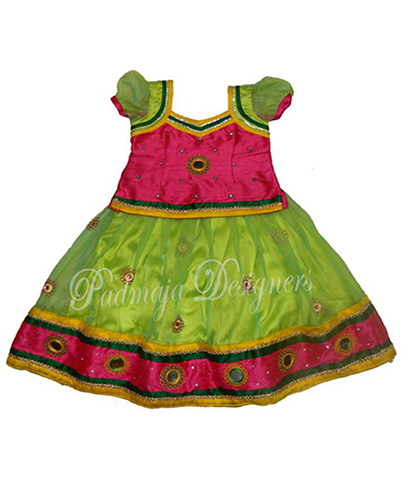 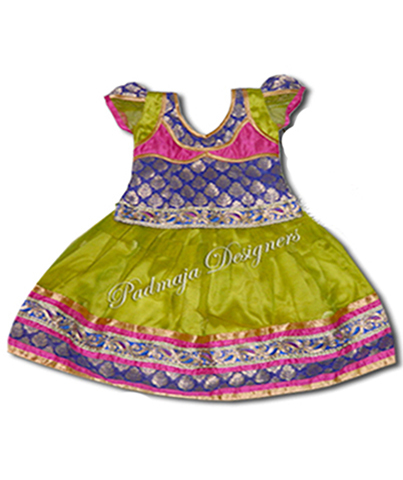 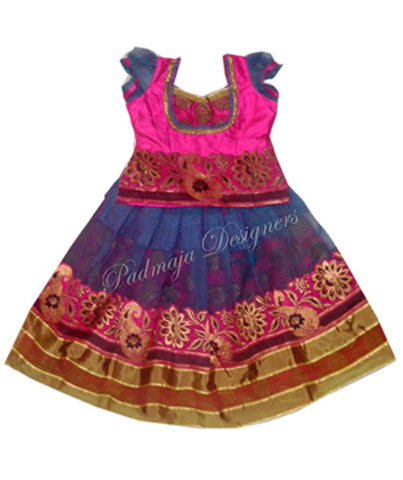 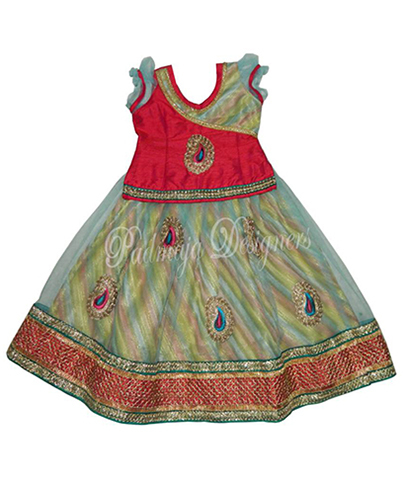 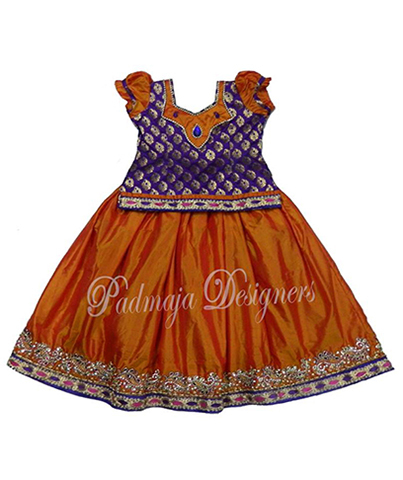 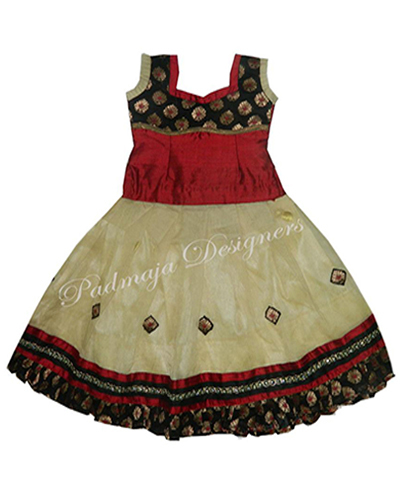 Raw silk langa with paithanick border & havi work raw silk blouse with allwover work net oney with work & border. 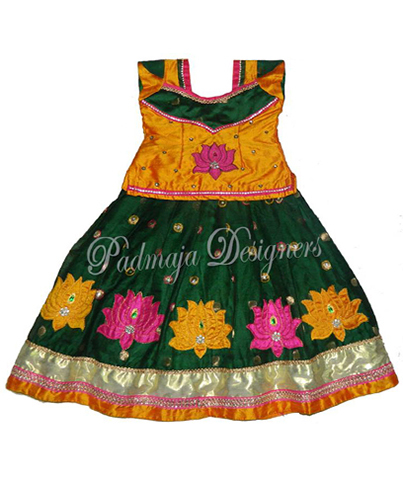 Rady Peacock langa with cut work border raw silk blouse with pattern & work net oney & border. 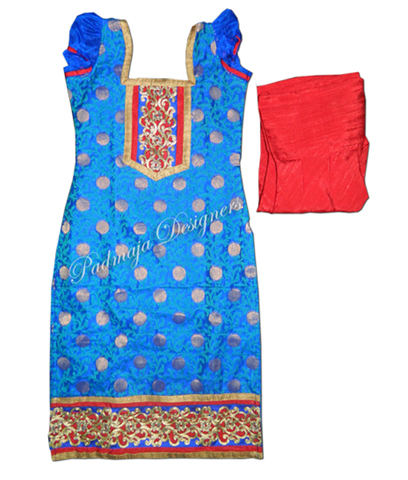 Soft net with havi cut work & brocket border allover work raw silk with cut work blouse net oney & work with border. 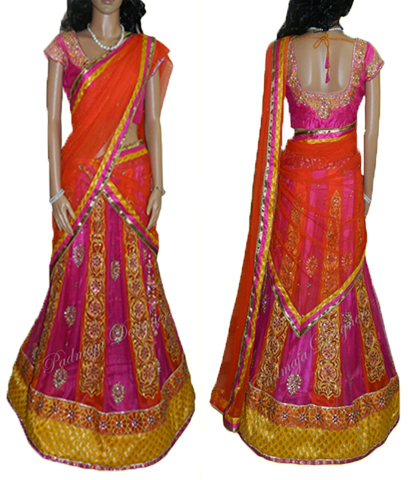 Soft net double colour design net redement & banares border brocket blouse with work soft net oney with banares border. 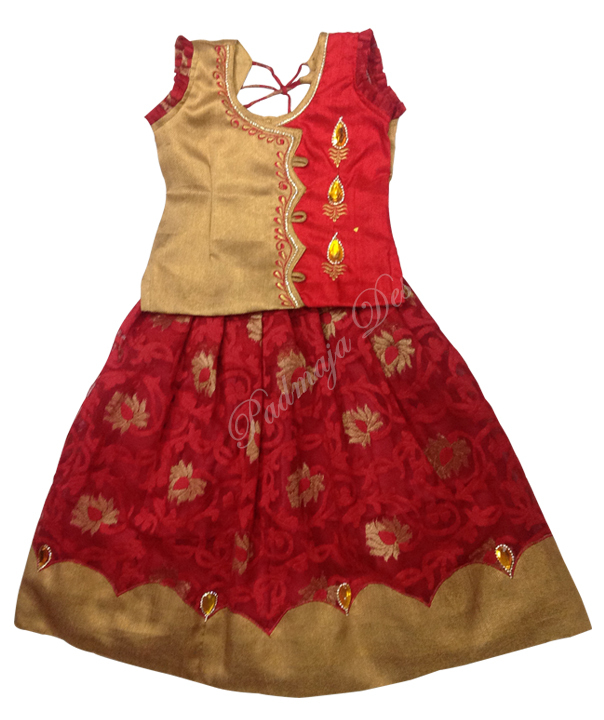 Banneres chandare red meterial banares border raw silk designer blouse soft net oney with banneres border. 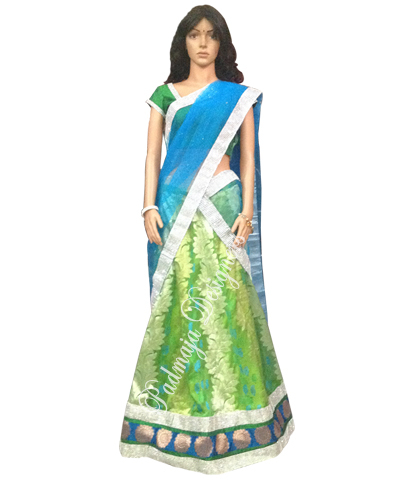 Banares printed net raw silk tripple colour border with work border raw silk work blouse garget green oney with double border & cut work border. 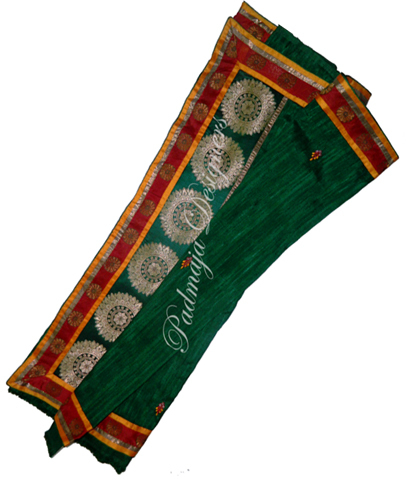 Printed banares net banares border & raw silk work border & banares border double colour garget oney with banares double border pattu designer border. 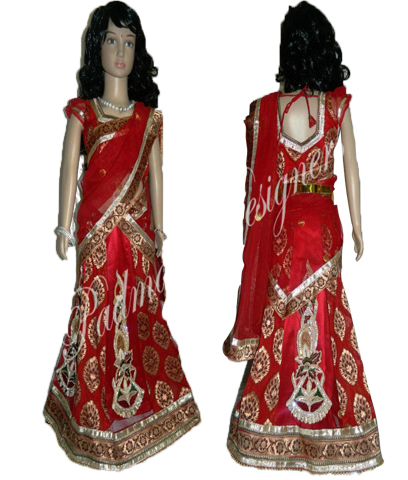 Red colour soft net langa raw silk work border & banares border garget oney with cut work border raw silk designer blouse. 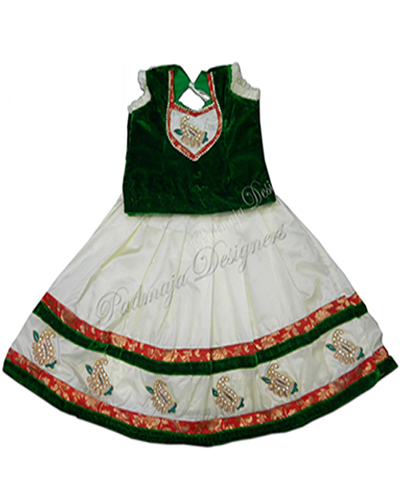 Wented banares net raw silk blouse cottan border velvet oney & work border garget oney work border & raw silk border. 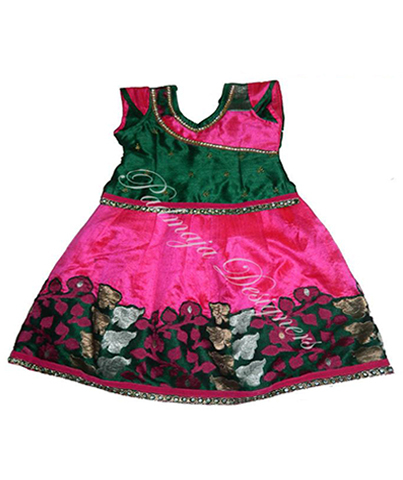 Soft net havi work gagra border. 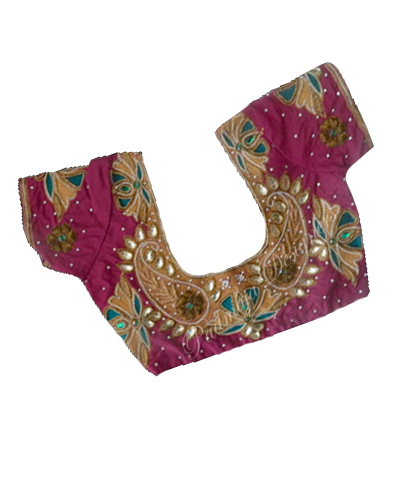 Benaras net Cotton silk blouse.